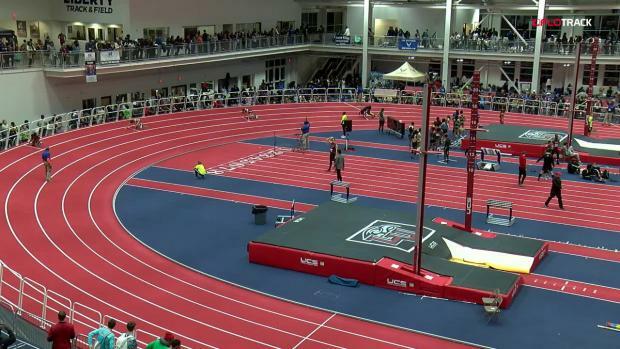 The VA Showcase is back this weekend and we could not be more excited for what is in store. 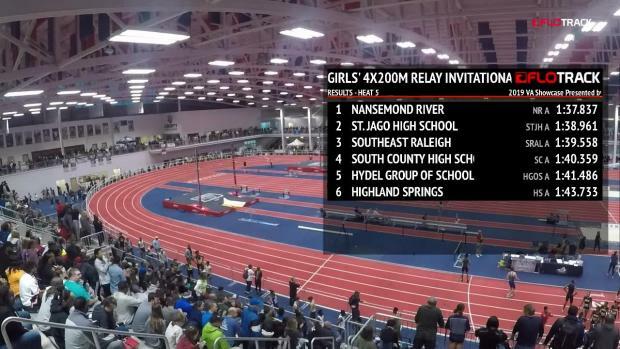 Though meet management has not released the full performance list, we do however have the invitational sections in hand. 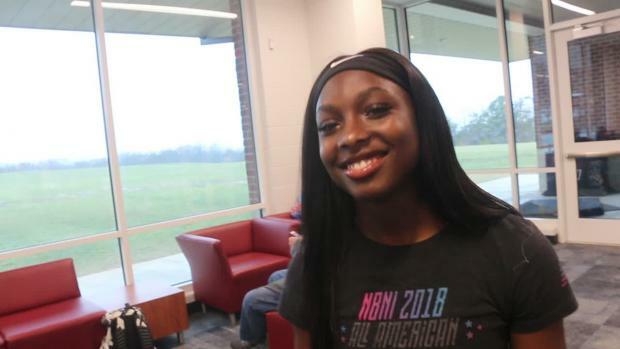 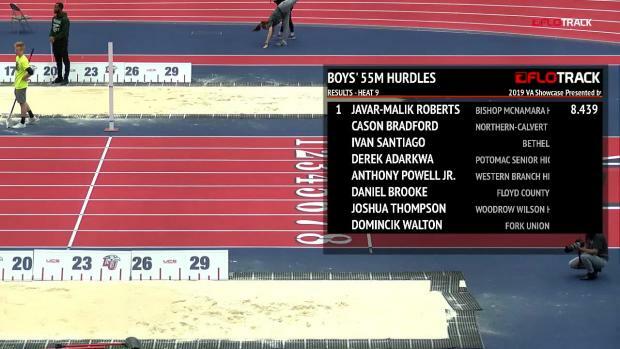 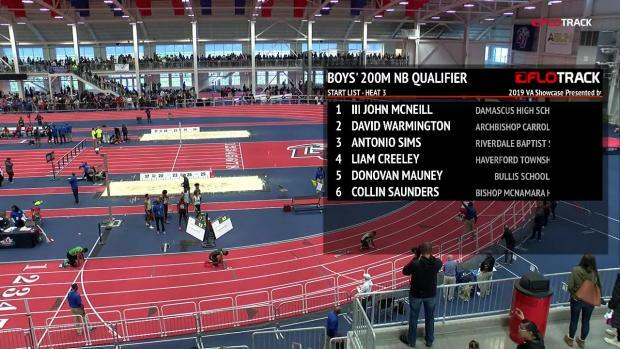 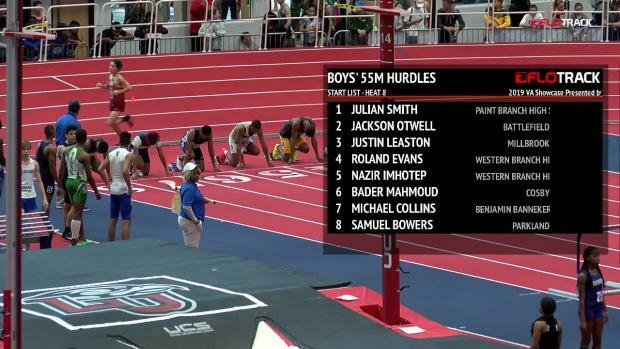 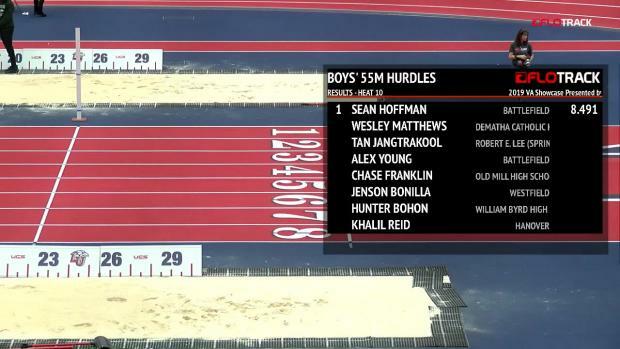 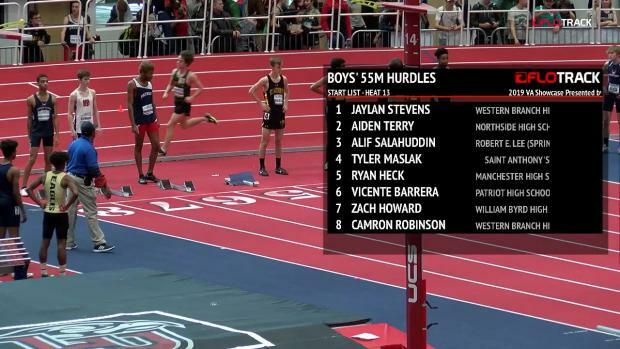 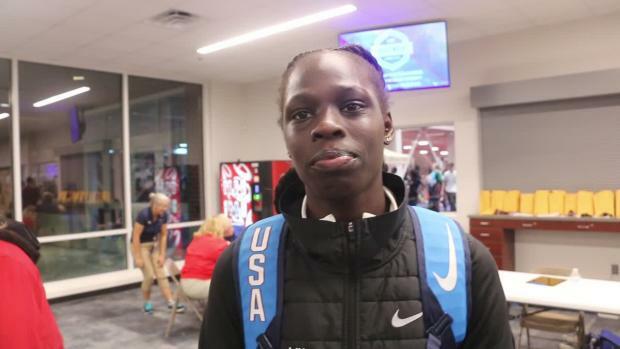 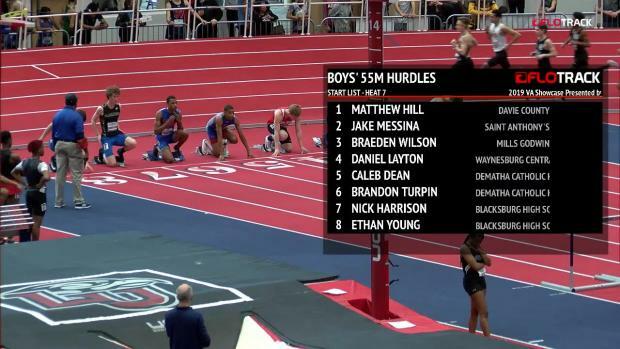 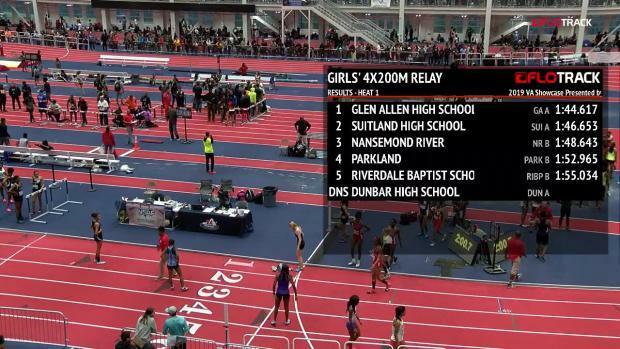 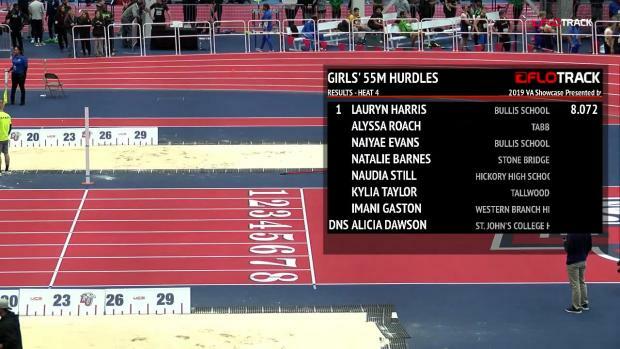 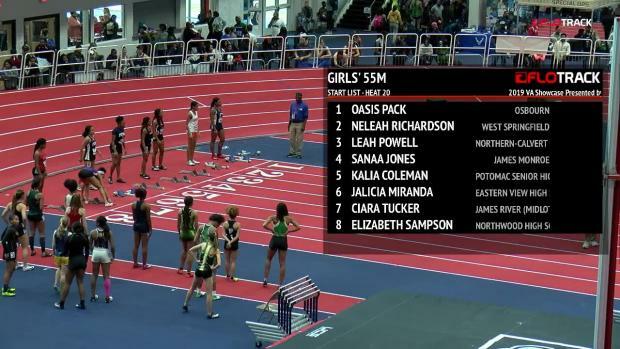 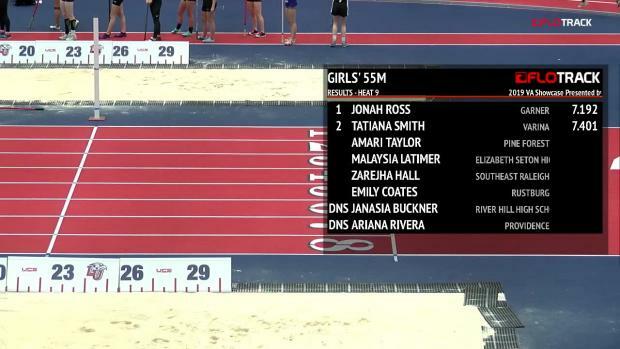 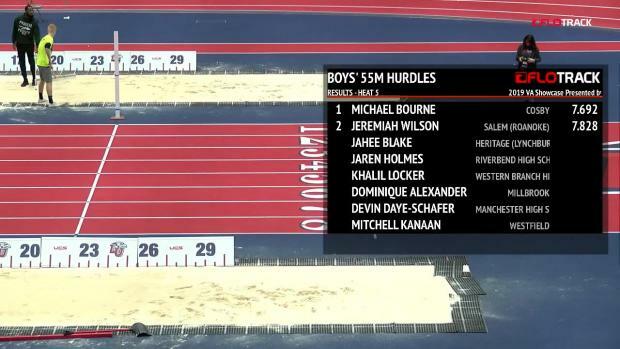 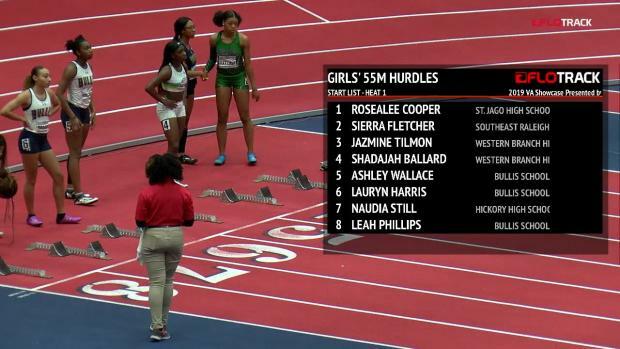 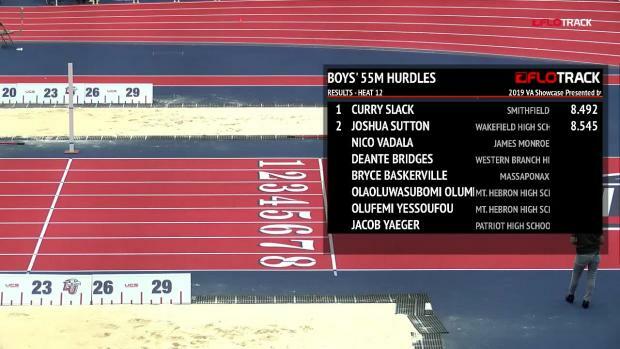 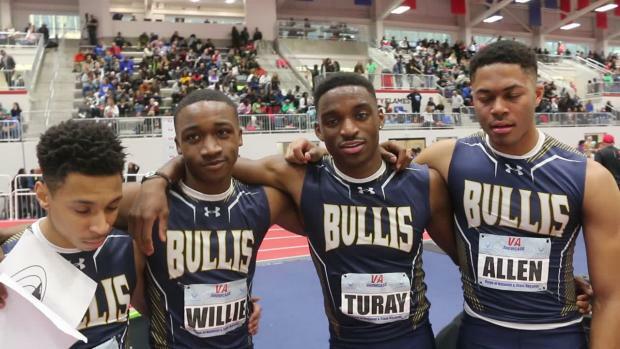 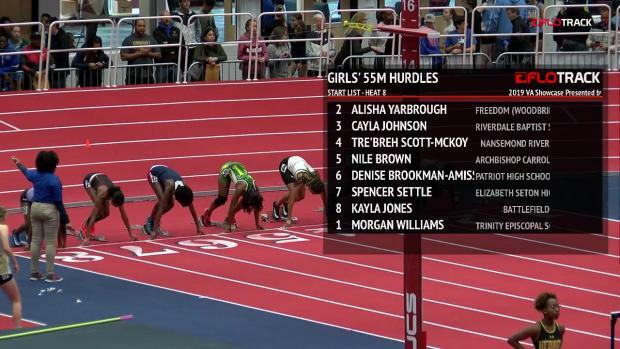 Young talent arrives at the nation's doorstep every year in track and field. 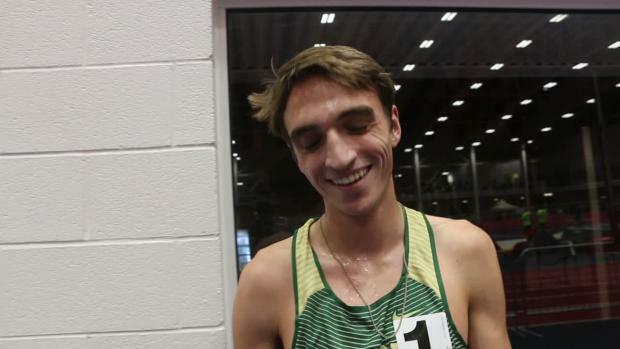 For the first time in three years, the two defending national XC champions will be at the same meet. 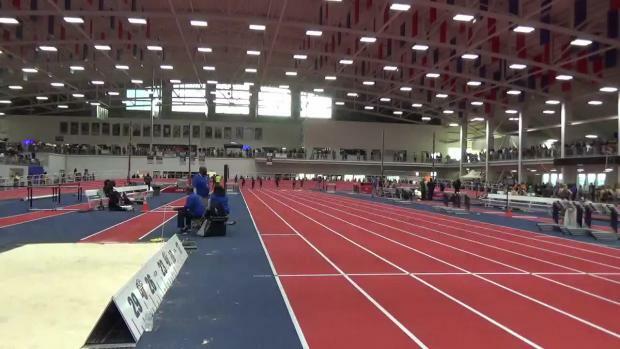 The 2019 Installment of the VA Showcase is now open for registration. 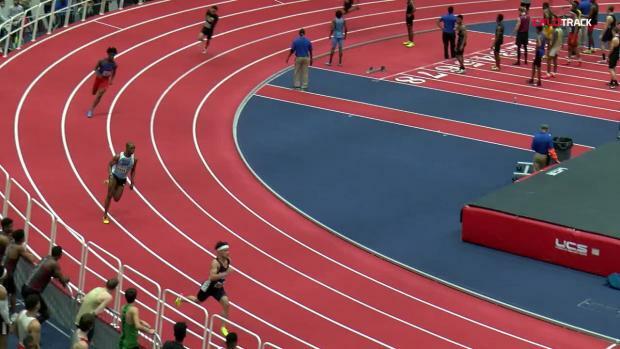 Sign-up now and be a part of history this January 18/19. 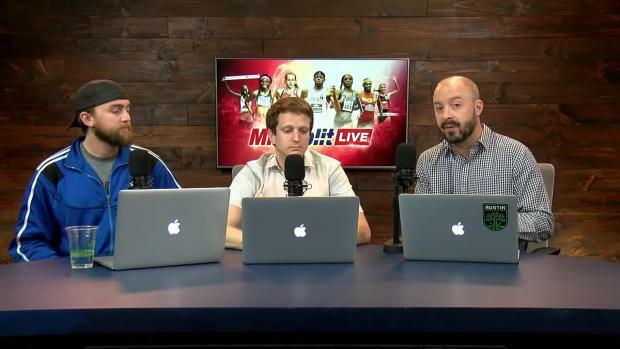 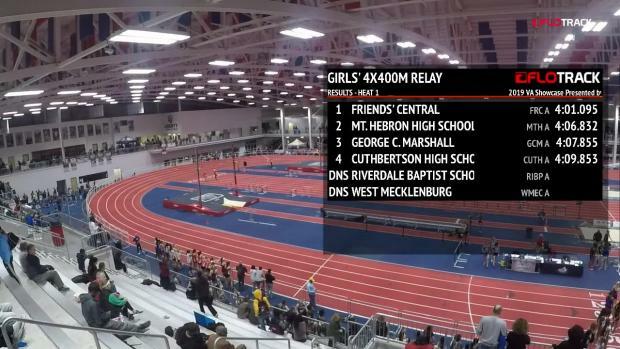 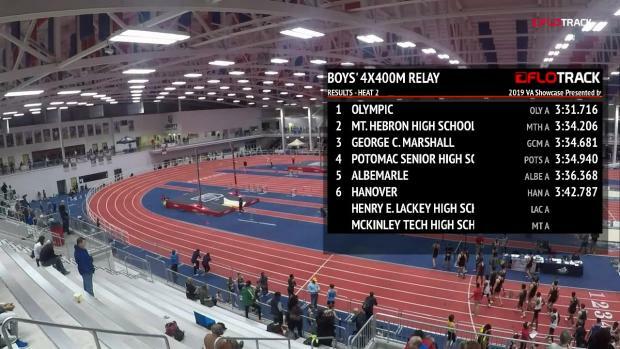 The 1600 meter sprint medley relay is not a sprinters relay. 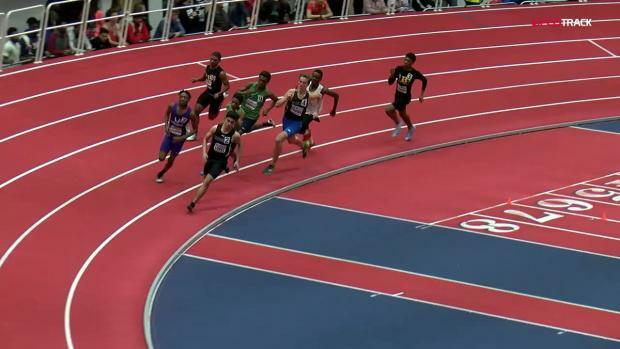 This year though, the sprinters could take it back. 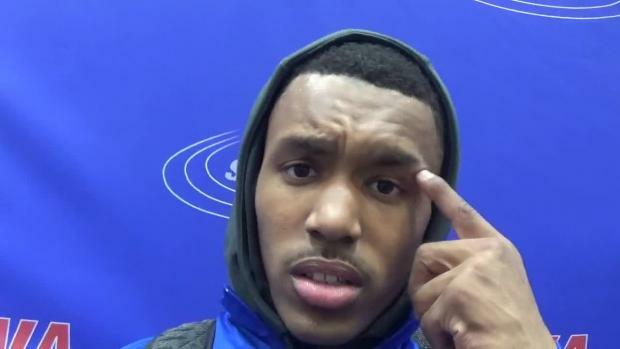 It's one of those things that you really never think about too hard, you just nod your head and agree... it must be something to do with the springiness. The nation's best meet is excited to announce the addition of an entire day of competition in 2019. 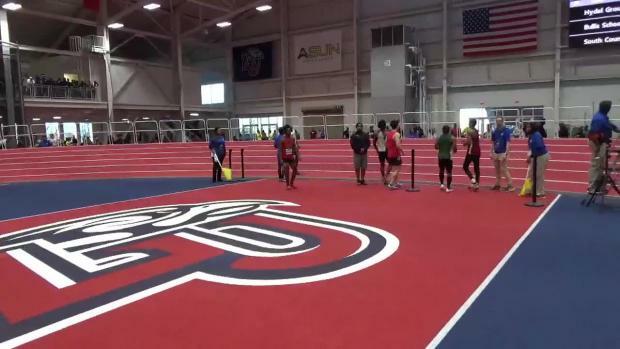 This field includes national champions, All-Americans, athletes who have won a staggering 15 state high jump titles, and of course three athletes over six feet. 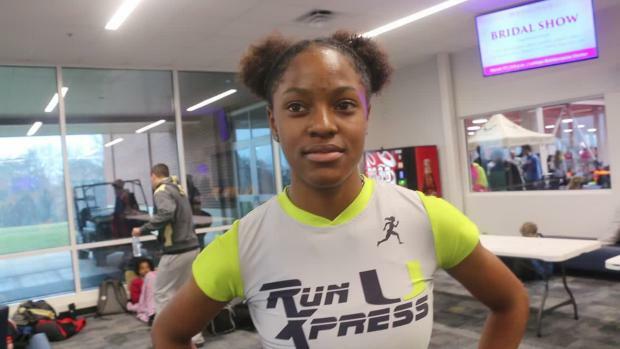 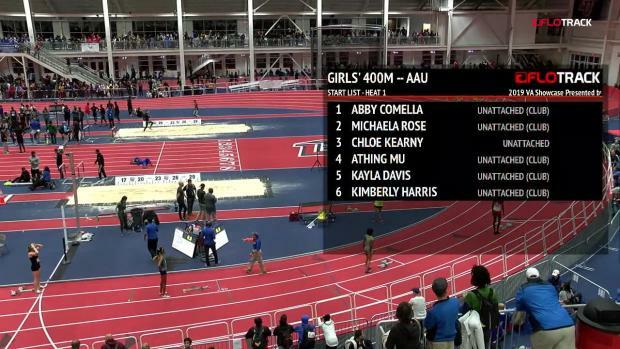 Now US#2 all-time in the 600m and US#5 all-time in the 400m, Athing Mu is sprinting herself into the track and field record books. 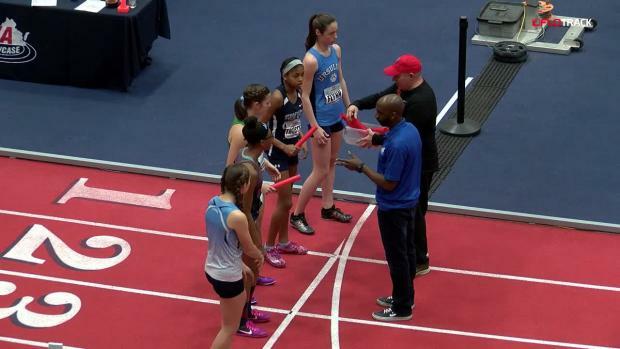 The VA Showcase meet management have announced their honorary meet referees for 2019. 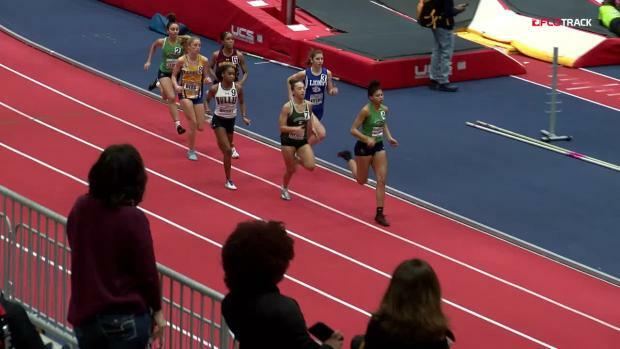 The 600 is a brutal event but the perfect event for those athletes who excel in the events longer than 300m but aren't quite Milers. 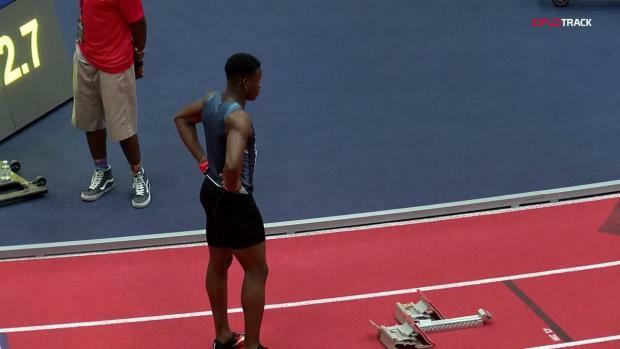 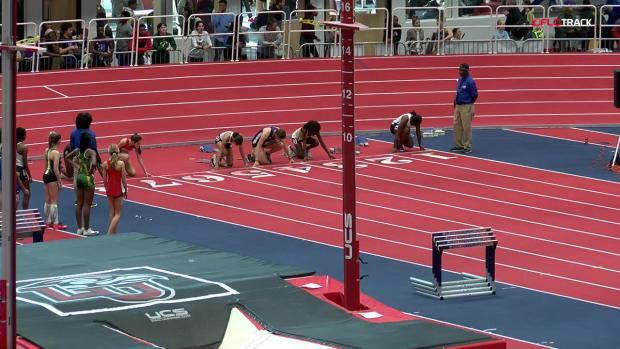 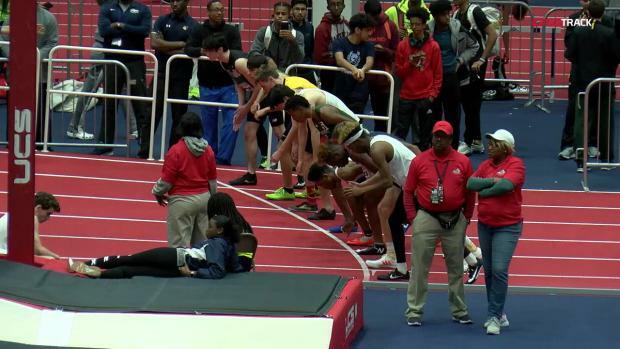 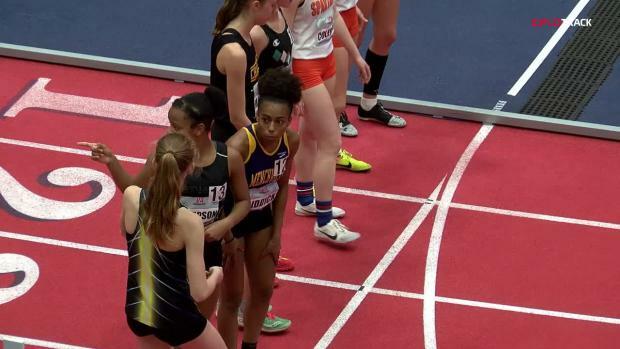 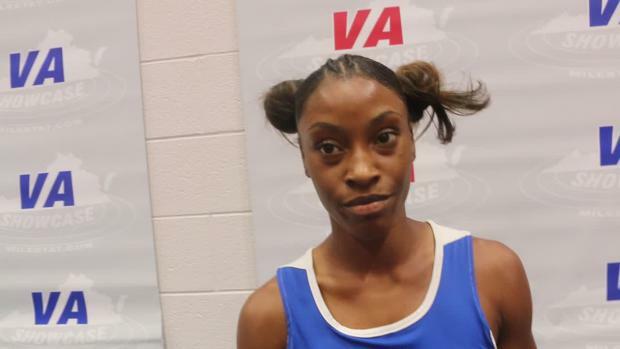 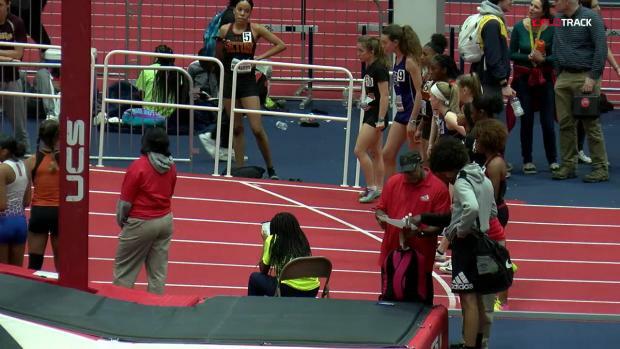 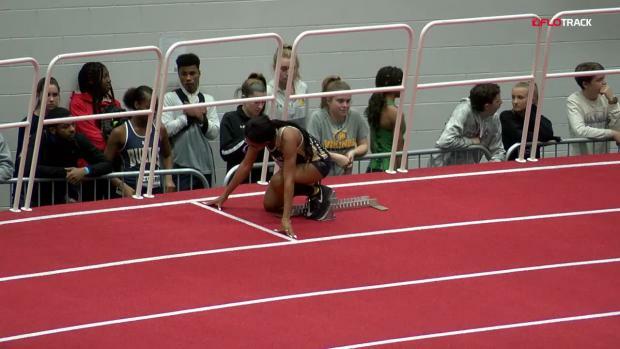 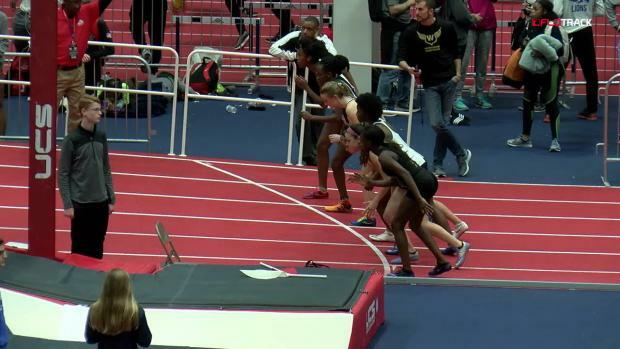 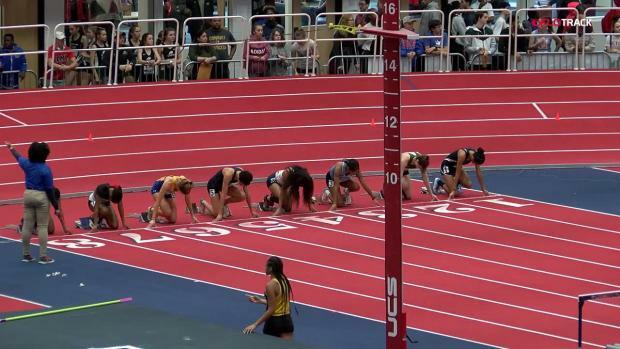 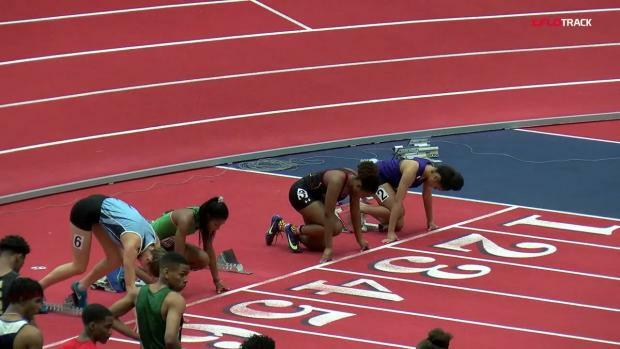 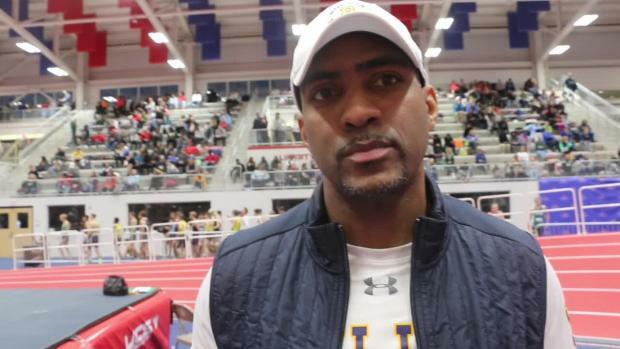 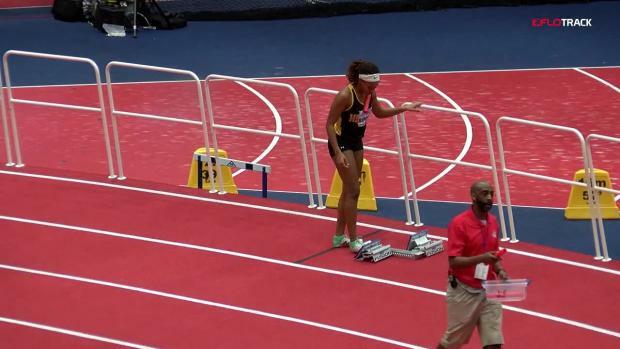 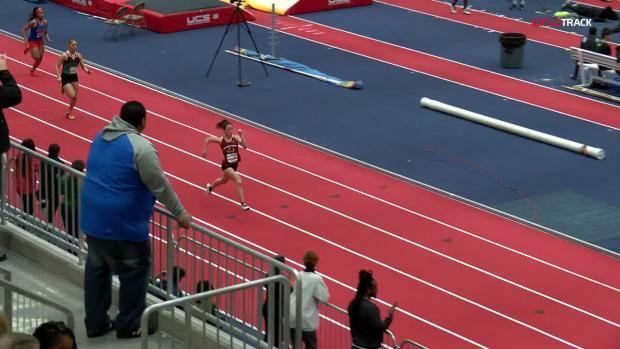 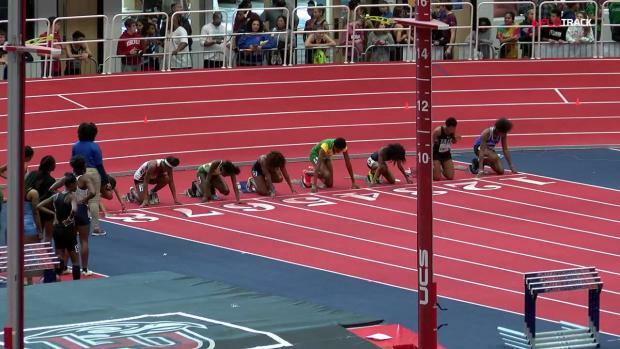 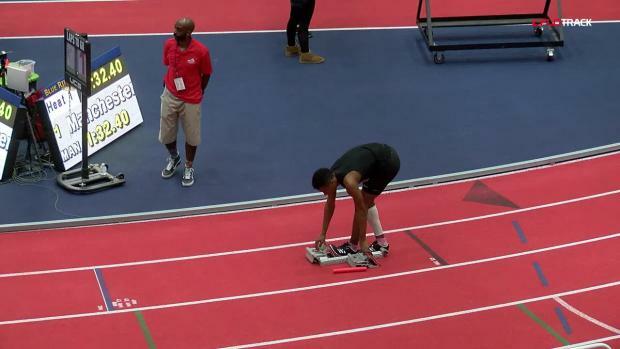 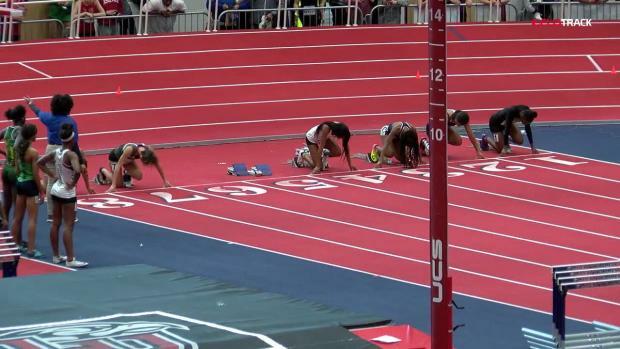 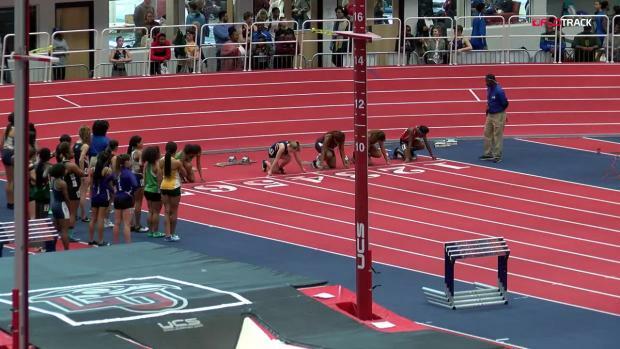 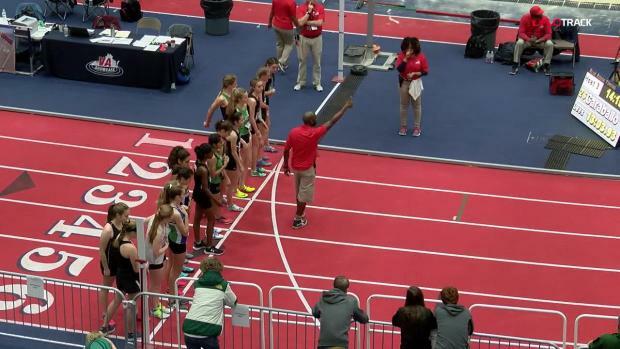 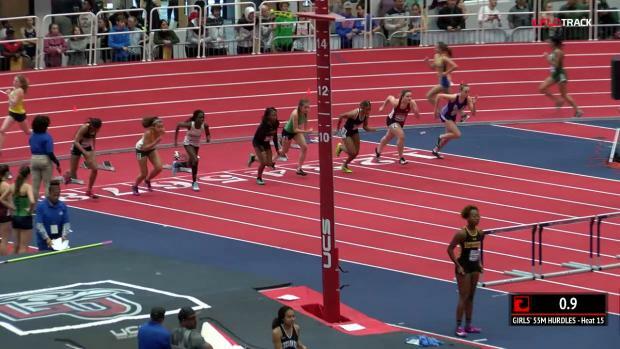 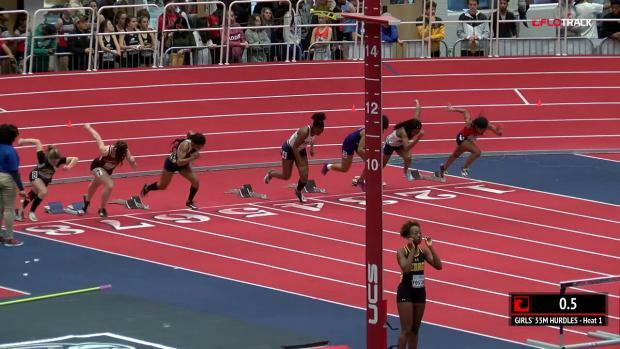 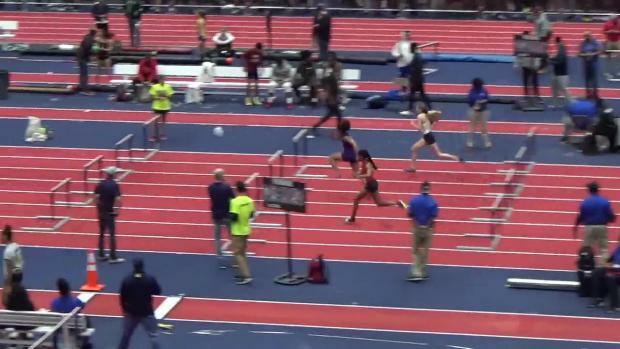 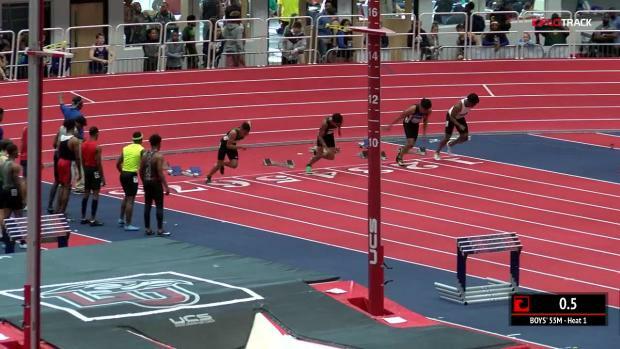 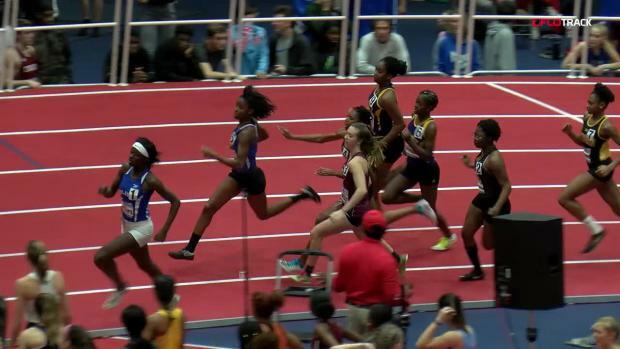 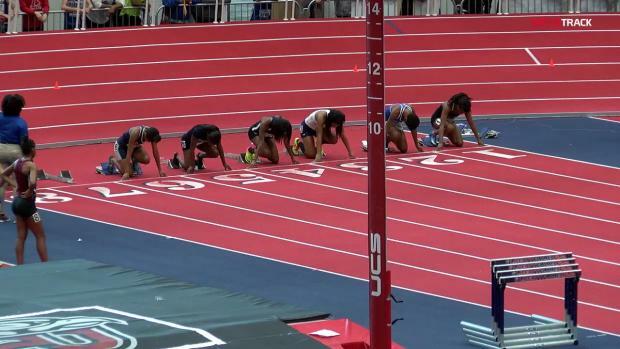 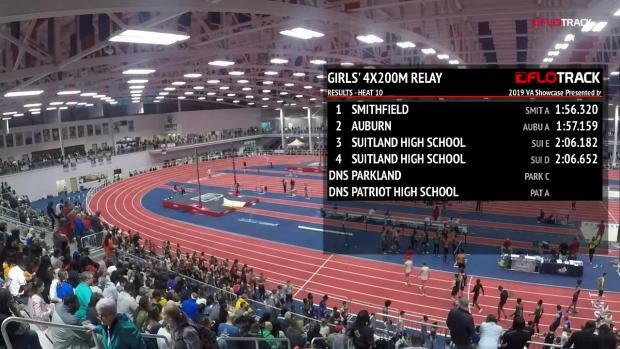 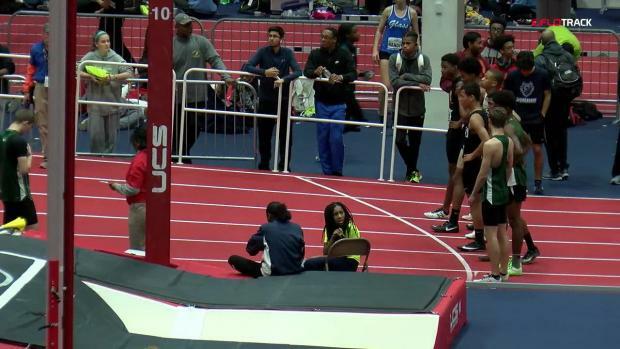 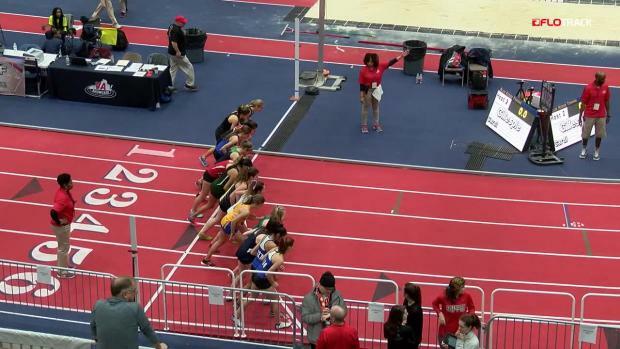 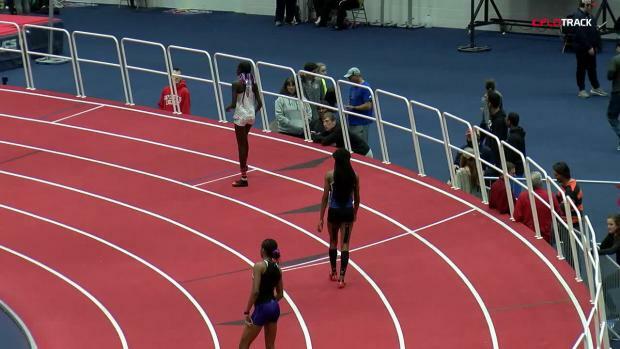 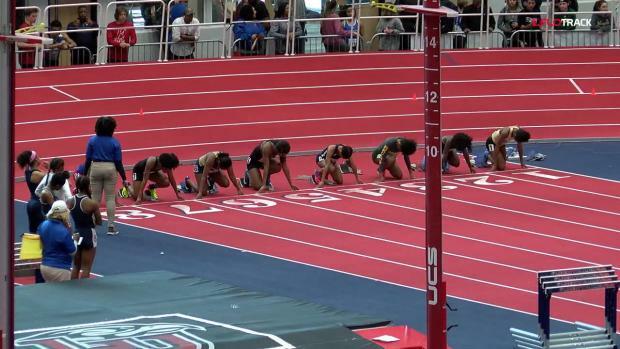 Reminder to coaches: Entries for the 2019 VA Showcase are due in the MileSplit system by 11:59pm on Sunday January 13th. Multiple time national champion and record holder, Taylor Ewert is headed to the 2019 VA Showcase. 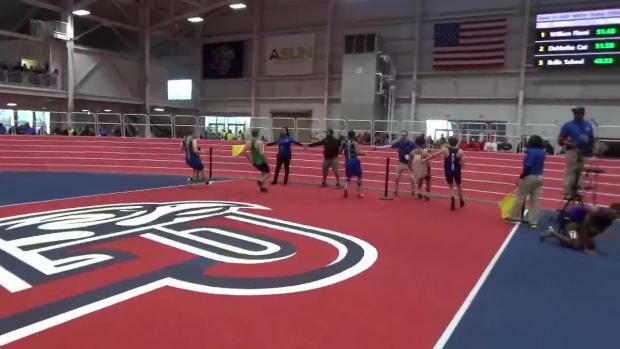 The Greencastle-Antrim junior went 4:55 for the win, throwing down the hammer late in the race. 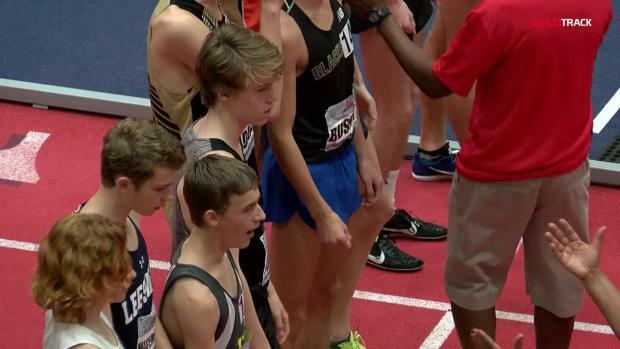 This January it was Britton Wilson changing history. 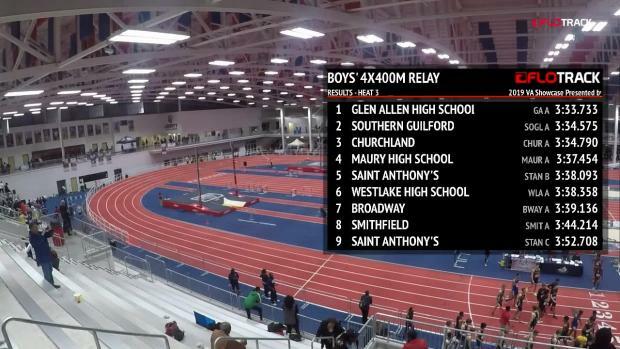 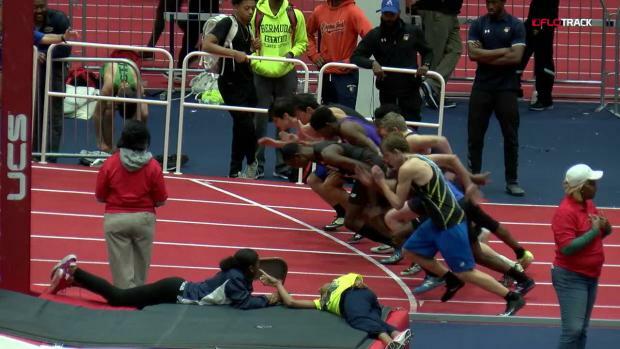 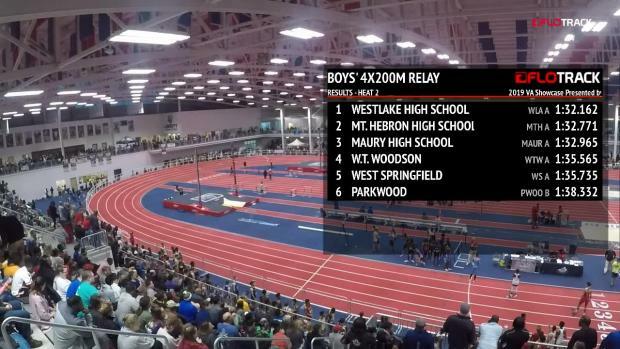 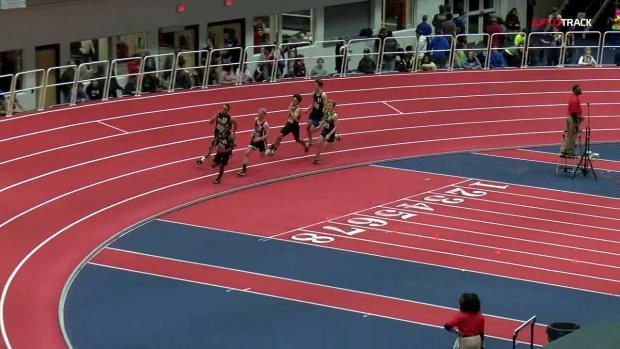 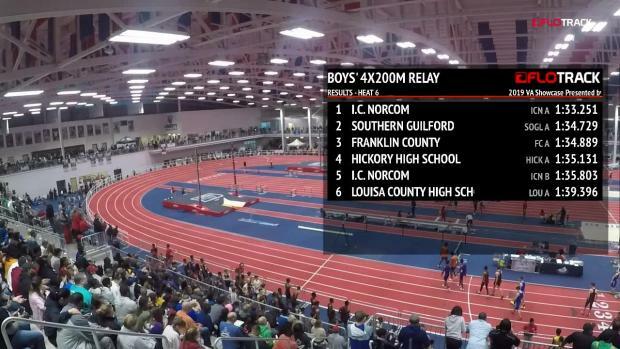 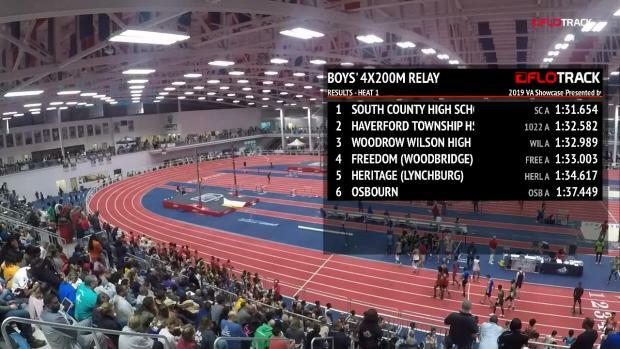 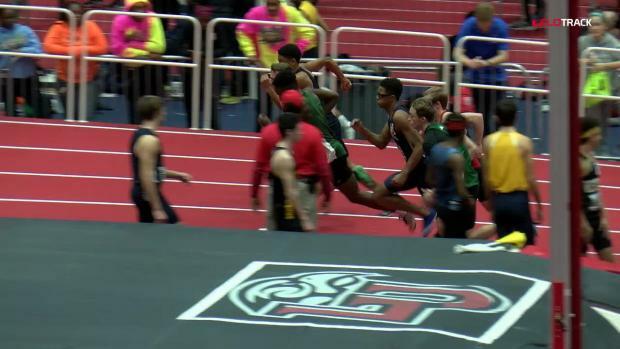 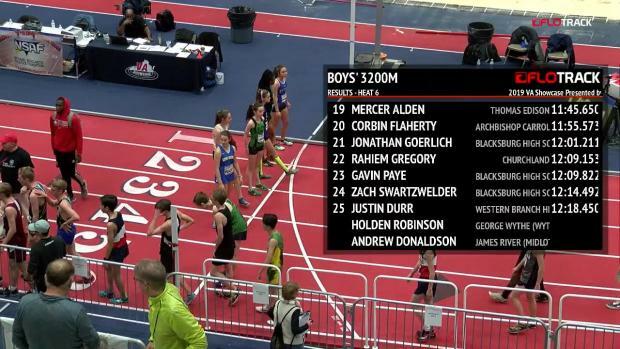 Check out the current top times in the state of Maryland for the boys 55 meter dash as of February 25th. 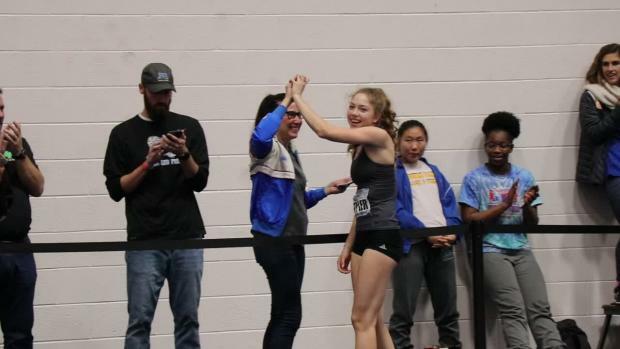 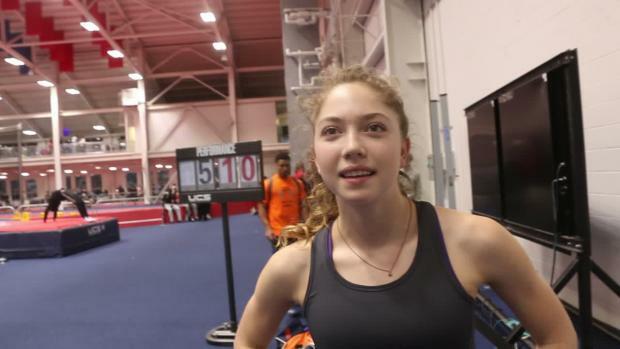 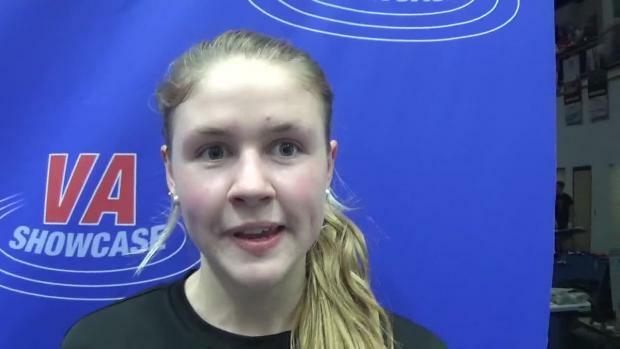 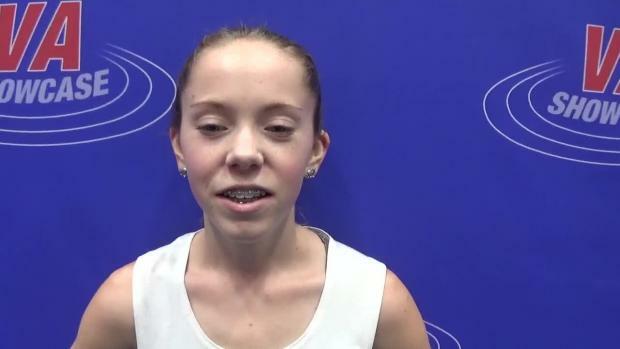 Taylor Ewert set the American junior record in the 3K Racewalk event with her time of 13.24.76. 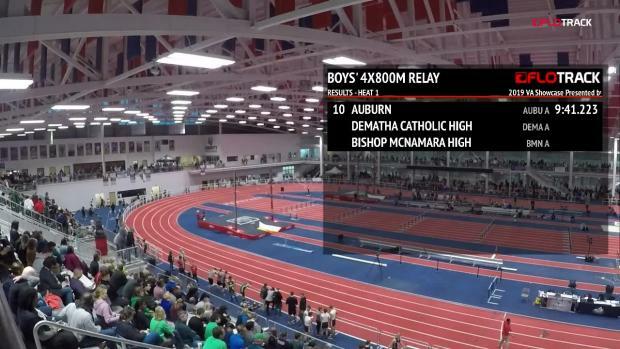 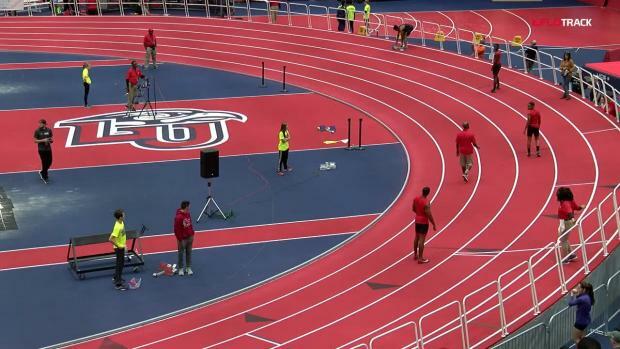 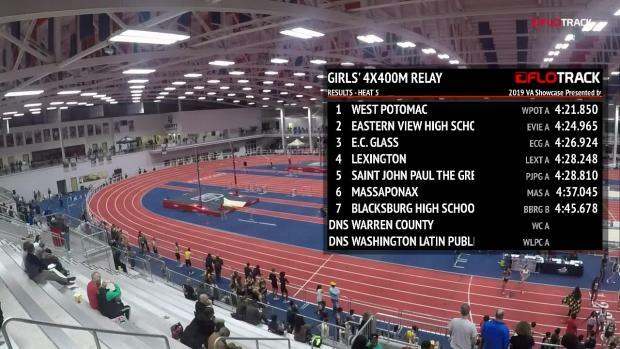 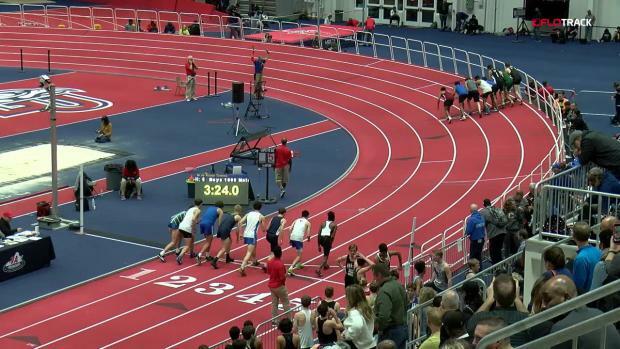 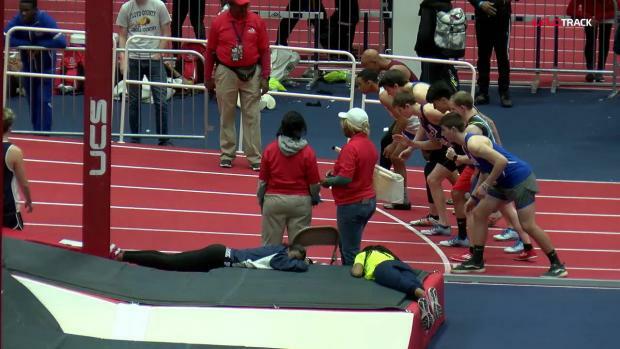 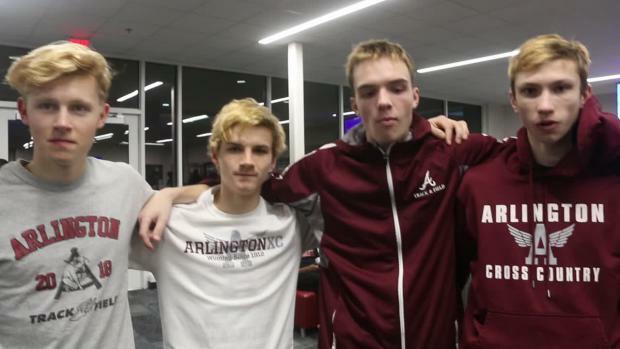 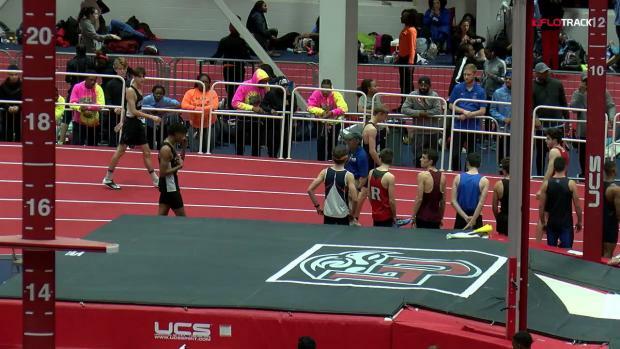 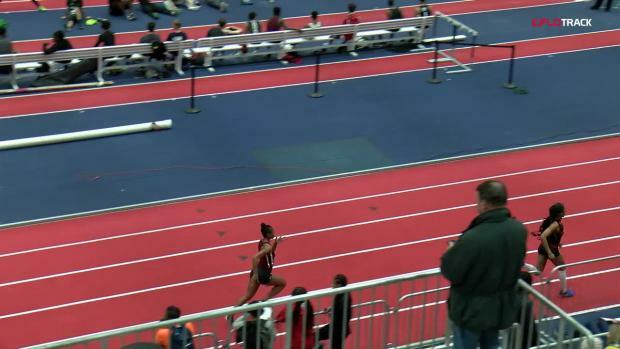 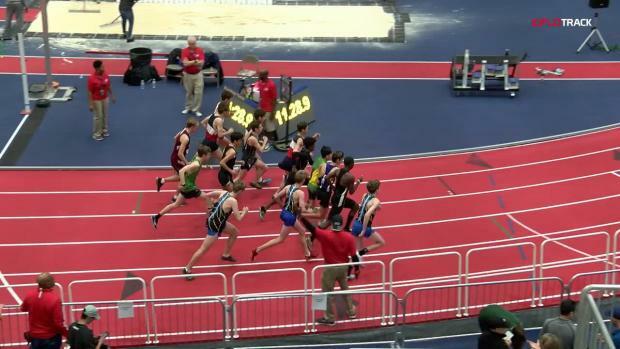 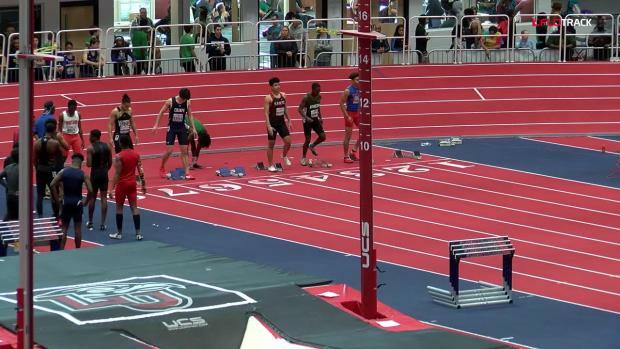 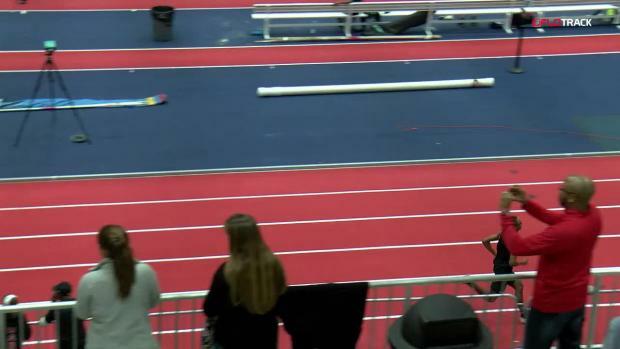 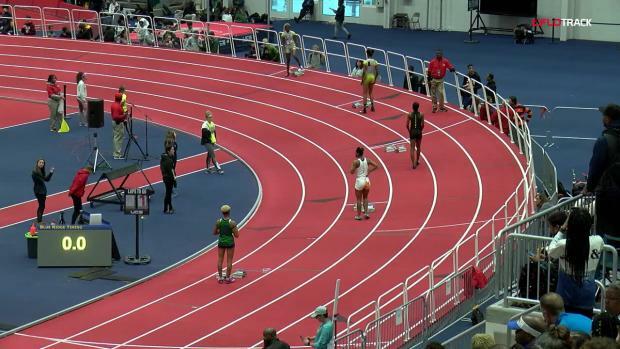 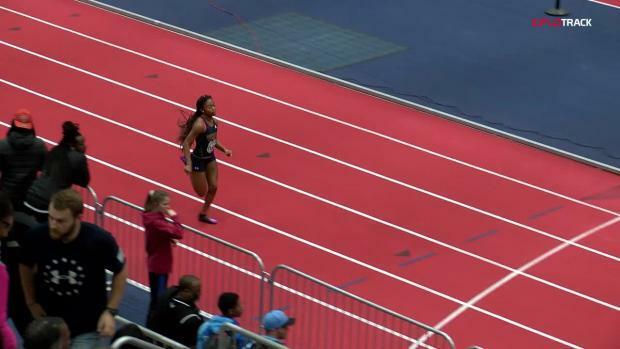 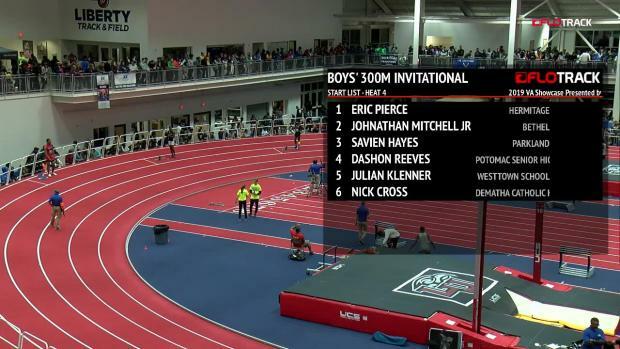 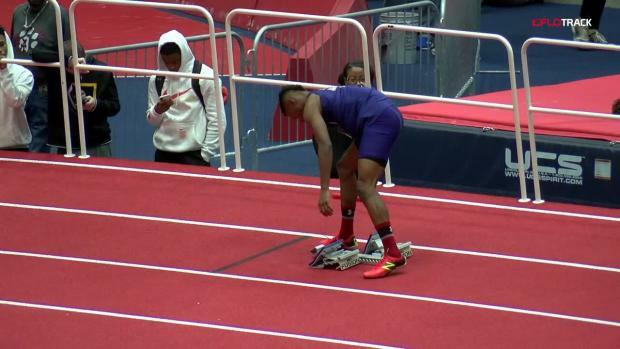 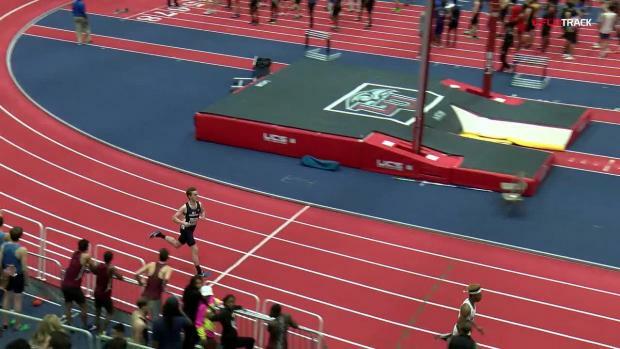 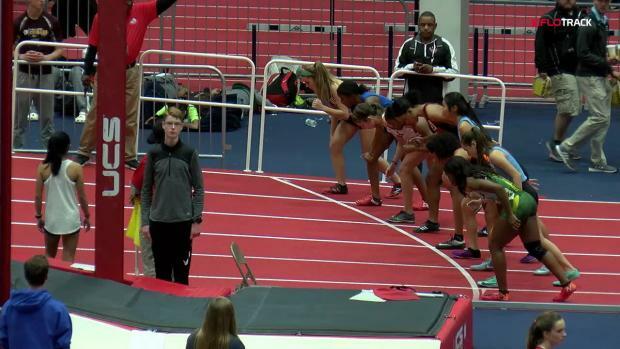 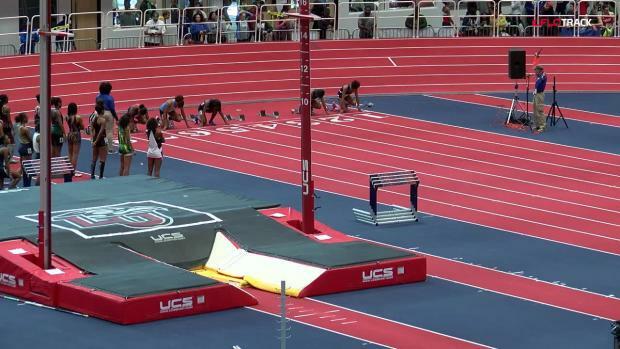 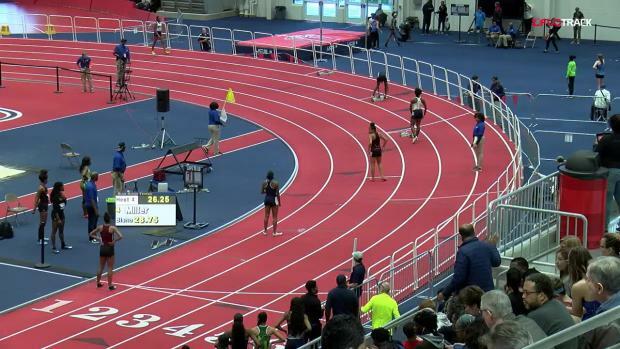 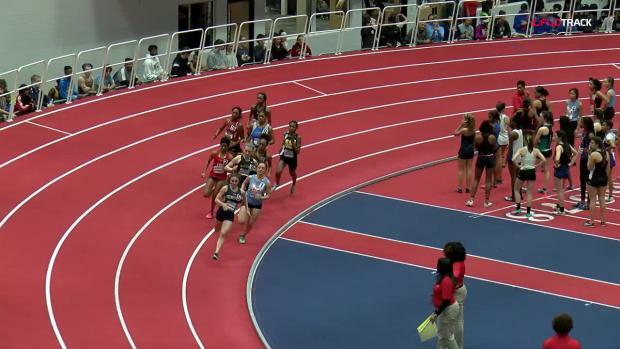 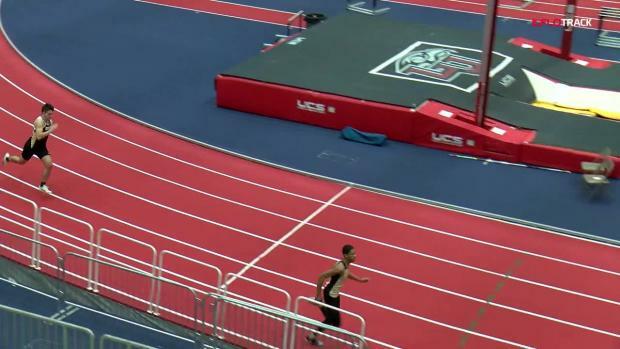 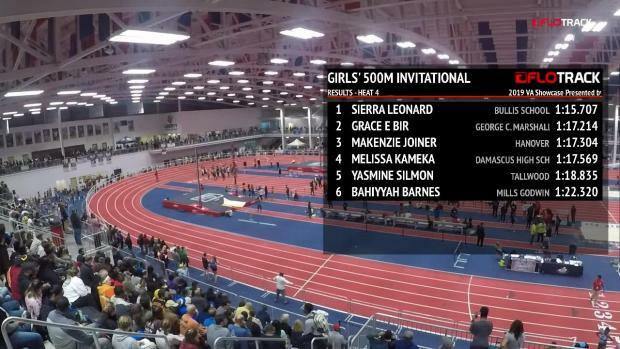 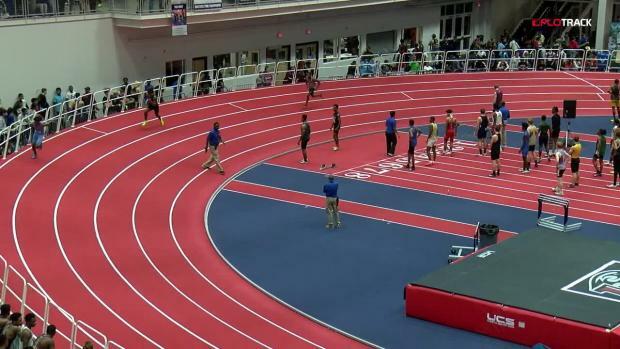 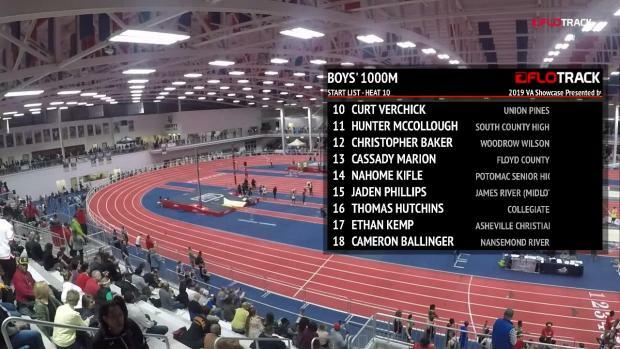 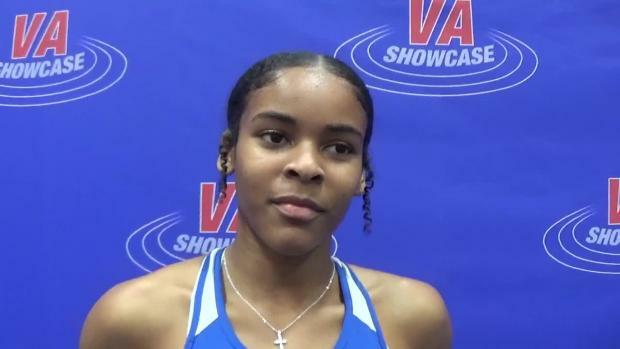 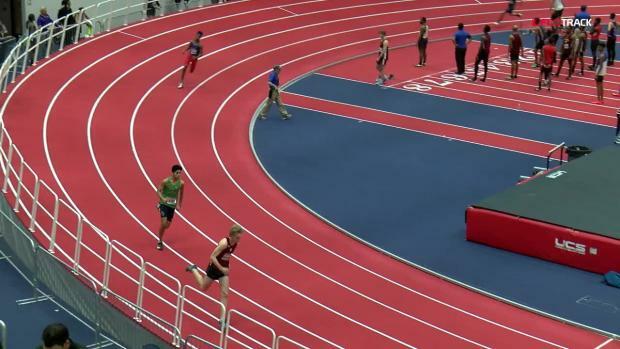 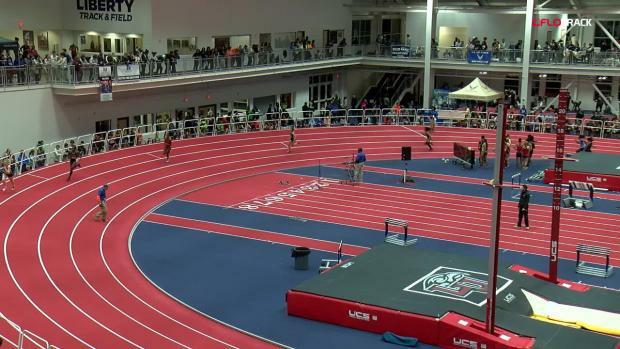 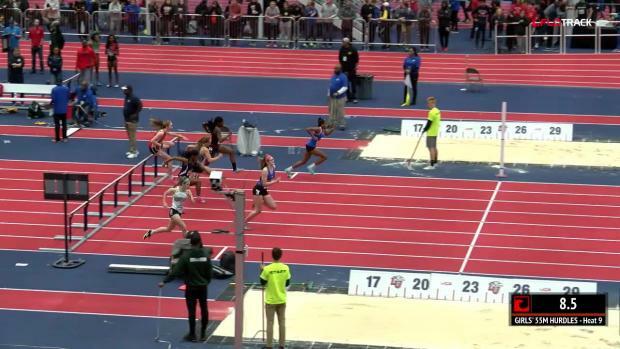 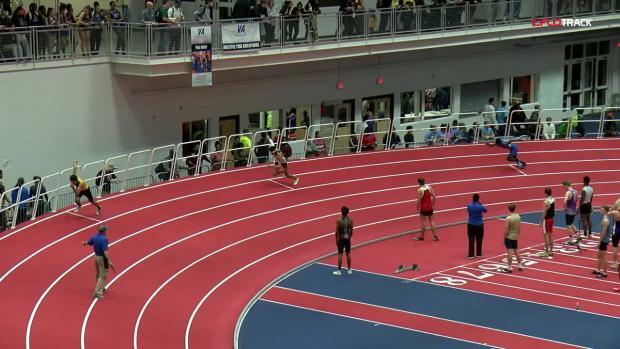 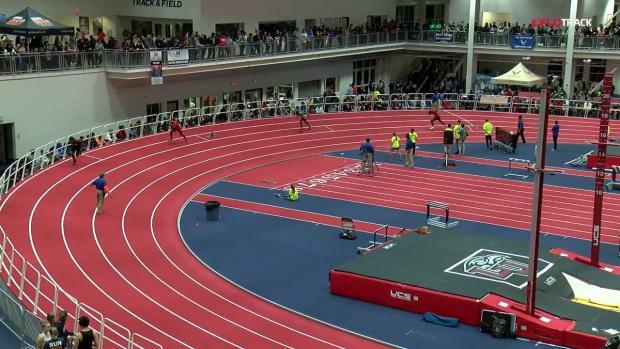 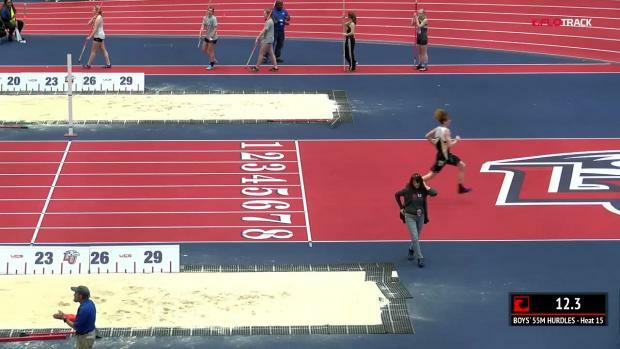 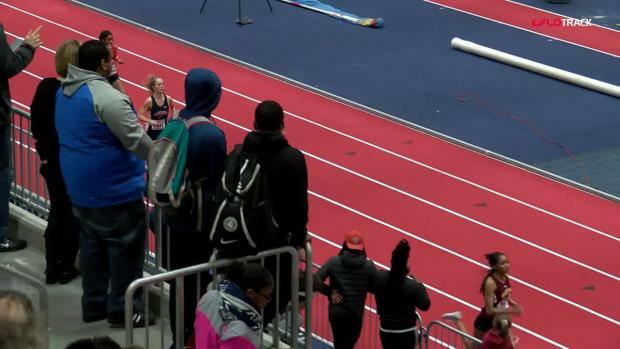 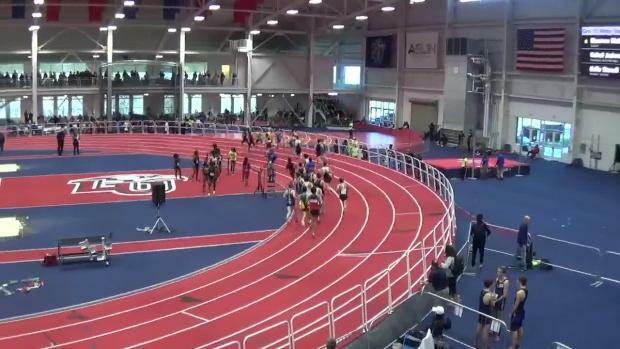 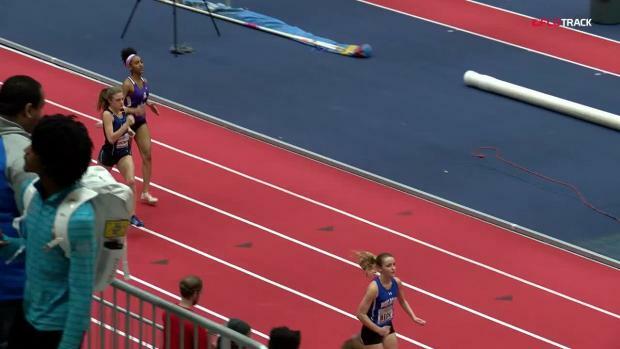 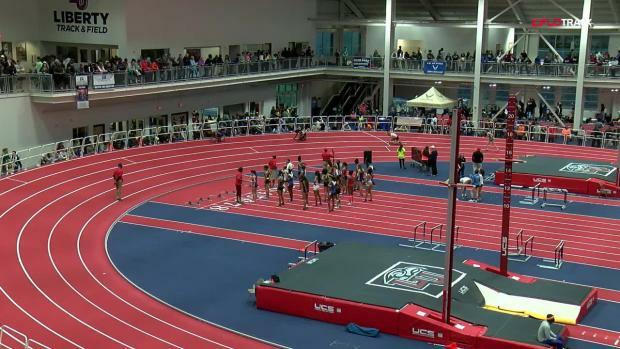 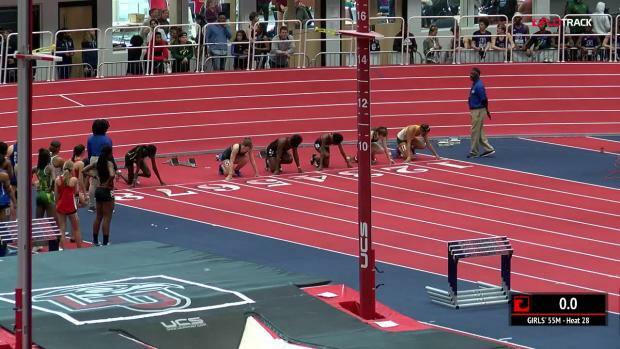 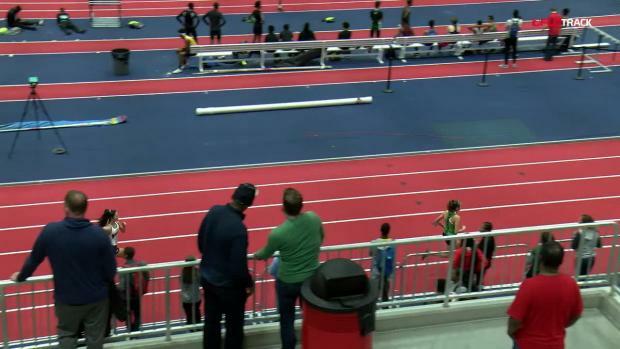 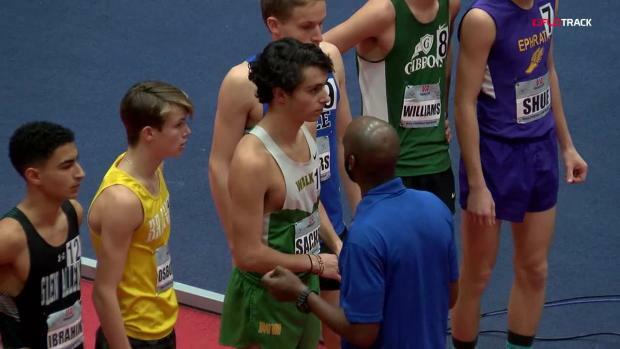 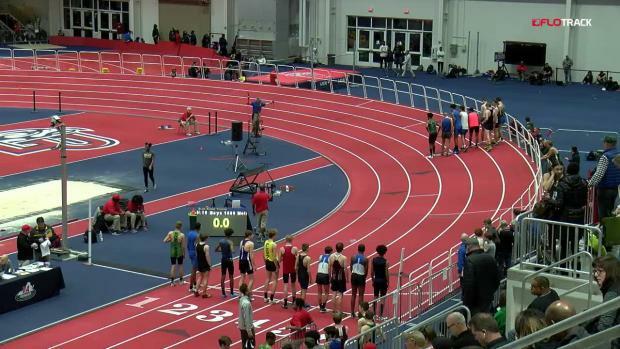 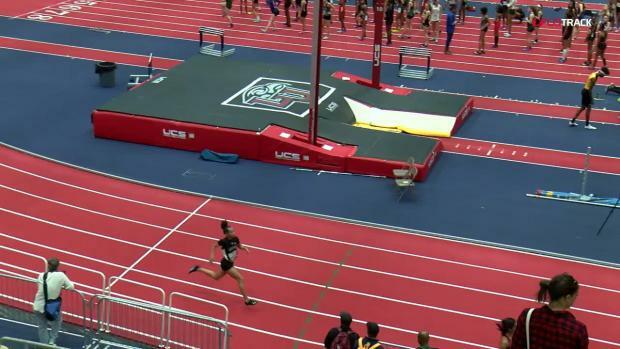 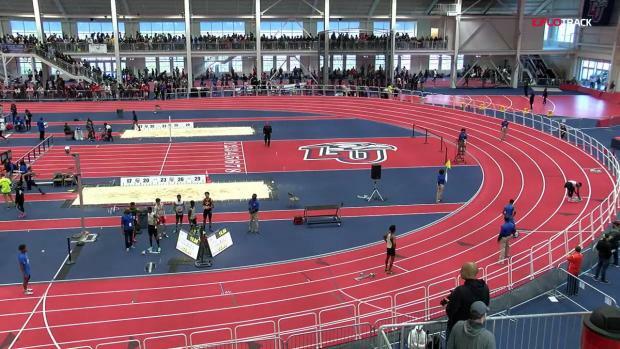 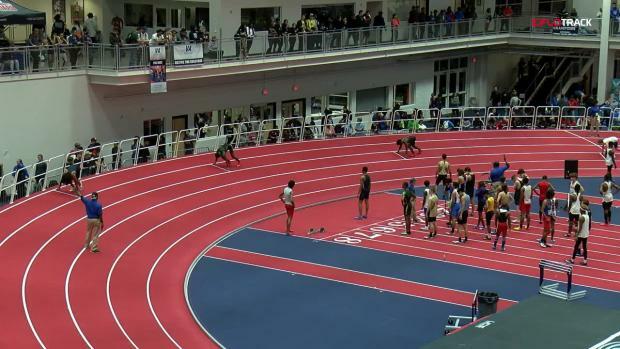 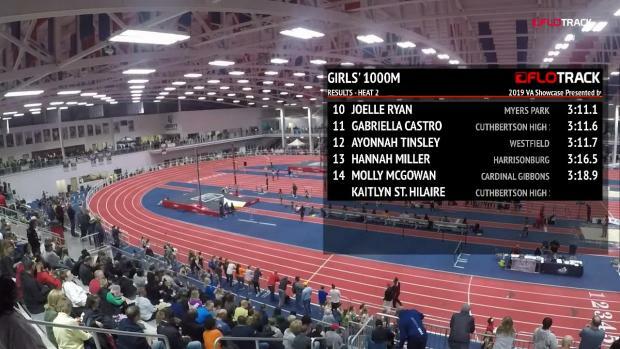 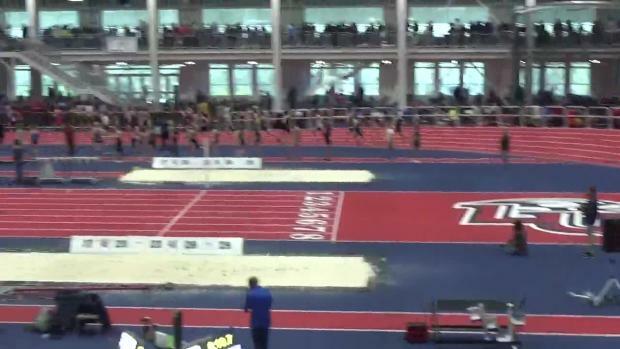 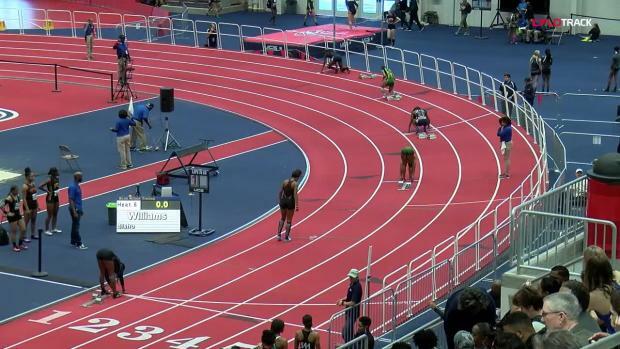 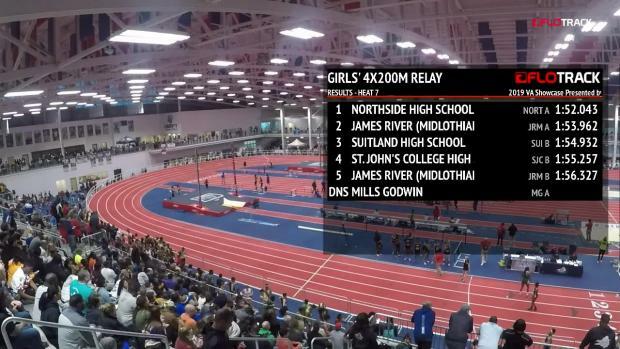 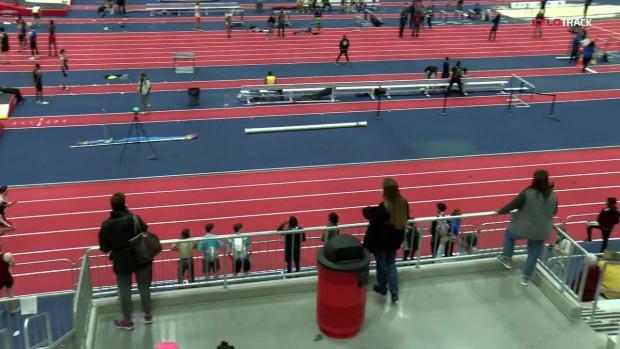 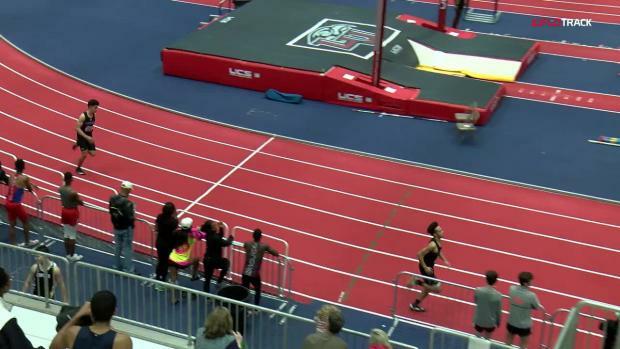 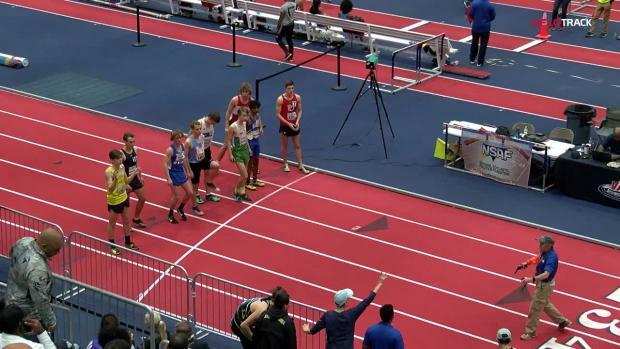 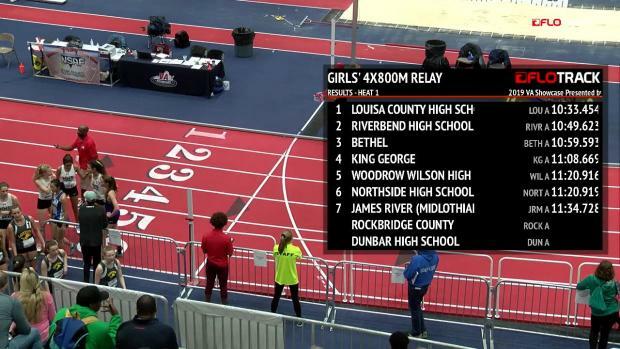 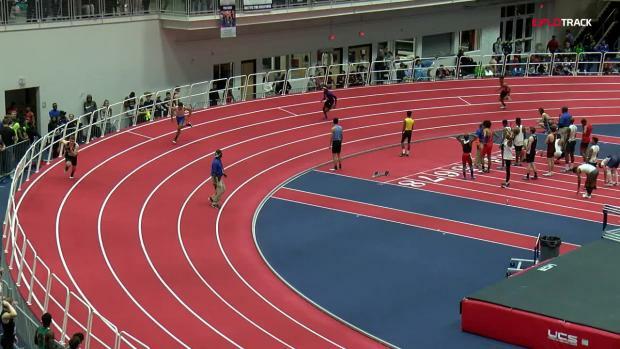 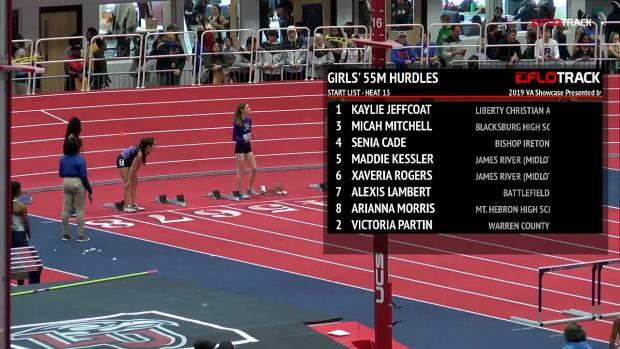 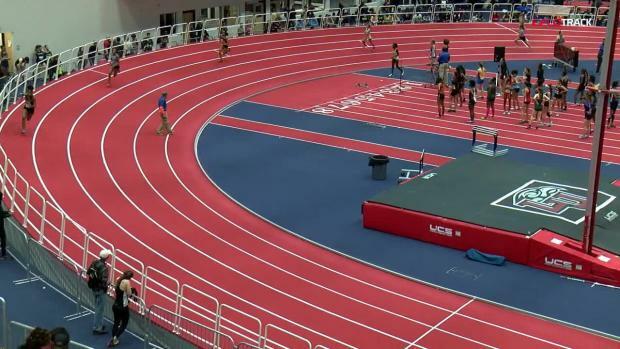 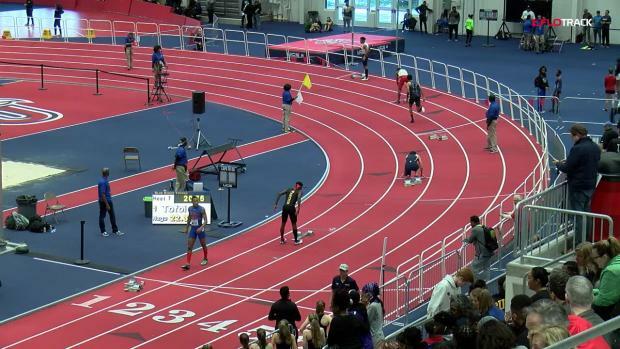 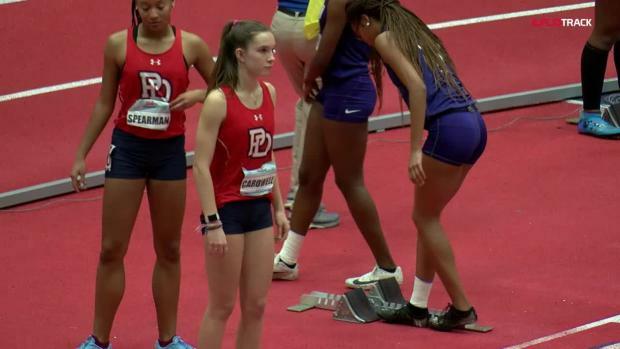 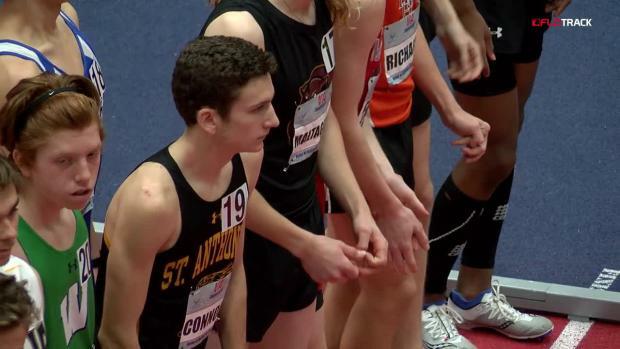 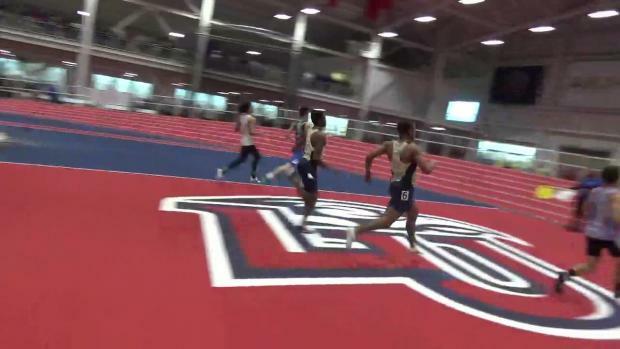 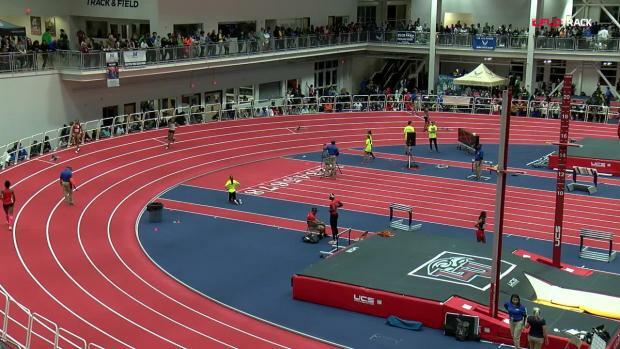 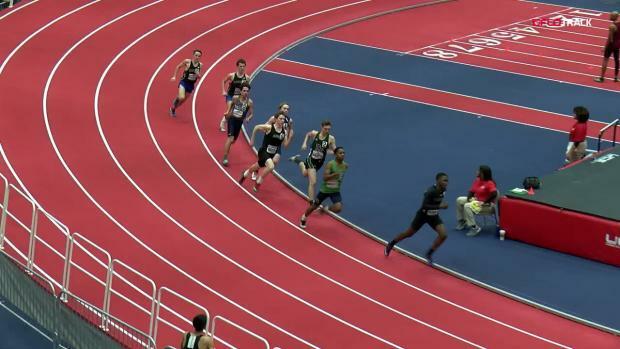 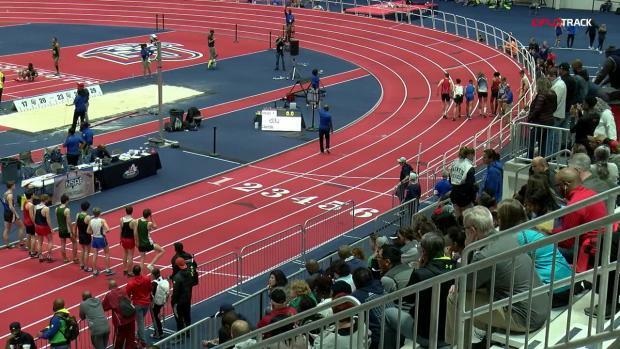 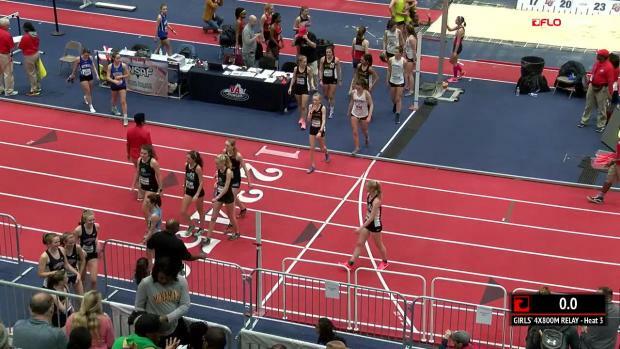 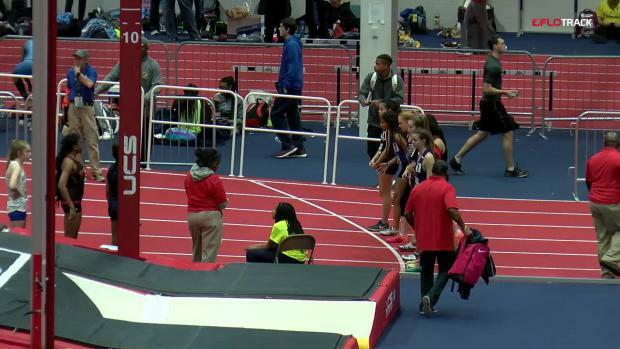 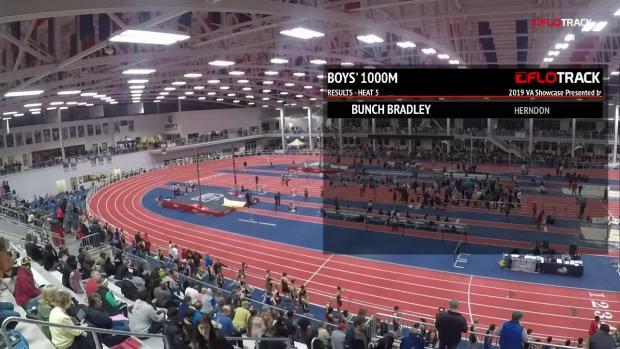 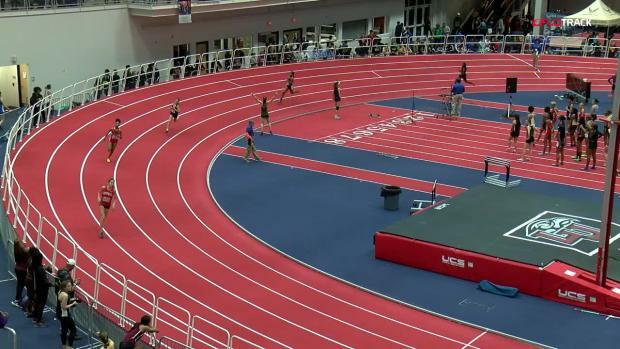 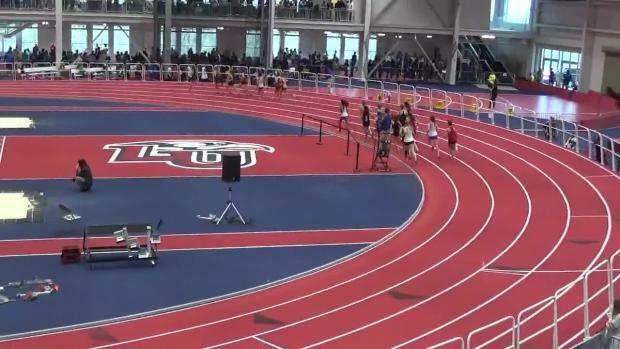 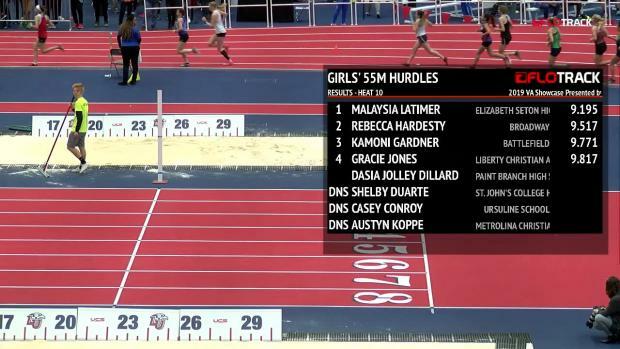 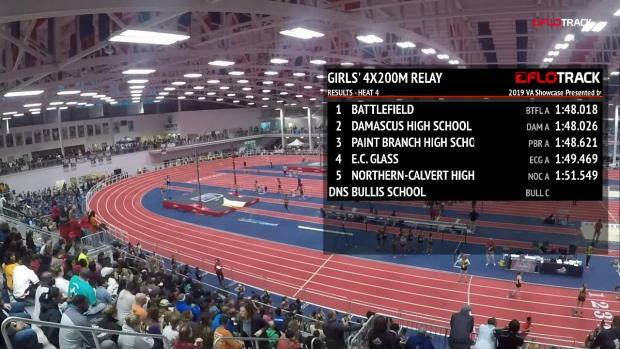 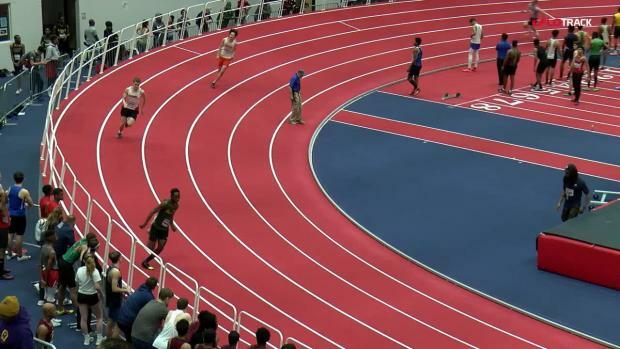 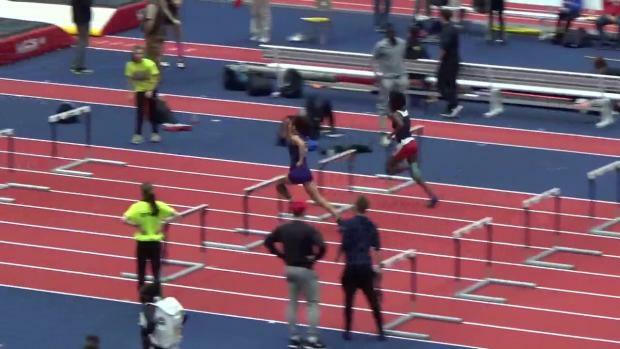 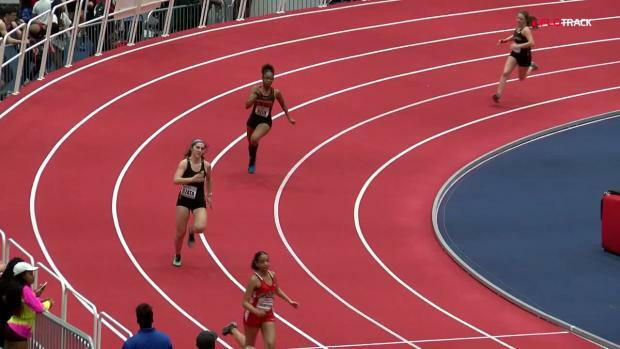 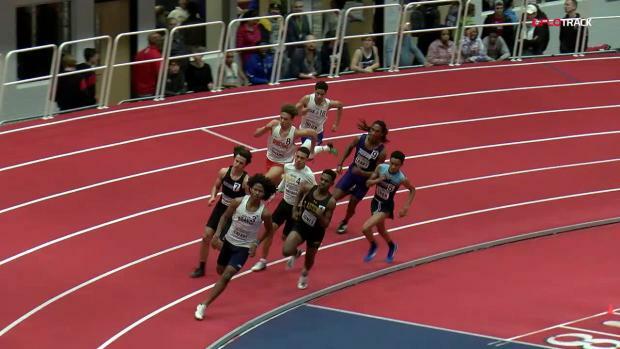 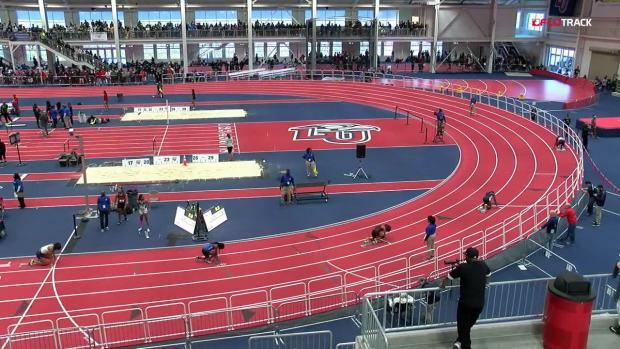 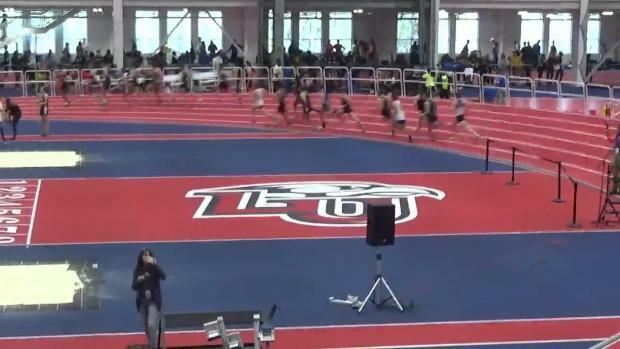 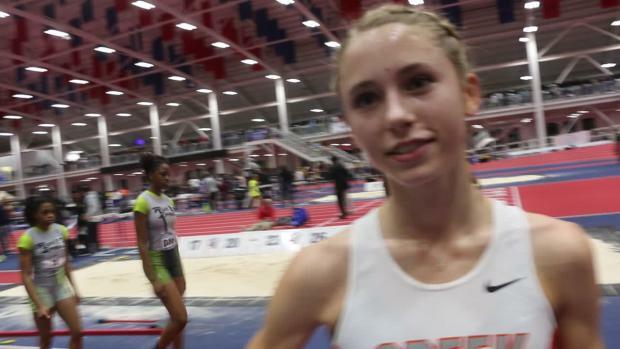 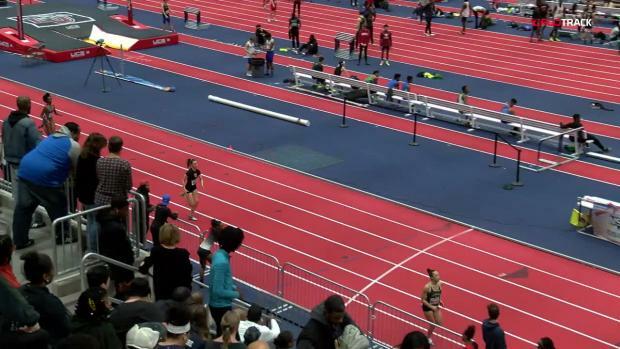 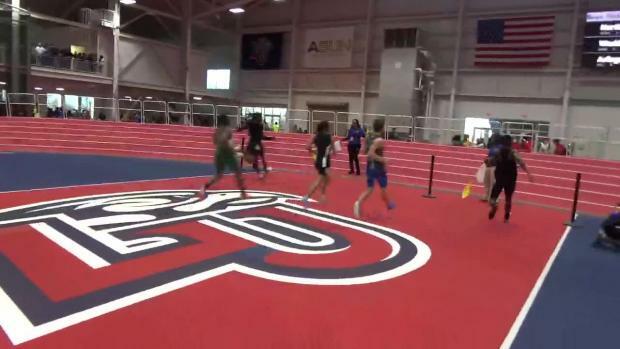 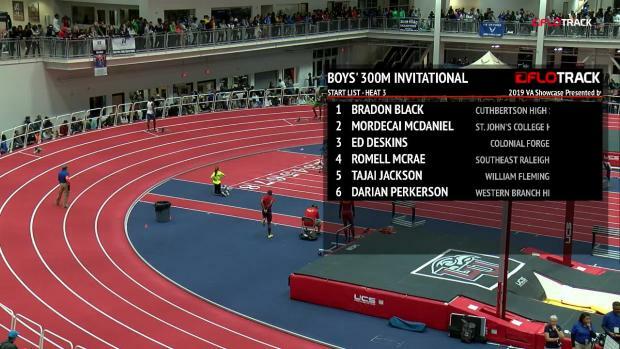 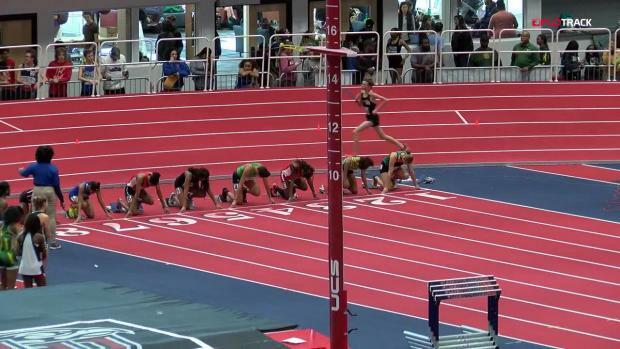 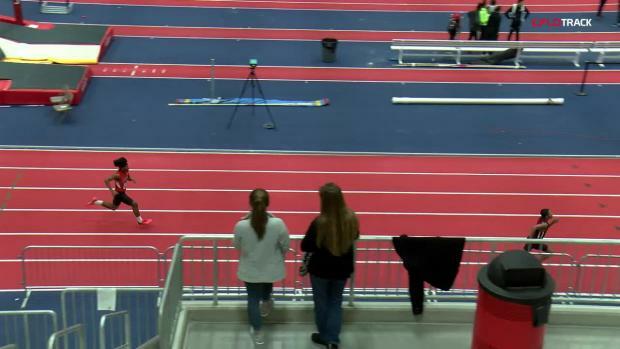 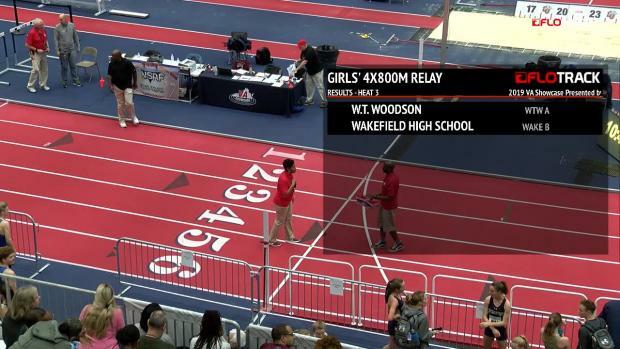 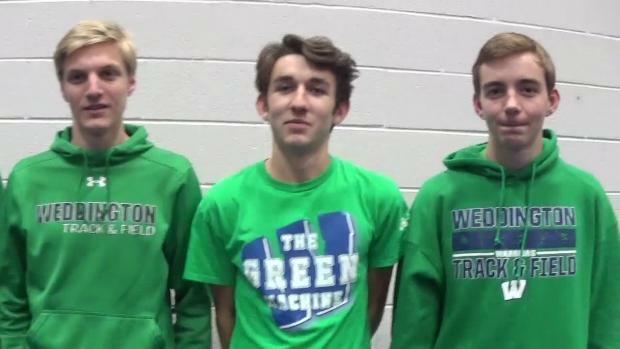 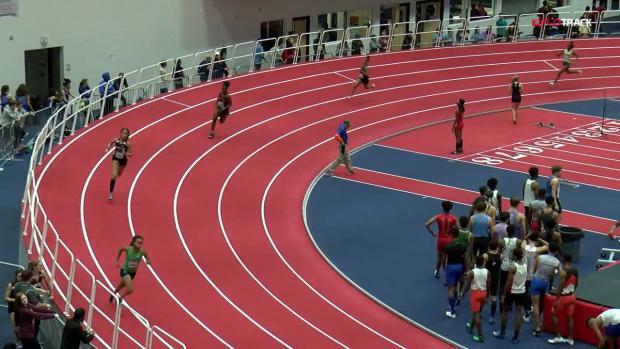 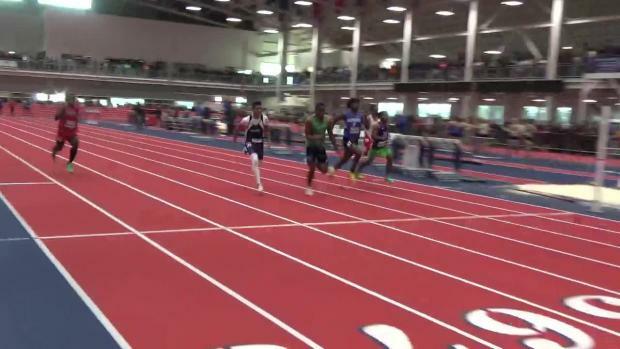 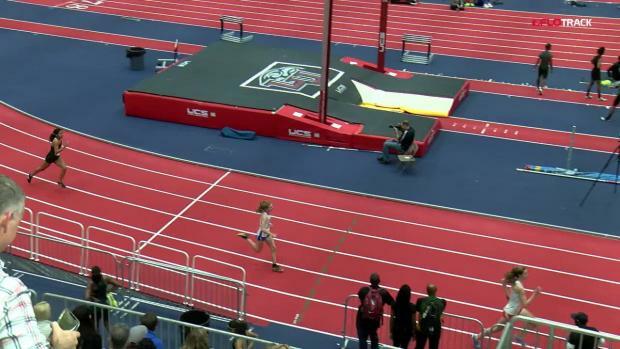 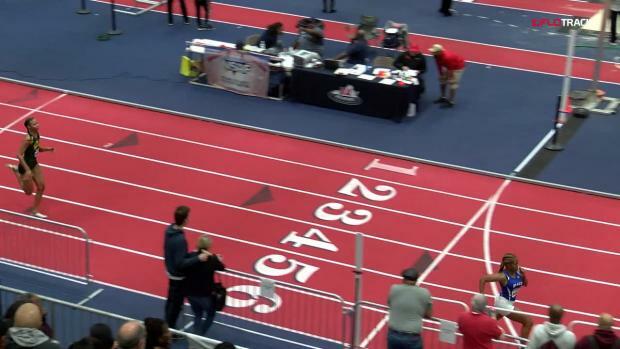 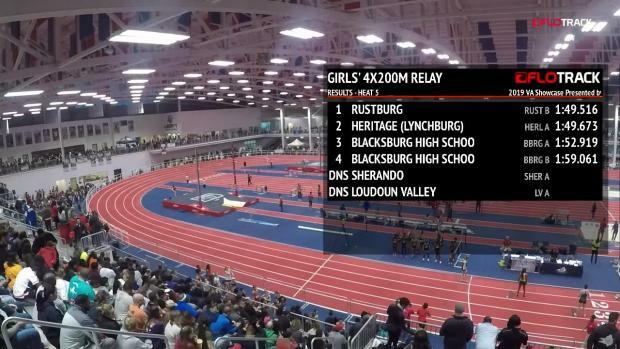 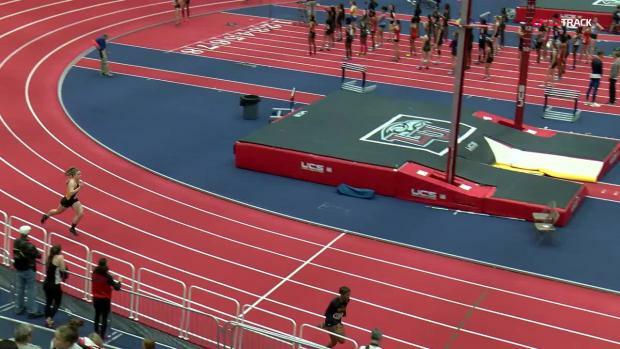 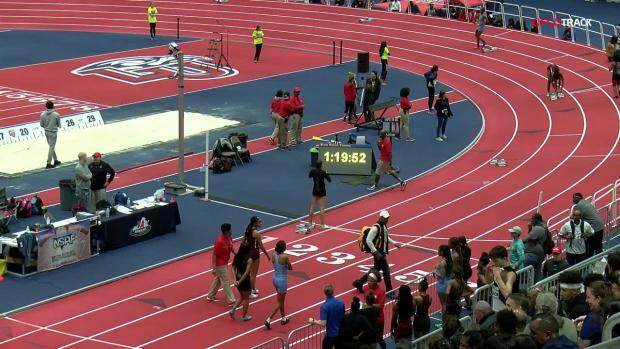 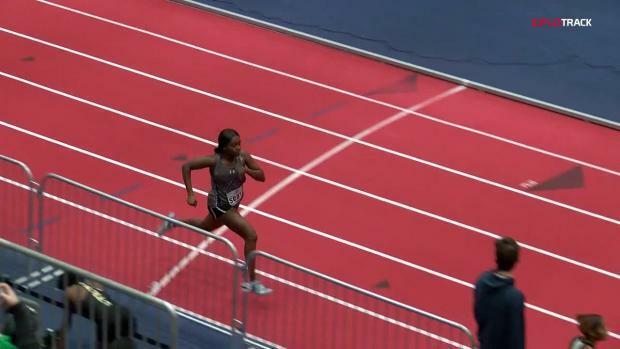 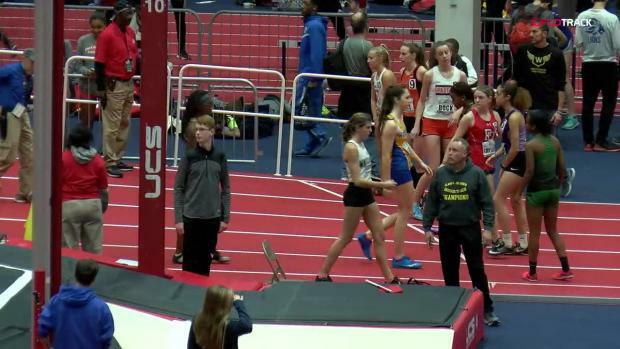 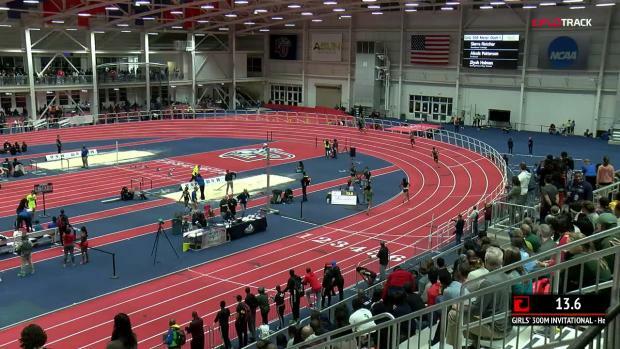 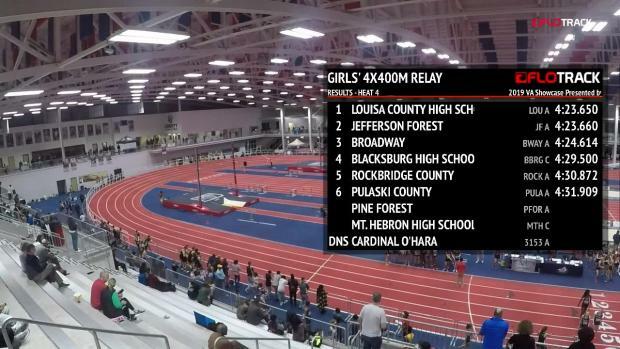 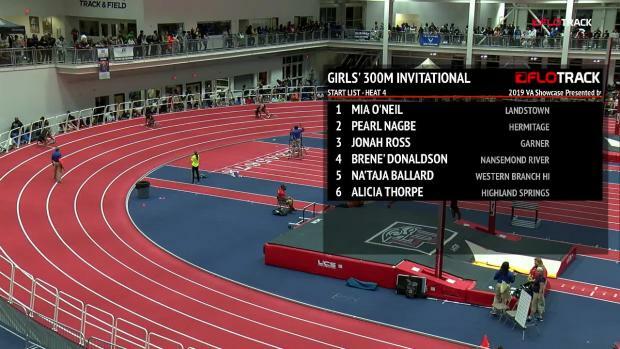 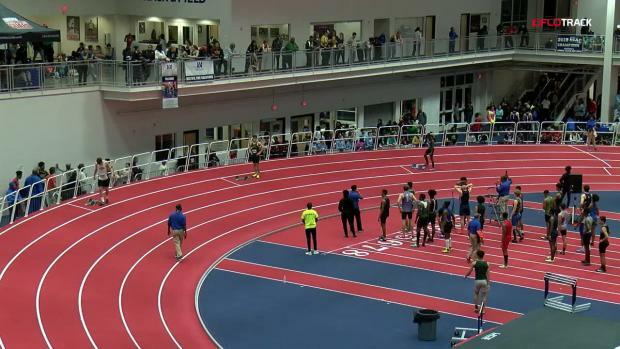 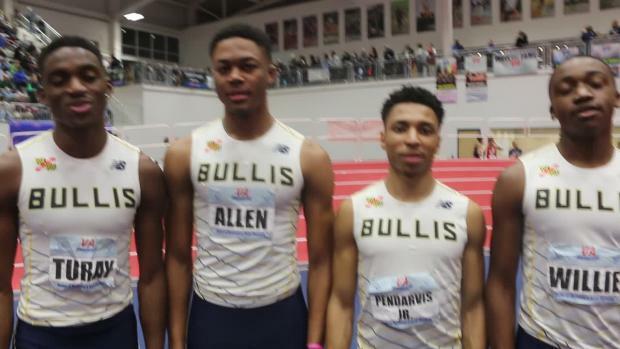 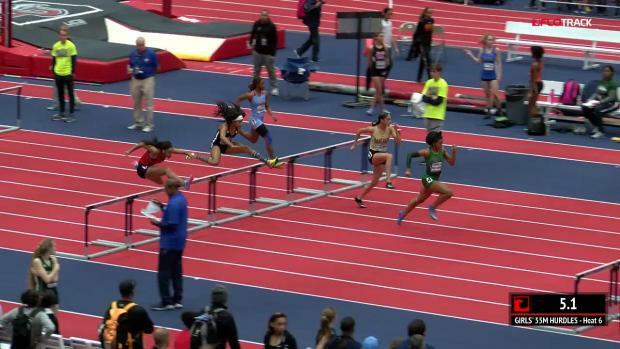 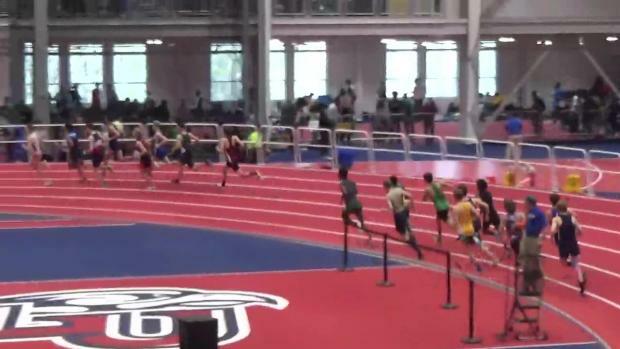 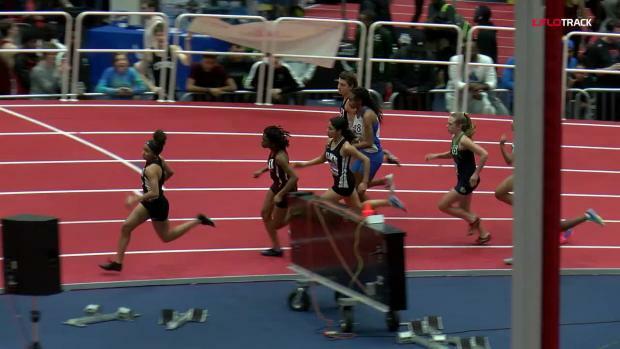 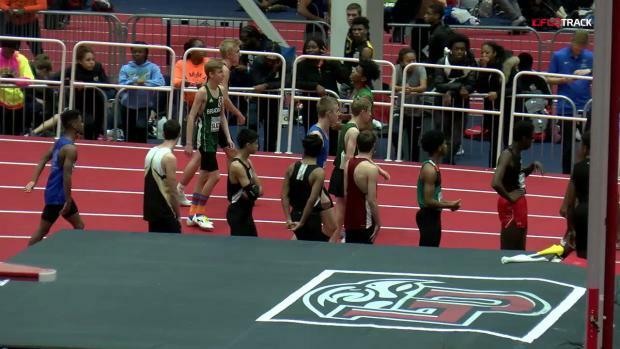 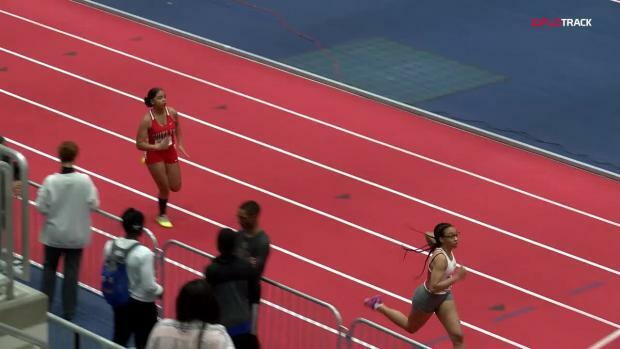 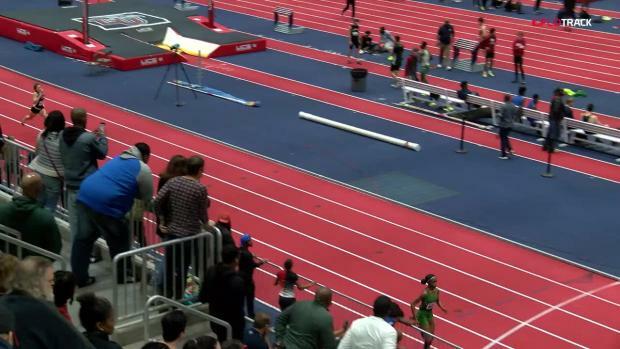 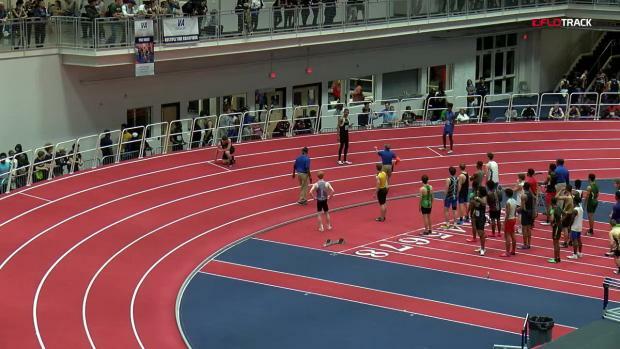 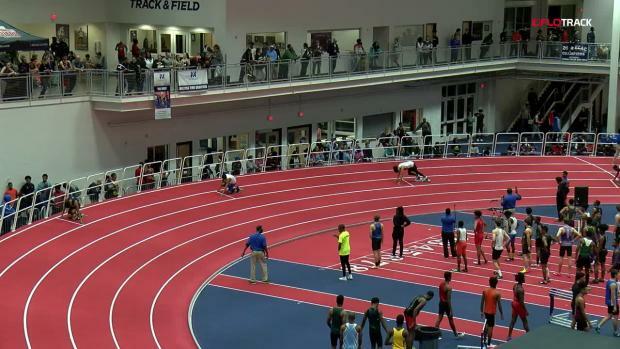 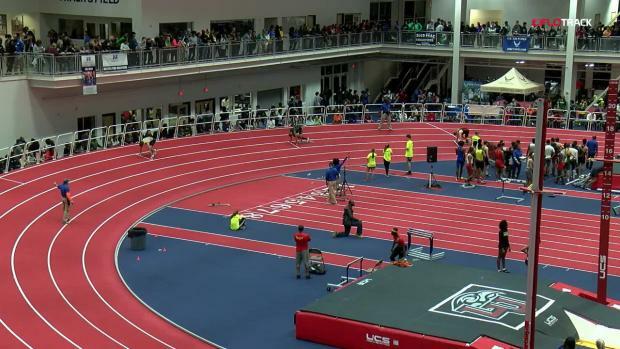 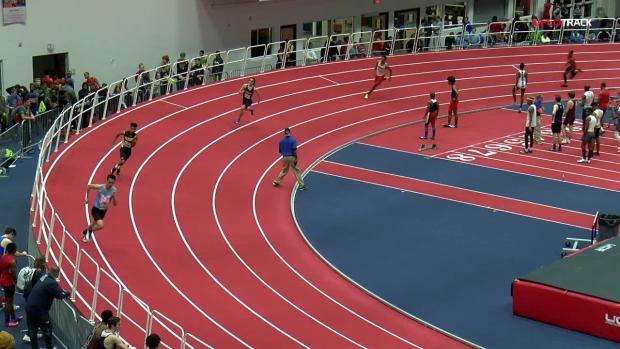 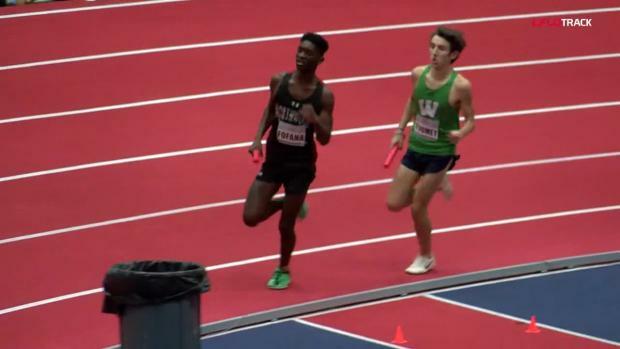 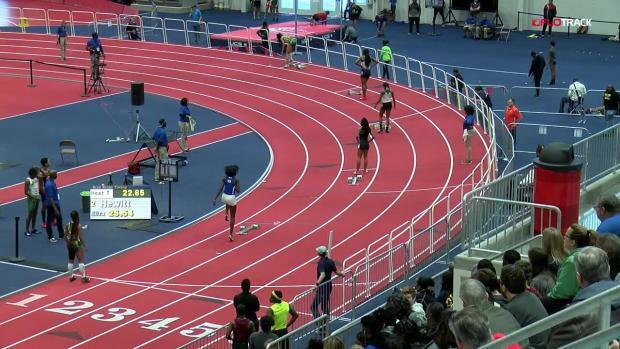 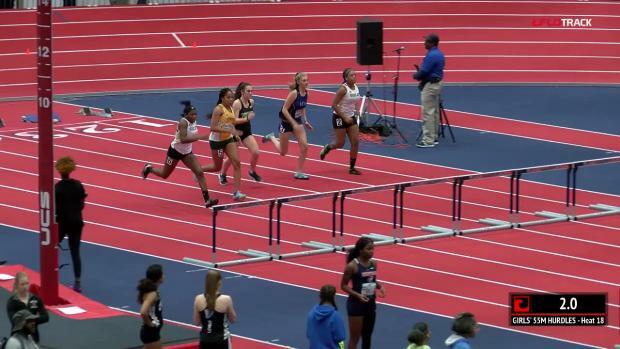 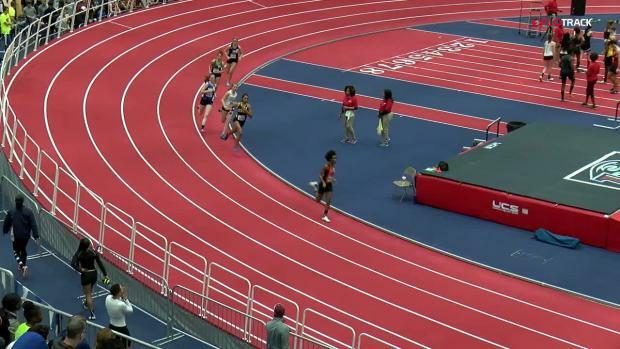 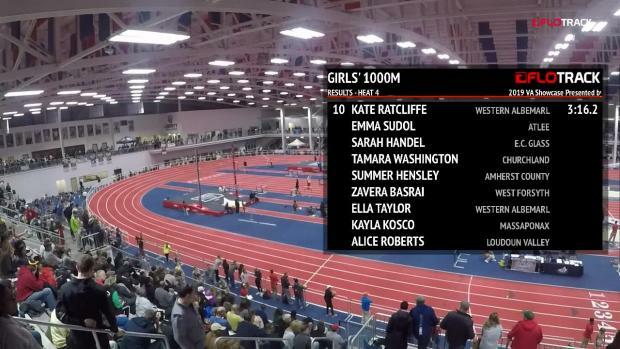 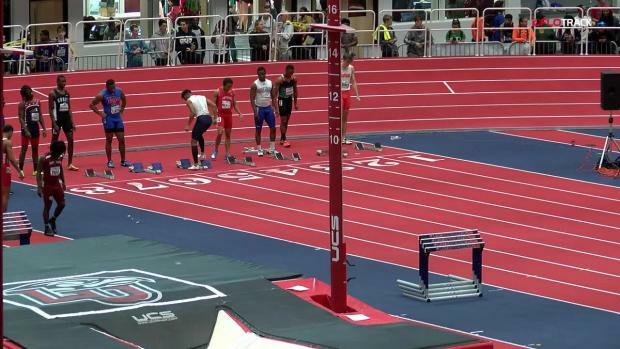 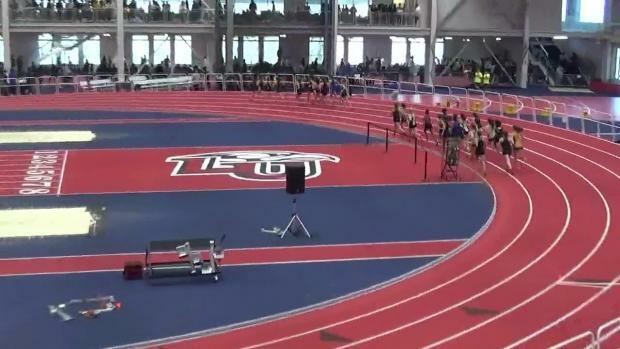 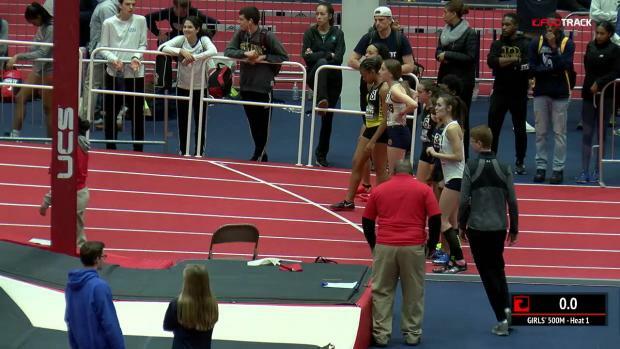 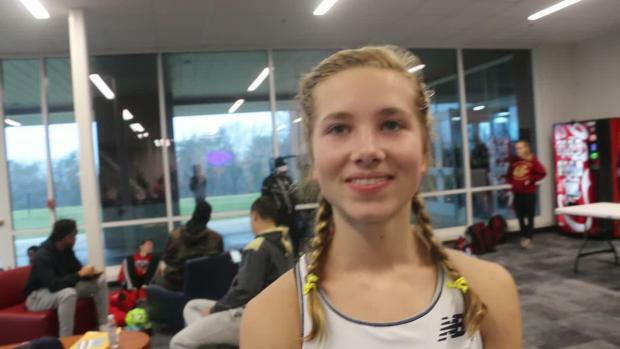 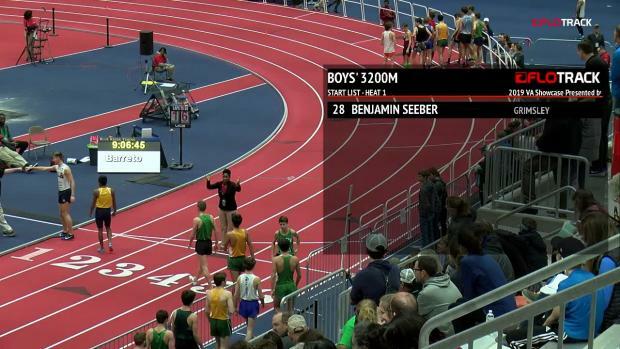 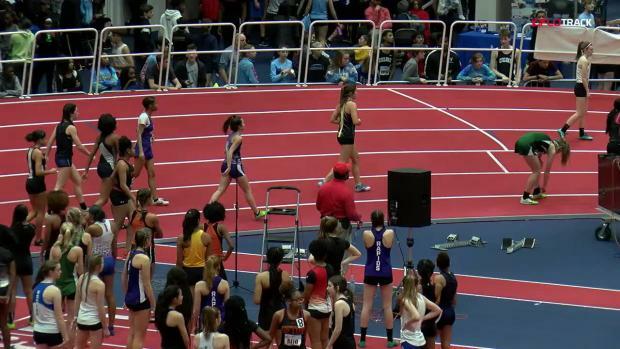 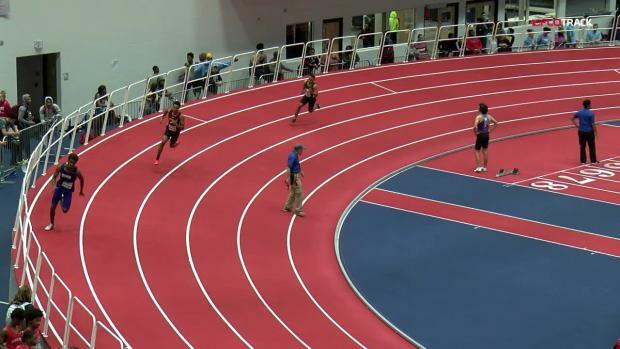 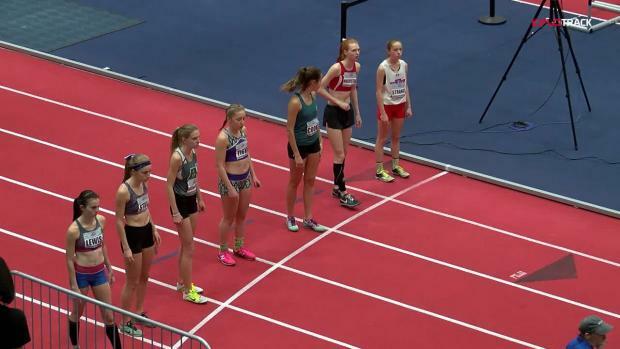 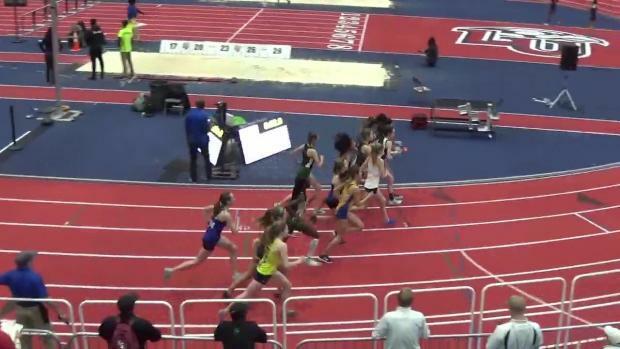 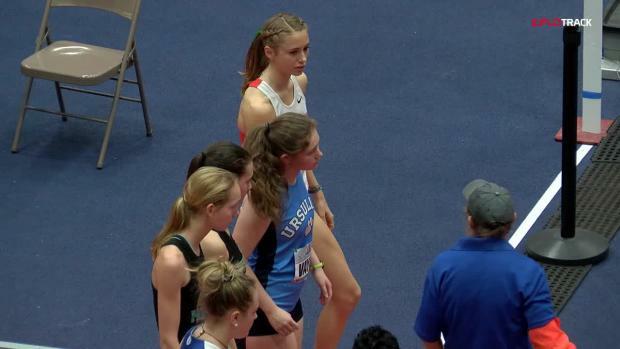 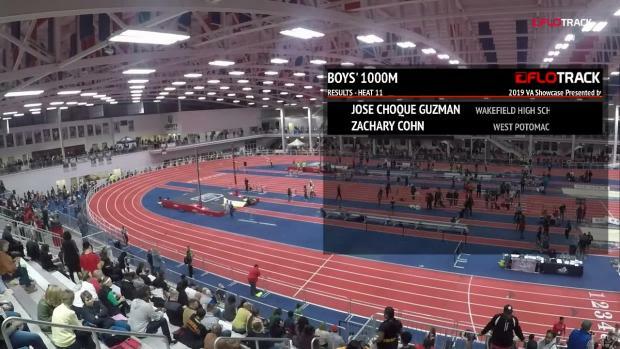 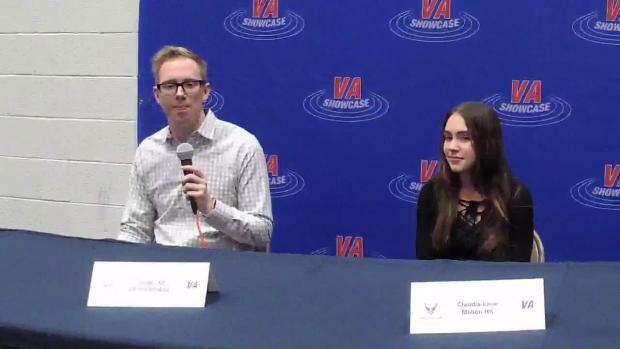 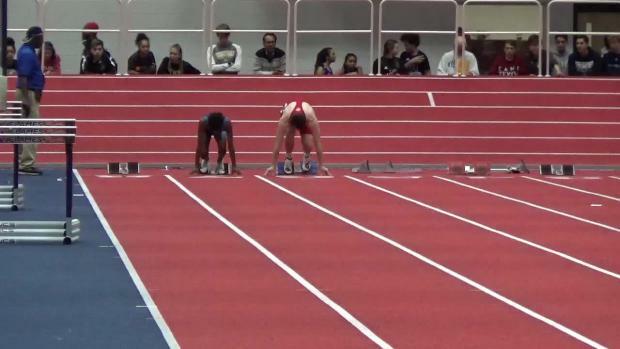 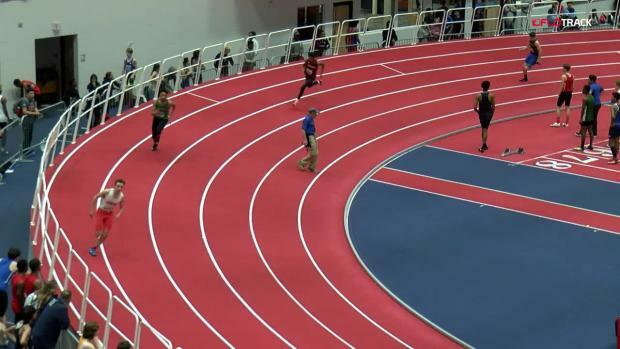 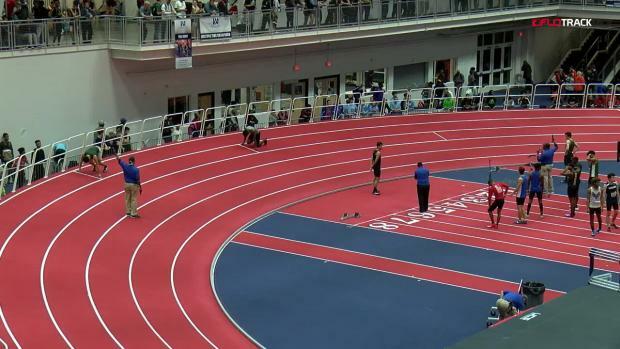 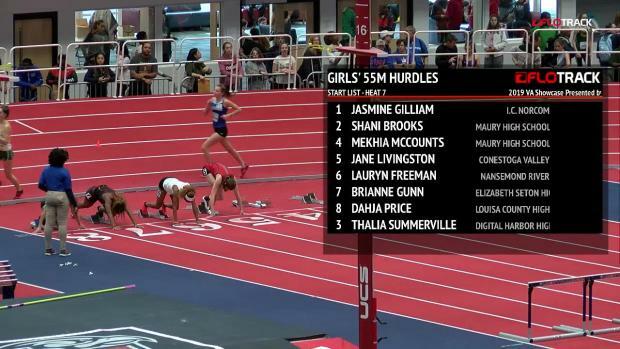 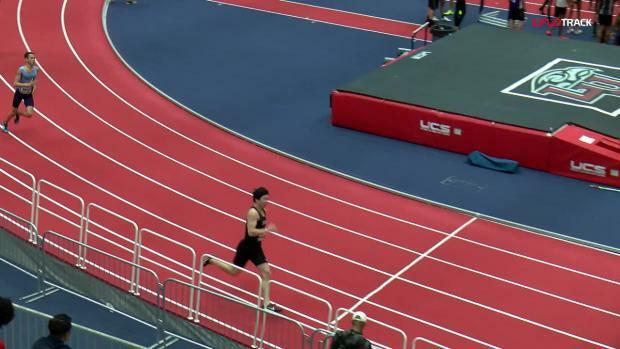 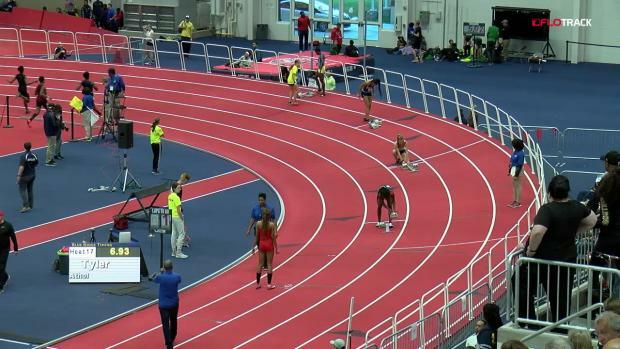 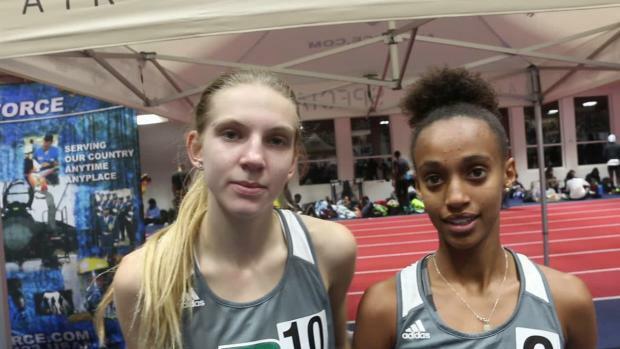 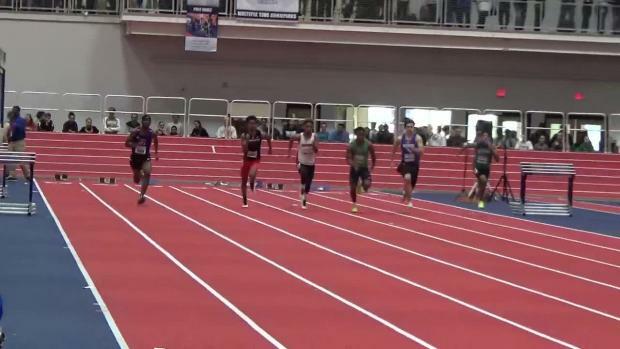 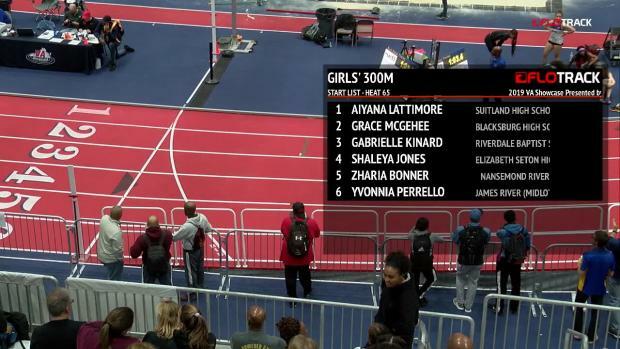 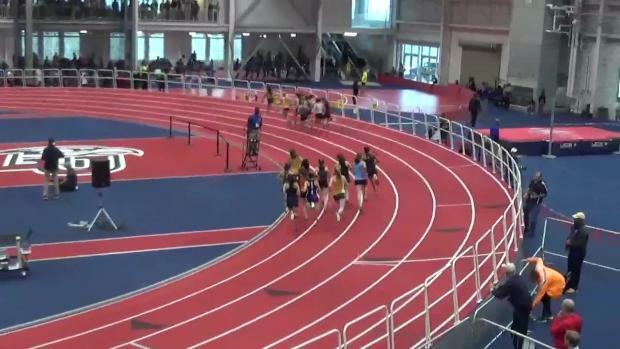 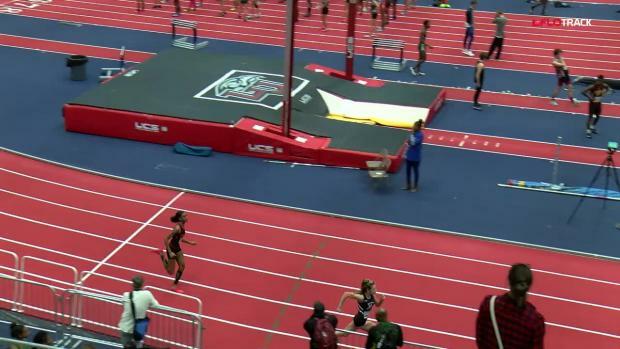 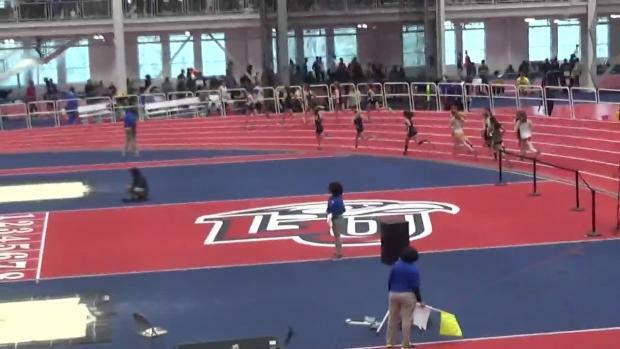 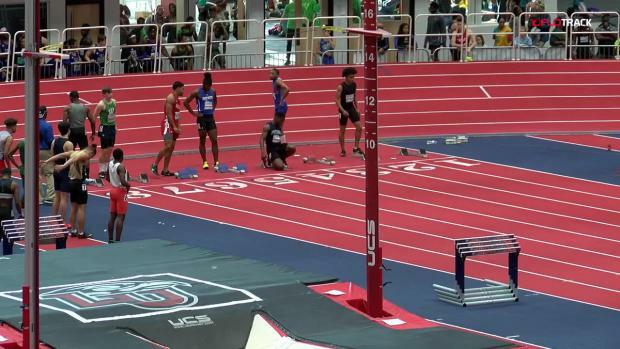 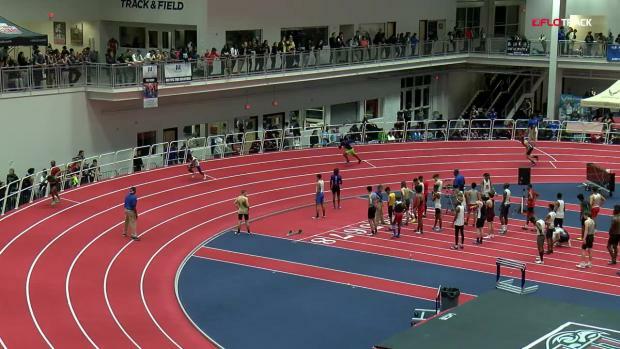 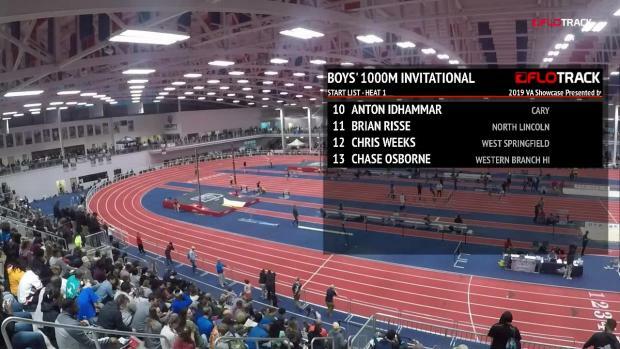 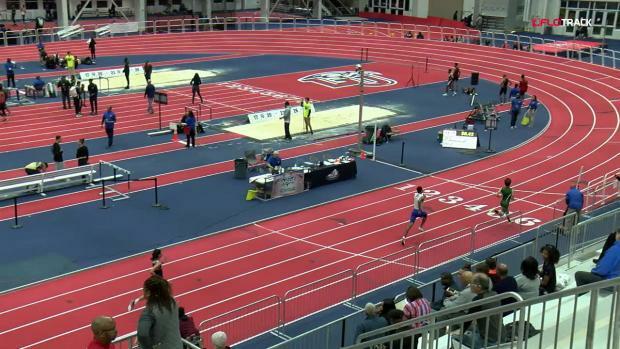 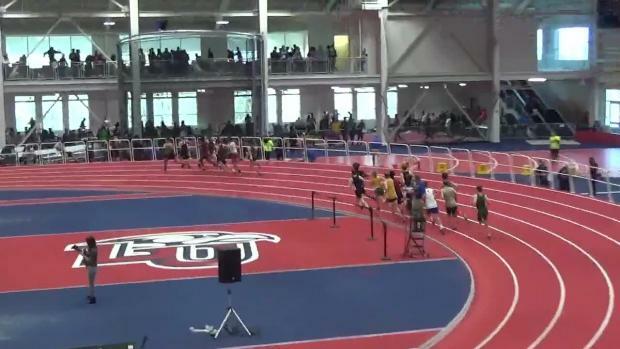 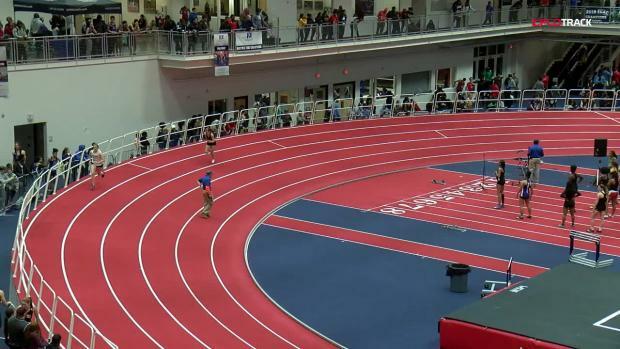 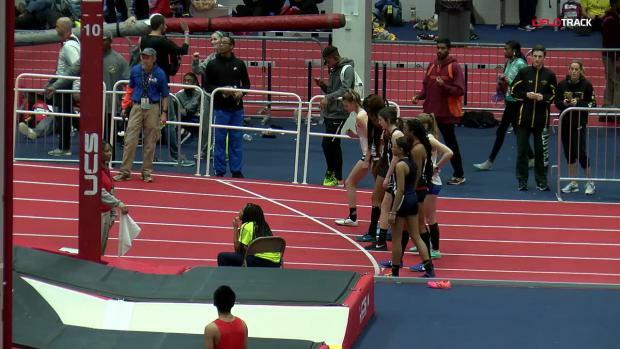 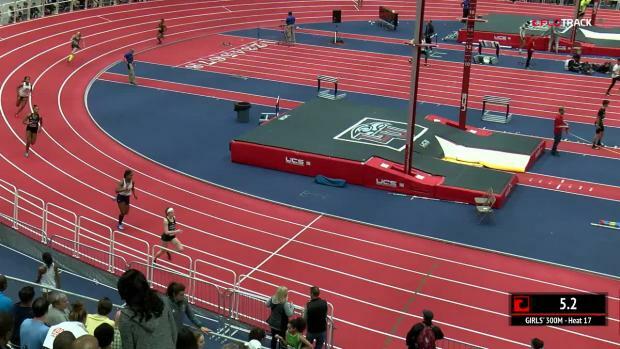 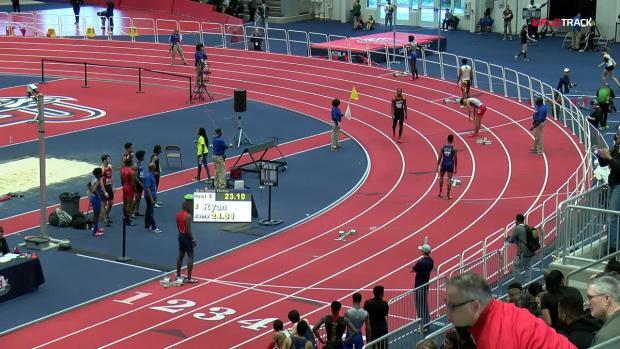 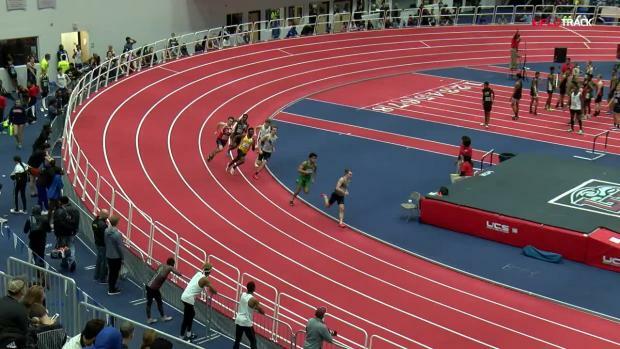 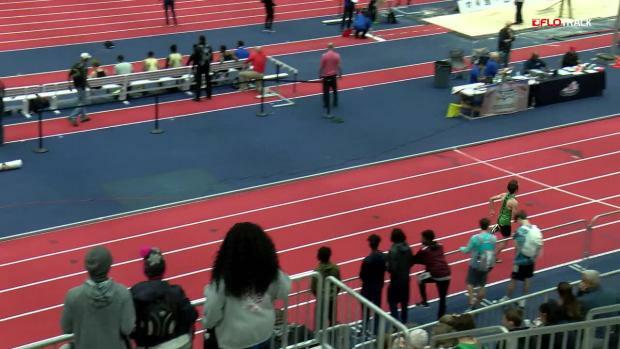 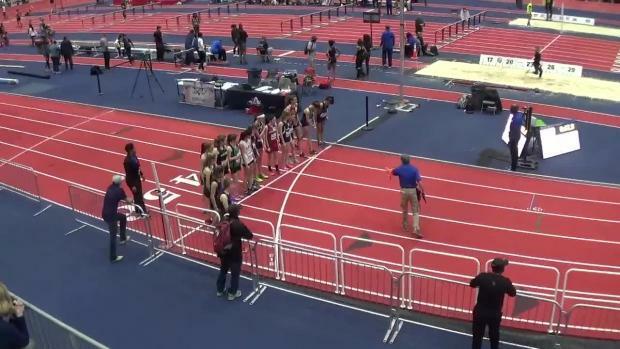 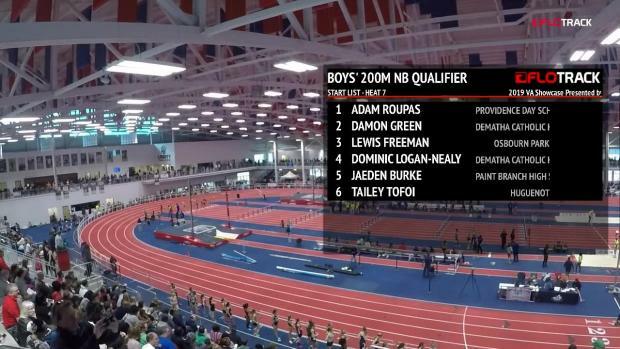 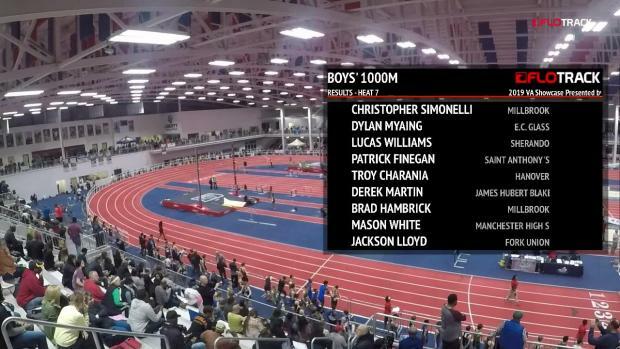 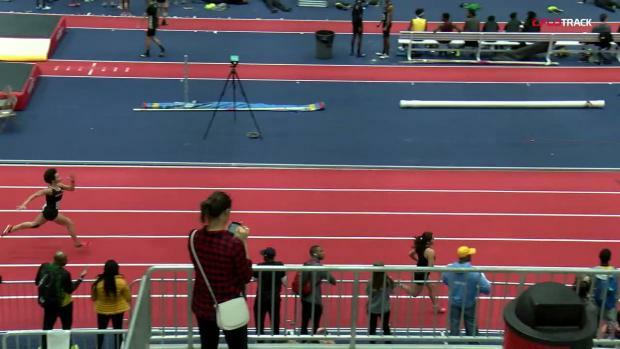 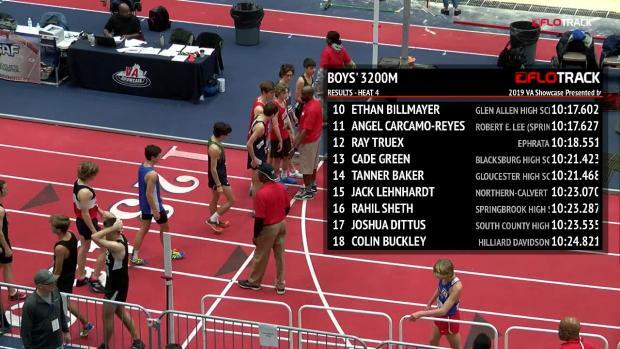 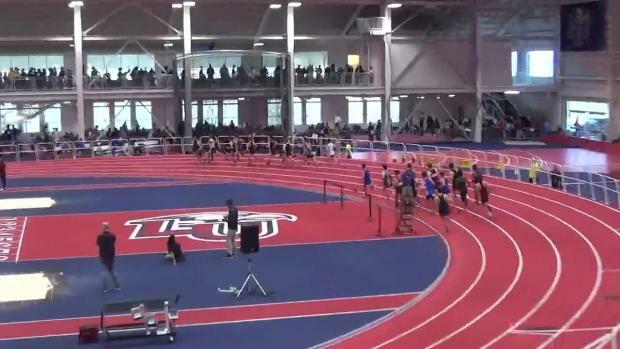 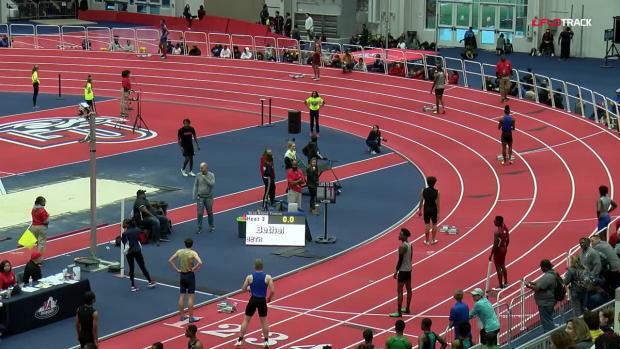 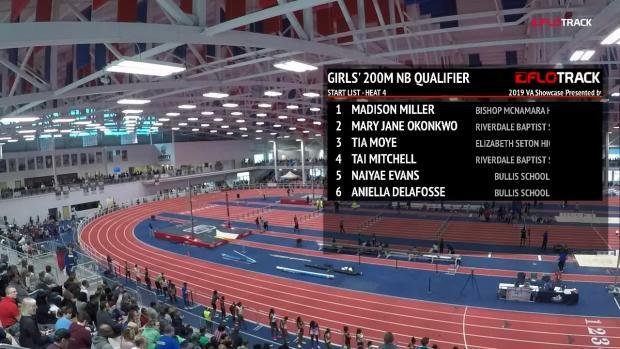 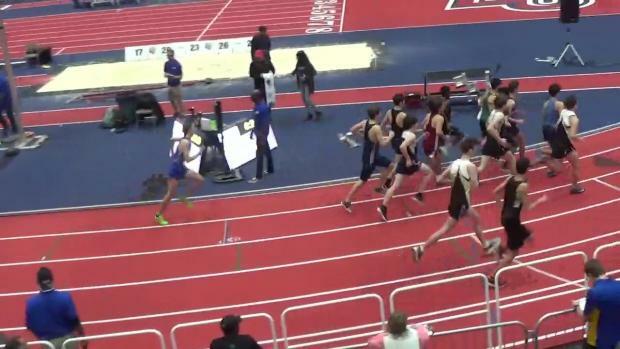 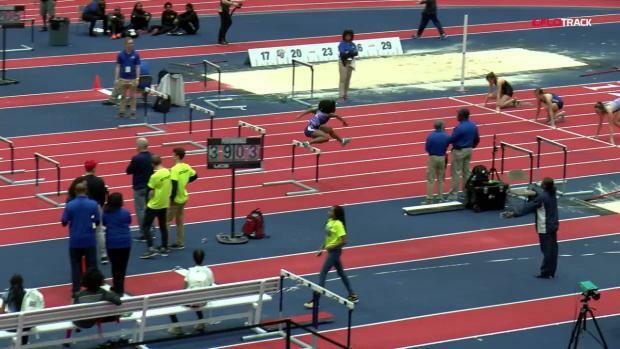 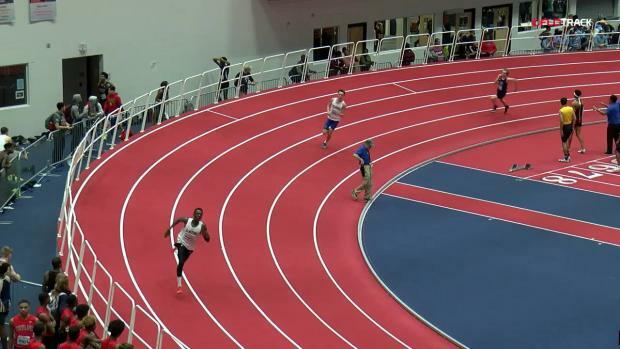 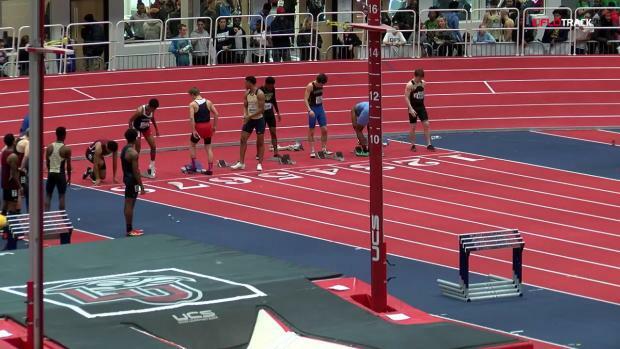 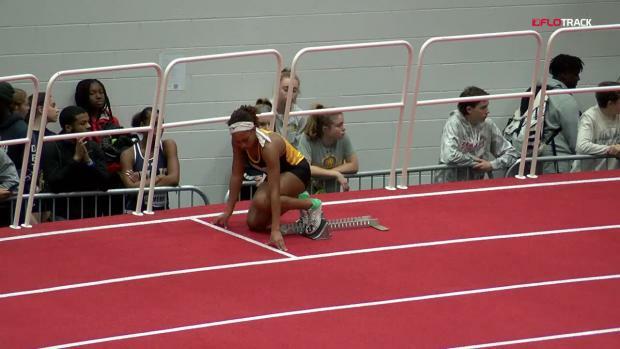 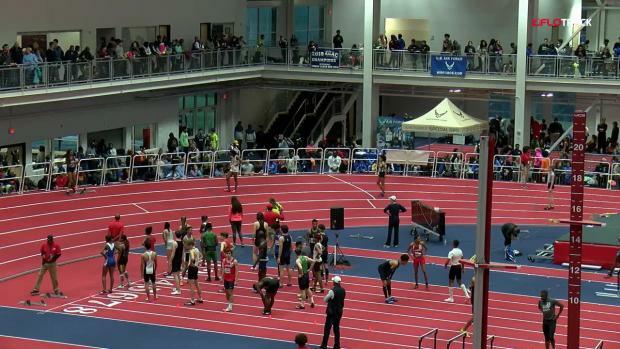 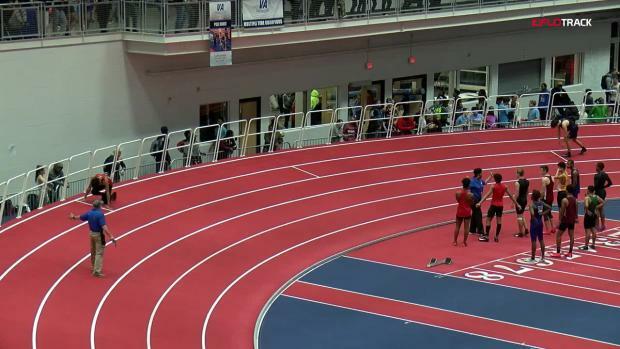 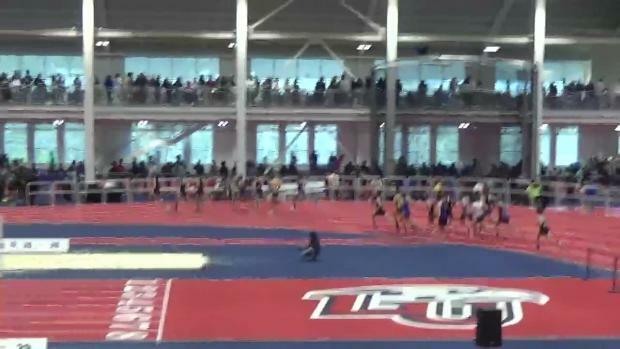 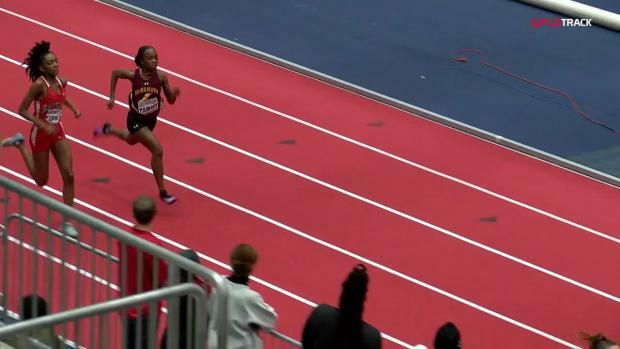 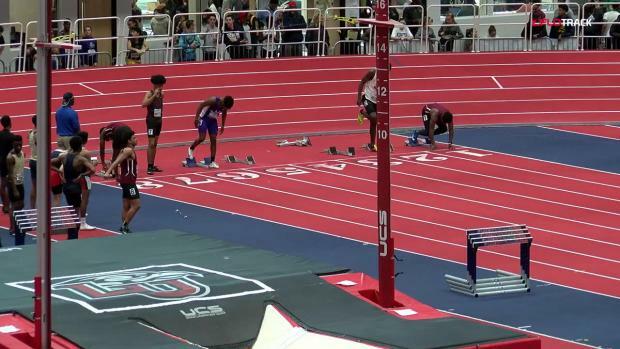 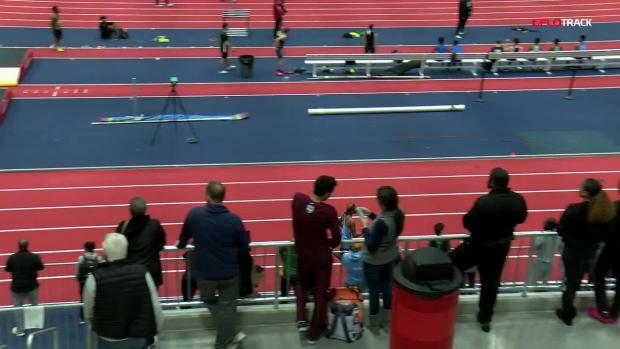 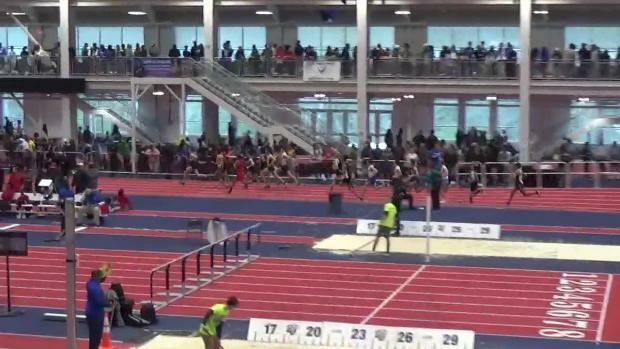 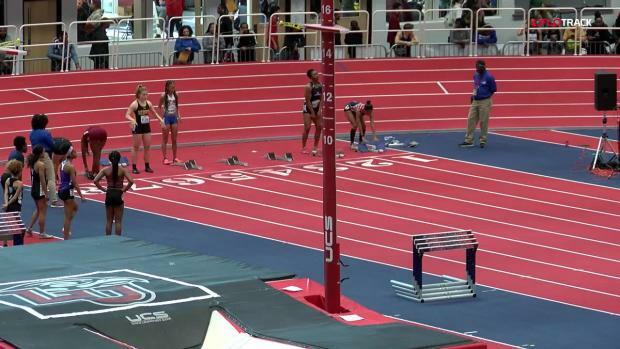 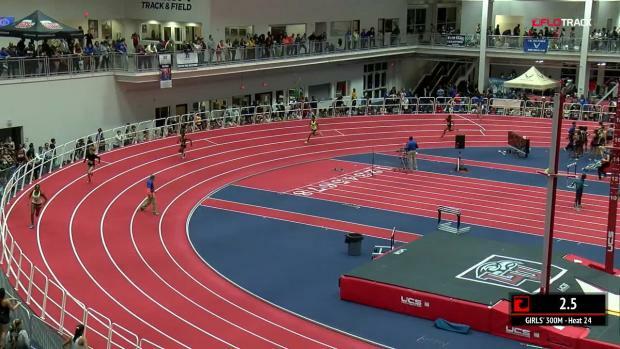 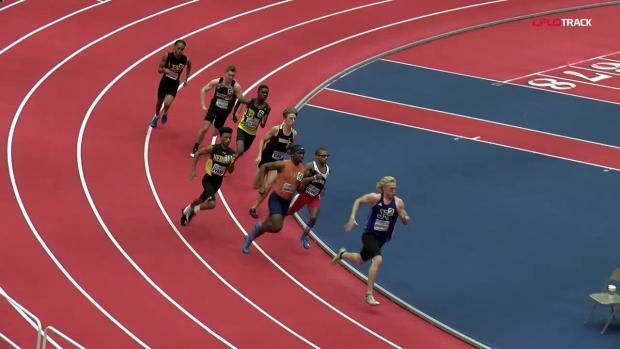 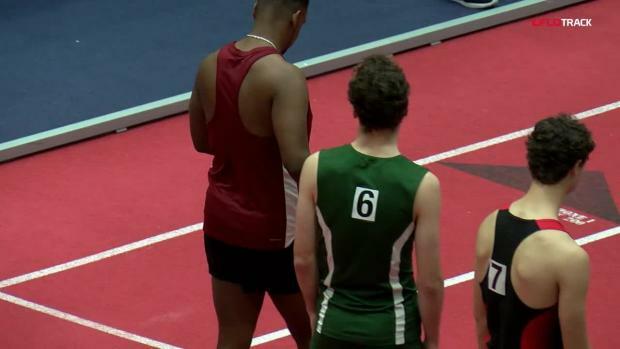 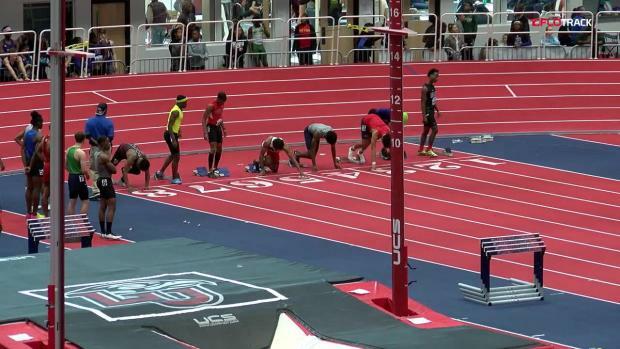 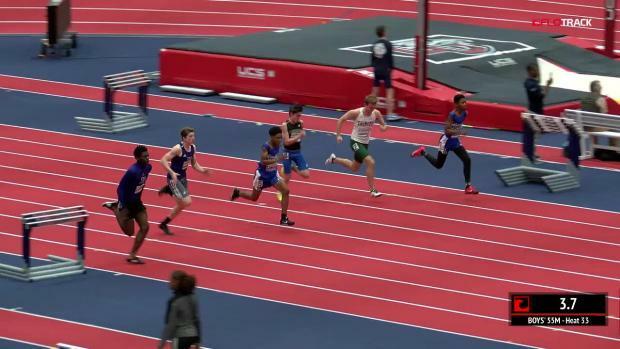 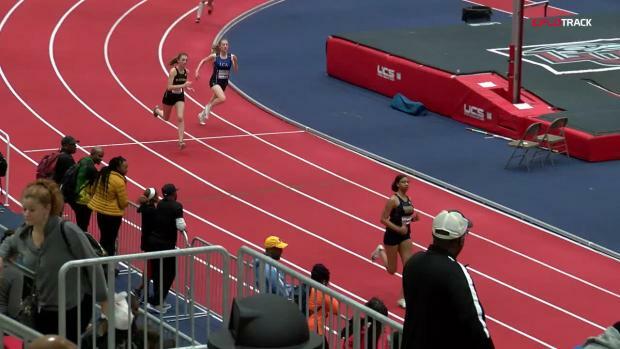 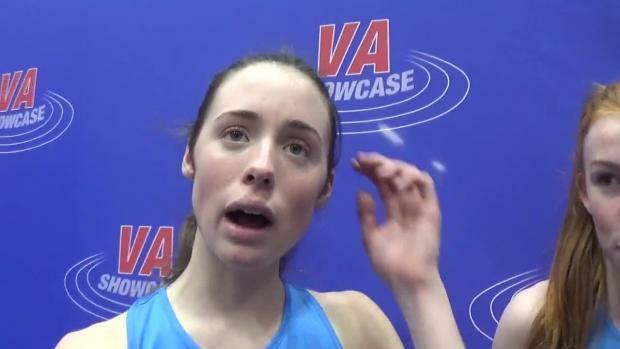 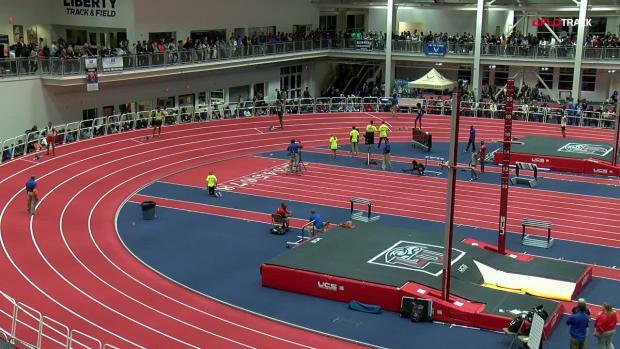 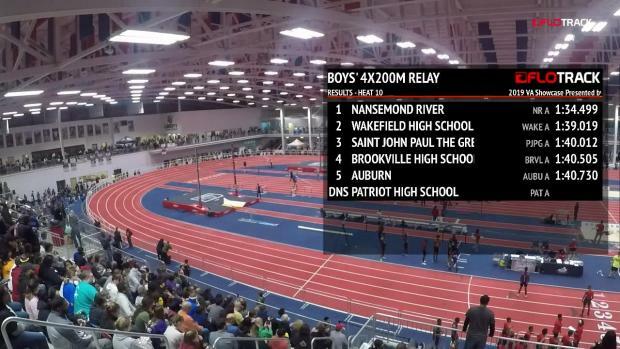 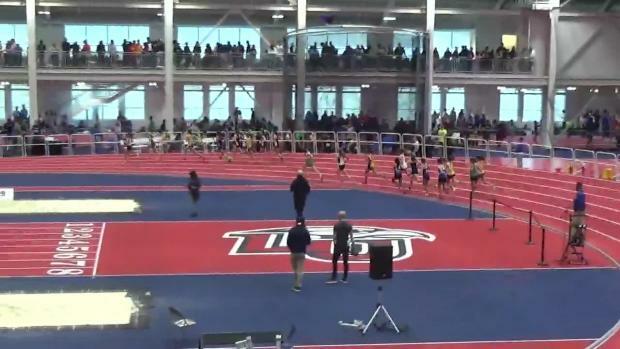 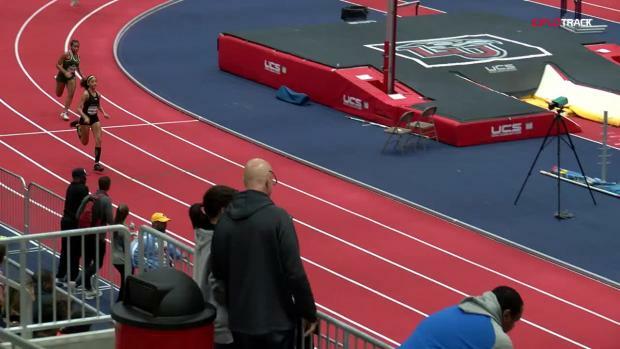 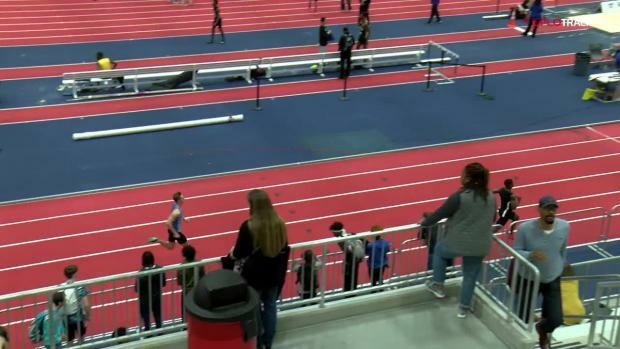 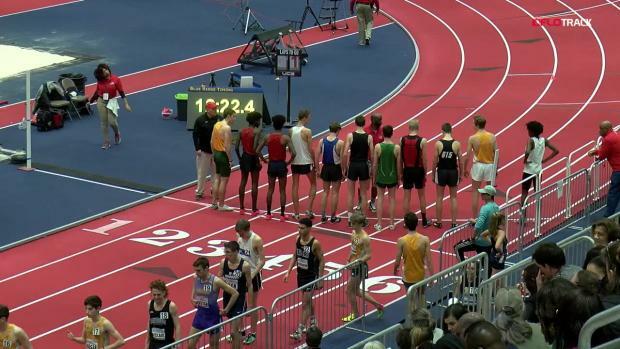 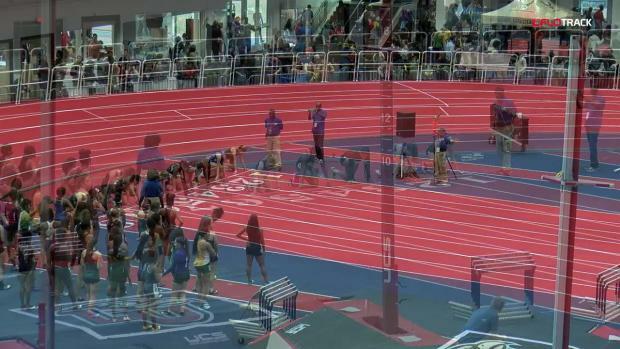 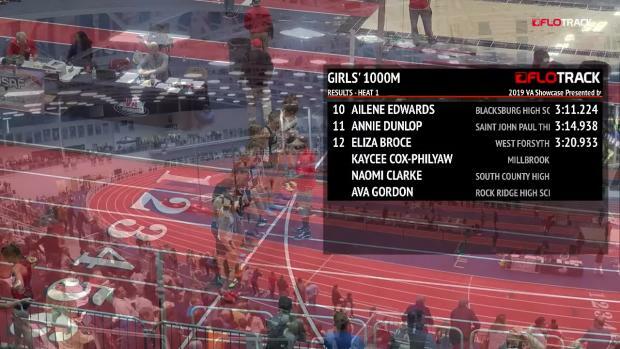 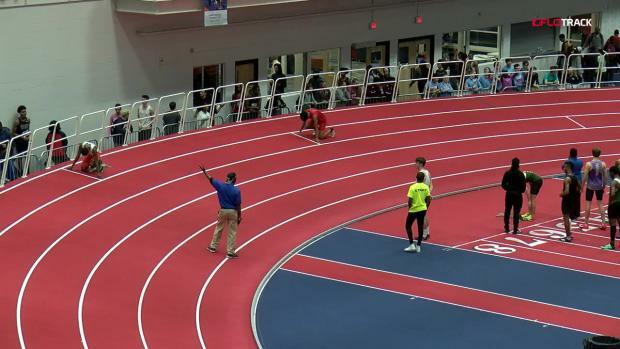 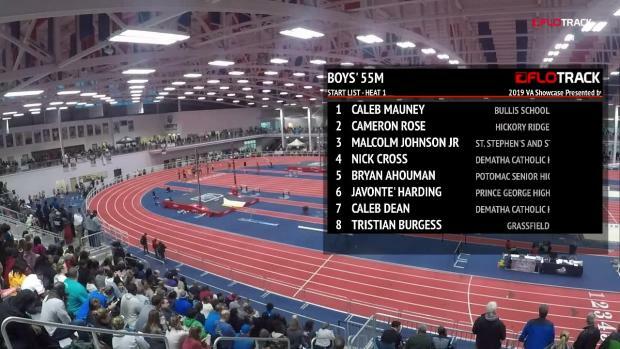 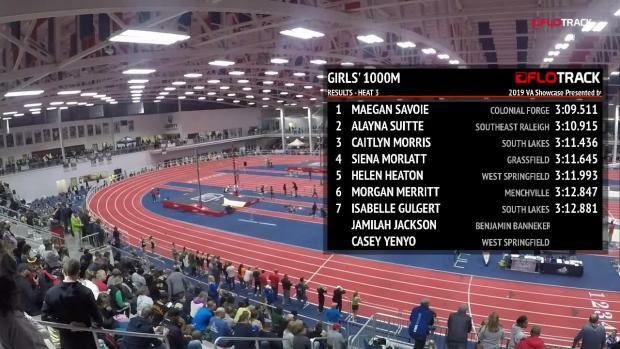 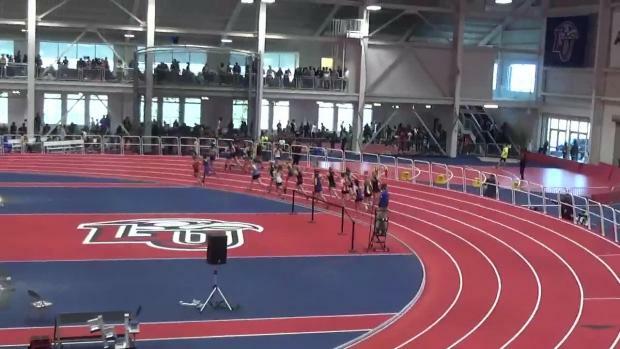 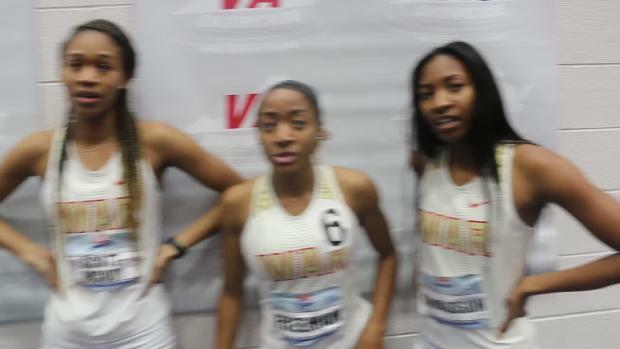 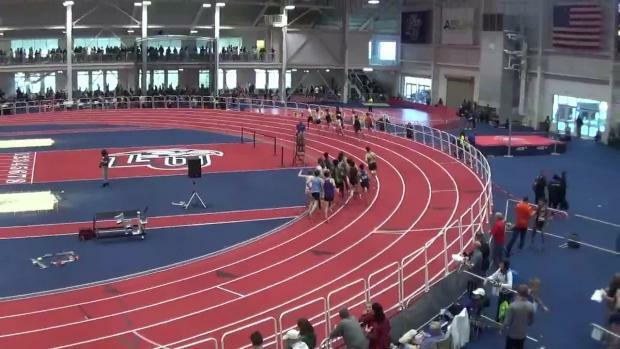 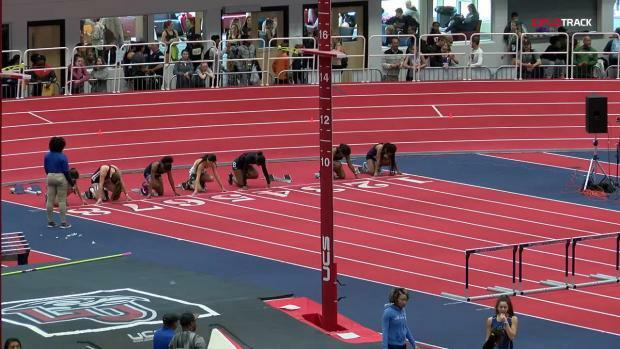 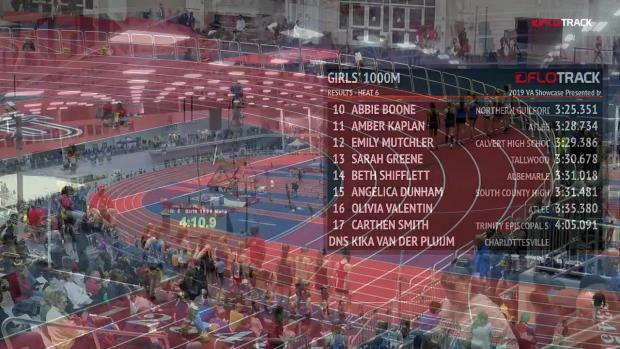 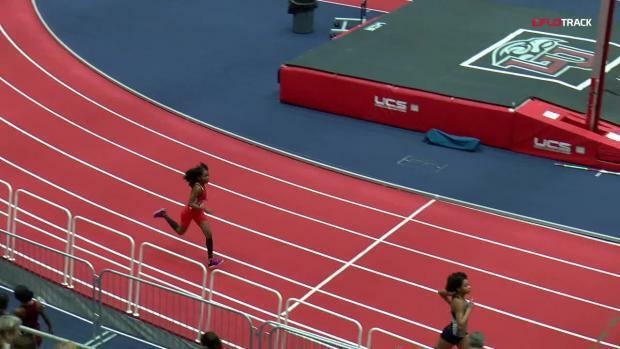 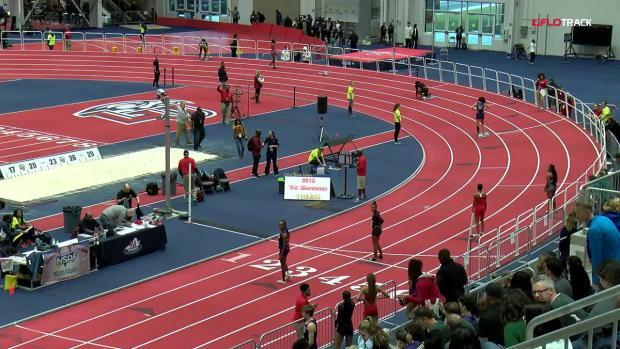 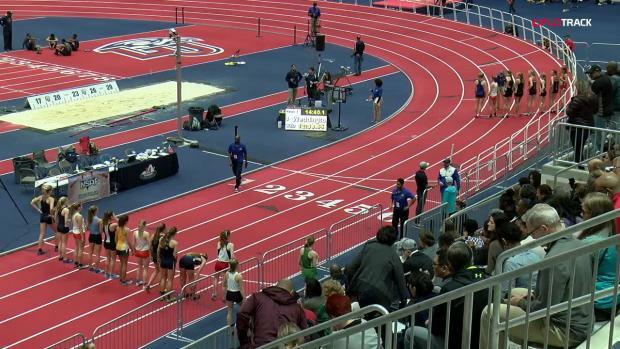 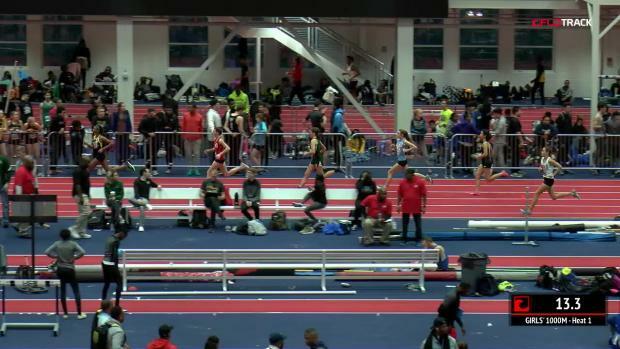 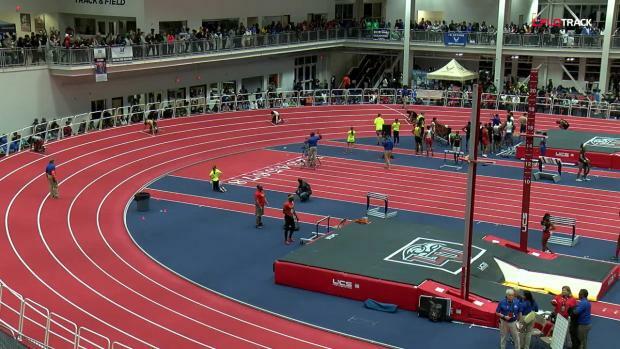 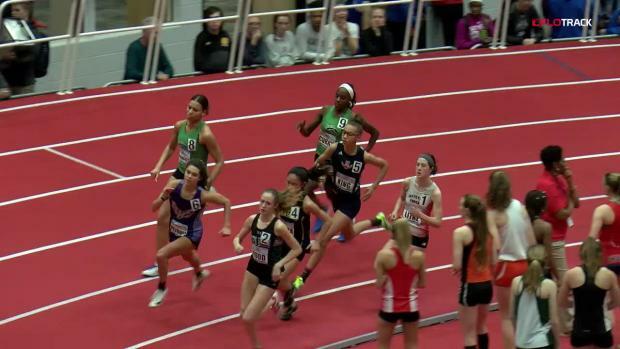 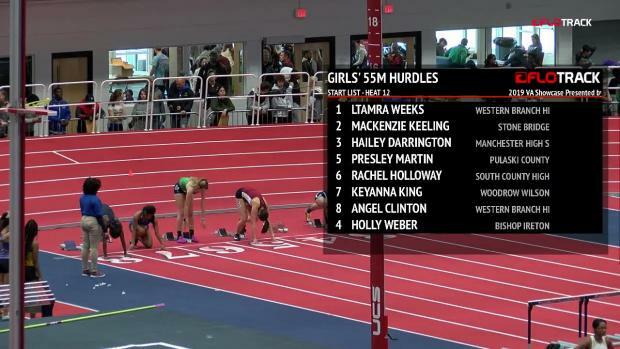 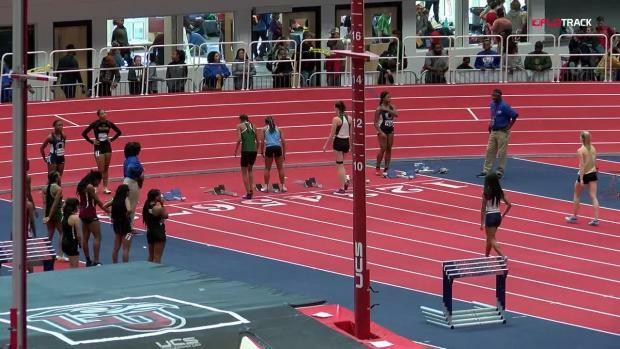 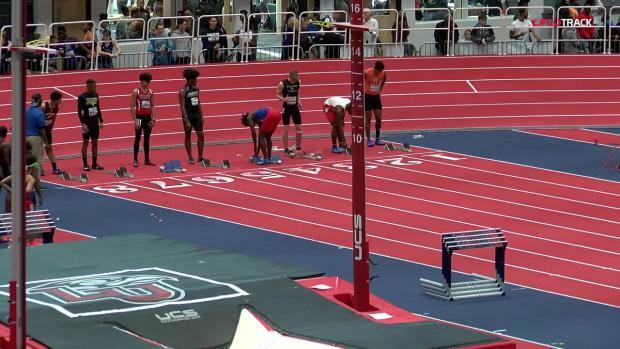 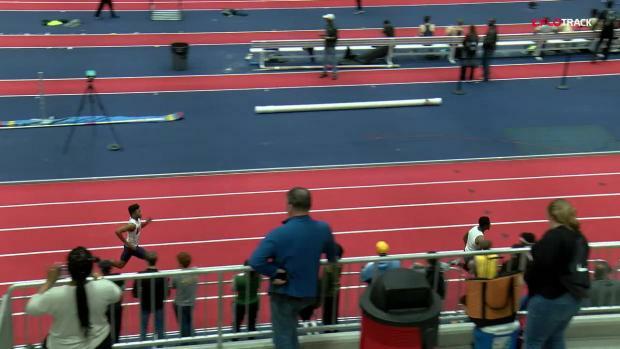 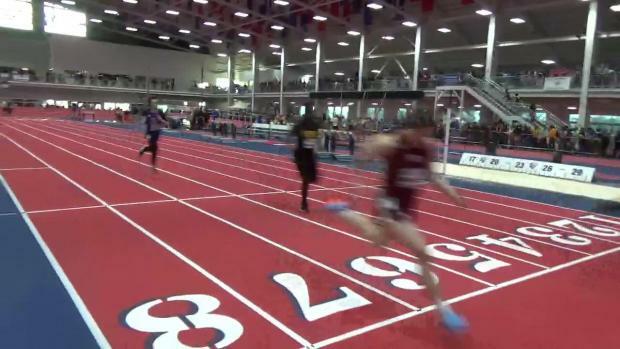 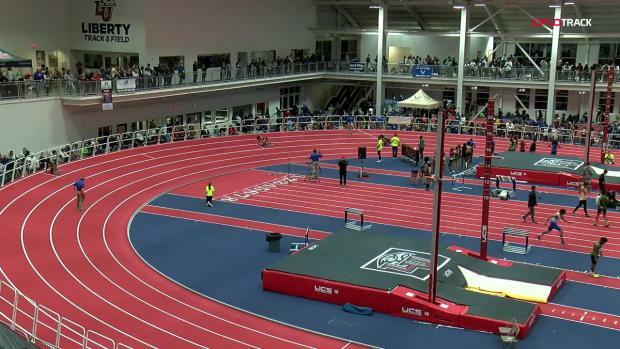 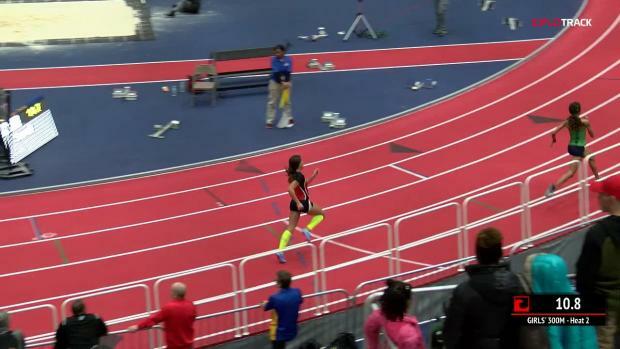 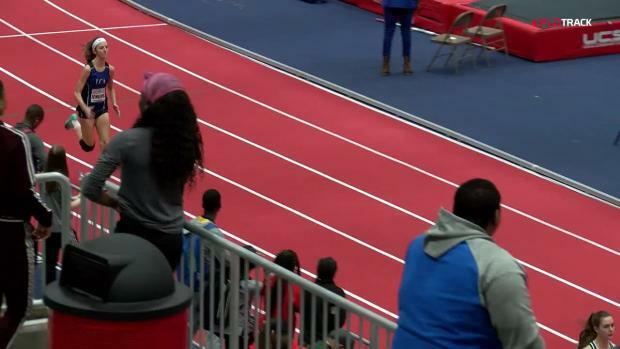 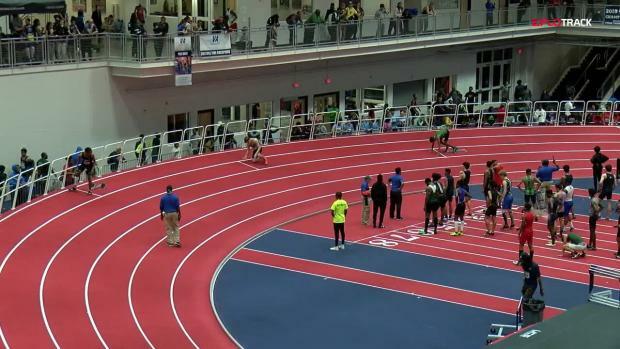 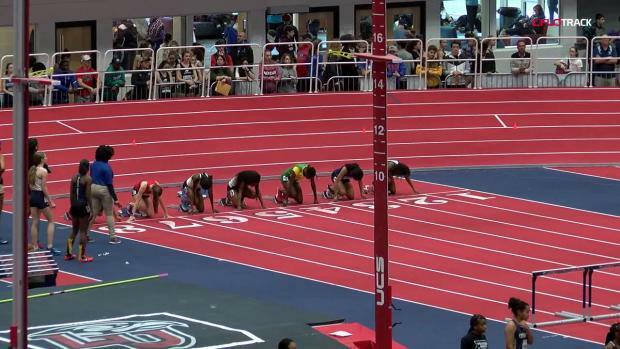 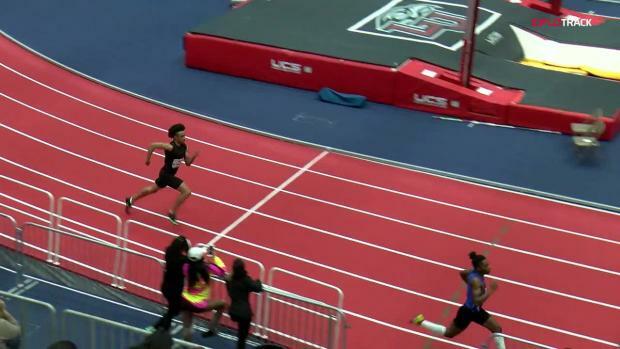 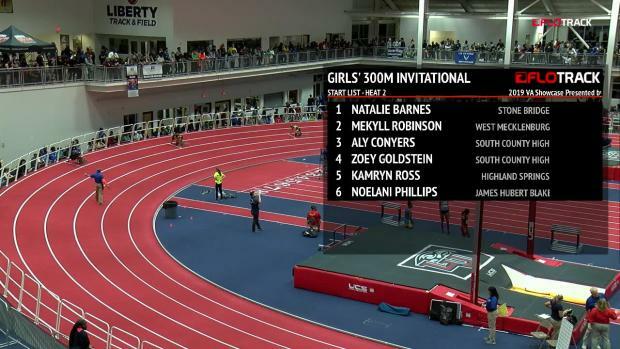 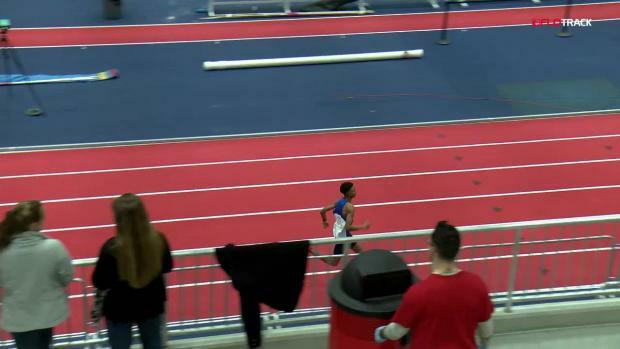 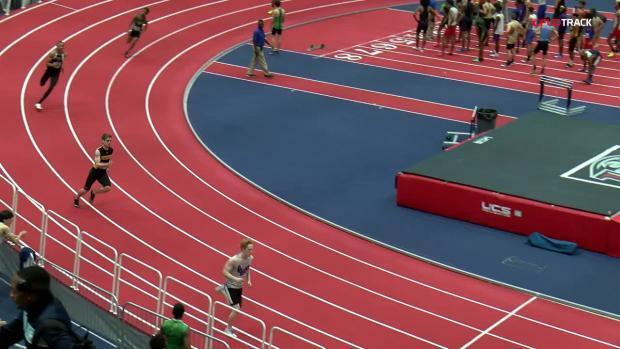 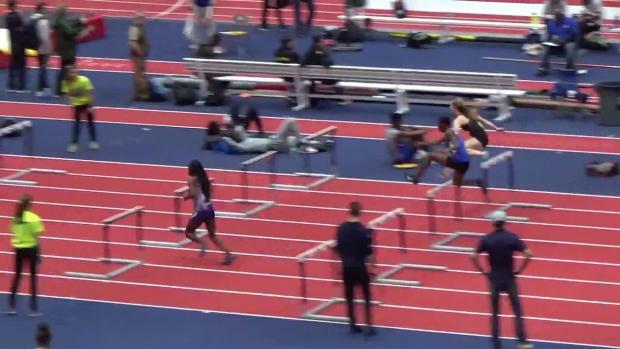 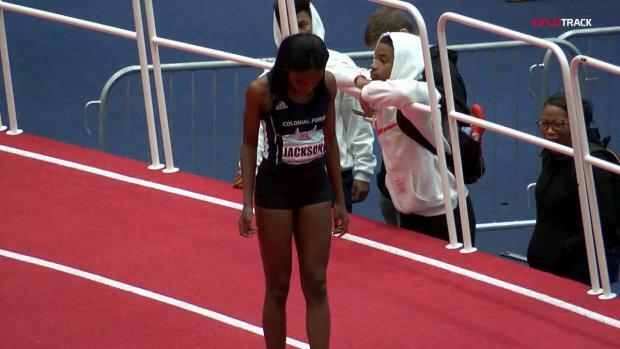 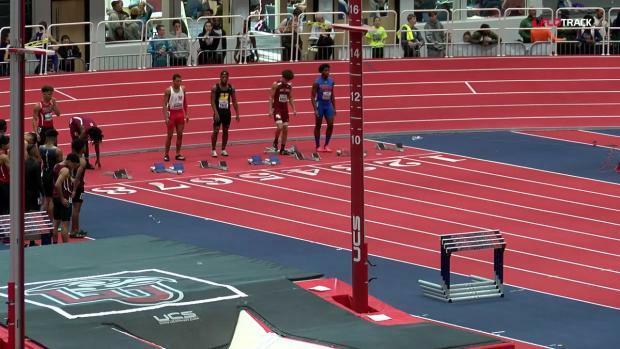 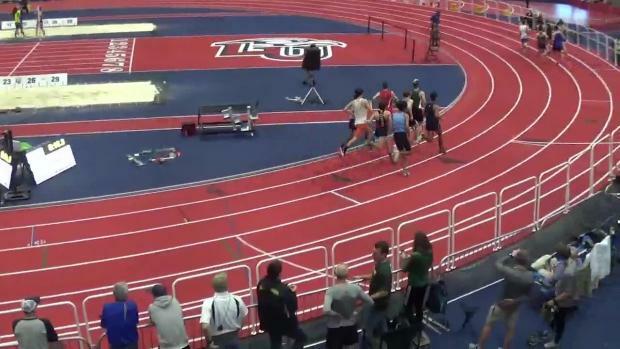 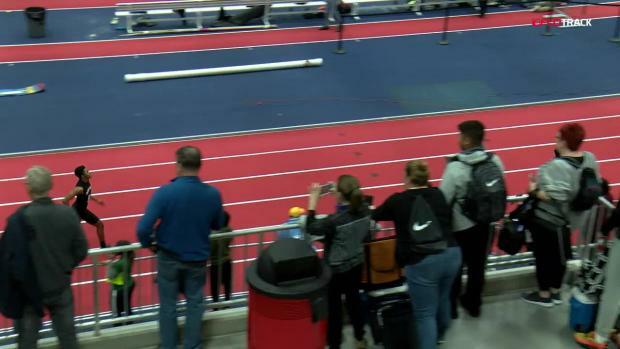 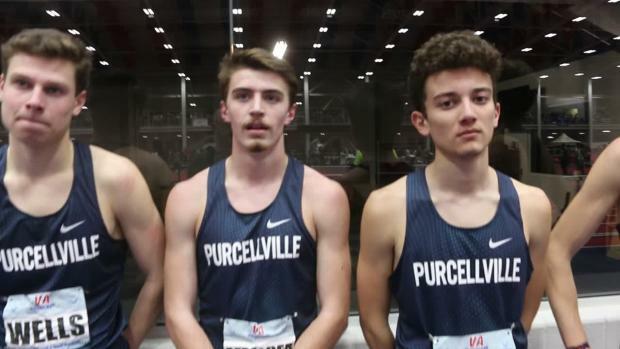 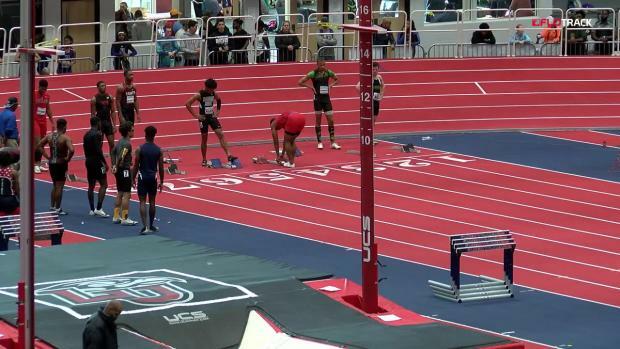 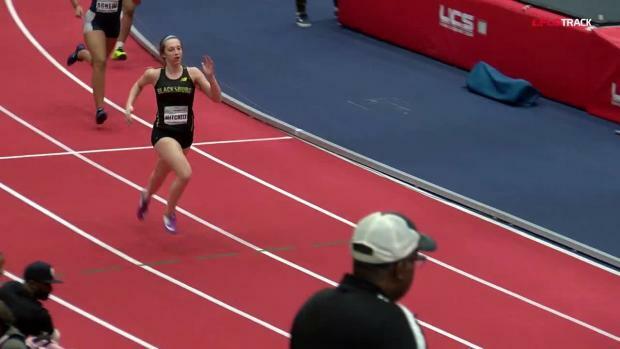 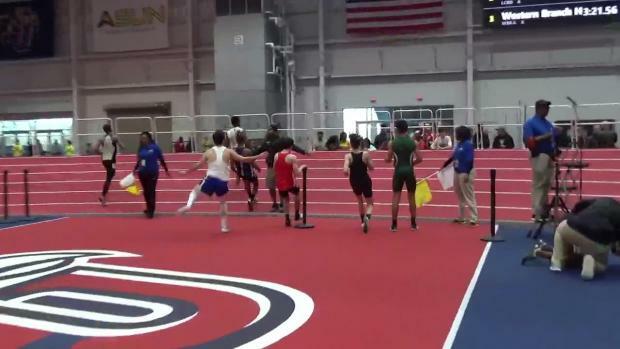 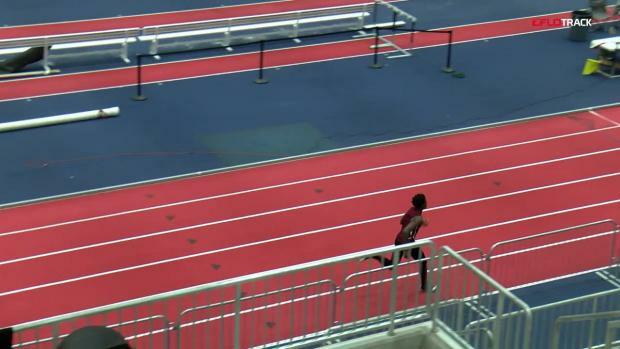 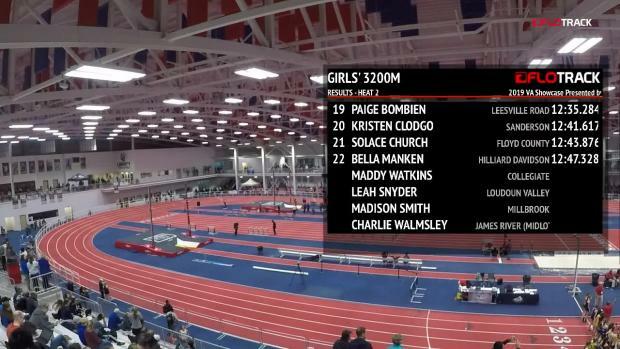 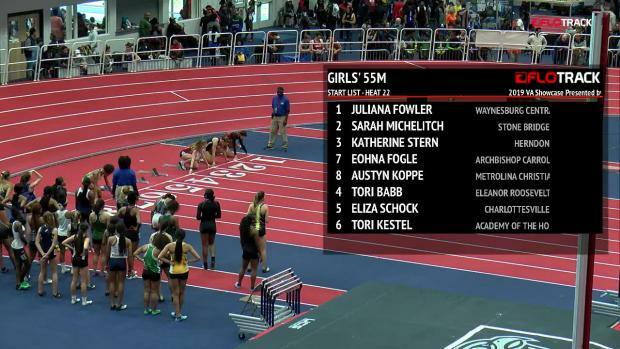 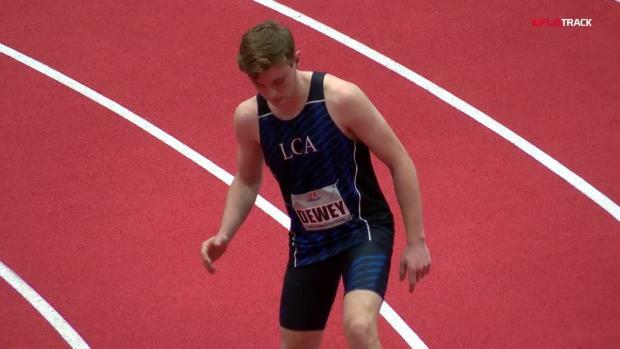 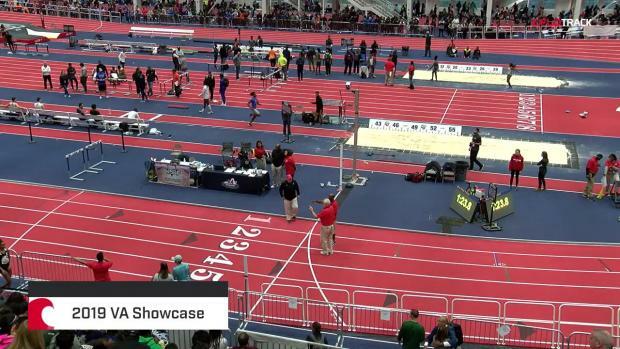 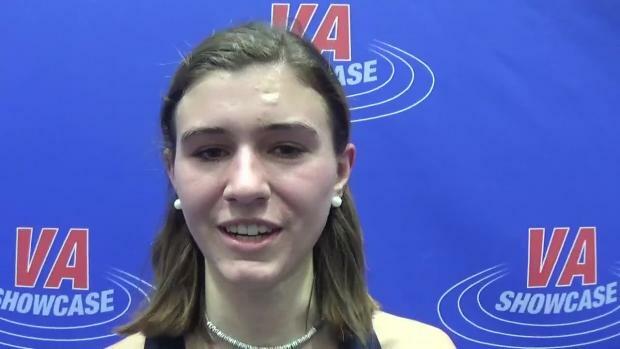 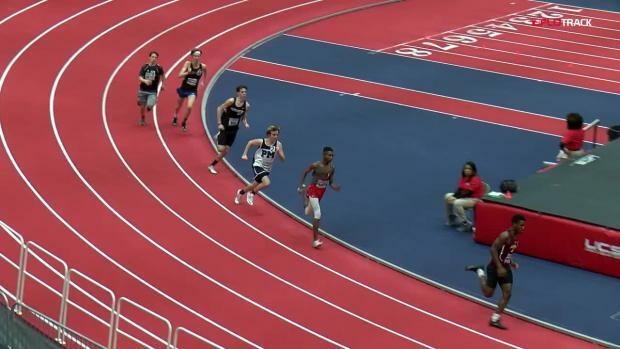 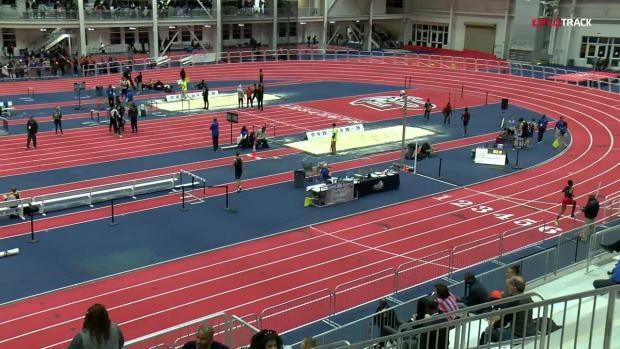 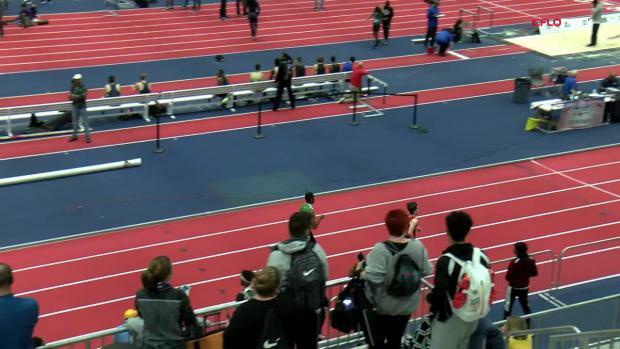 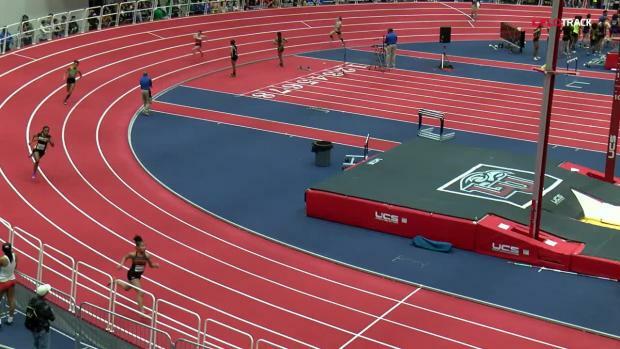 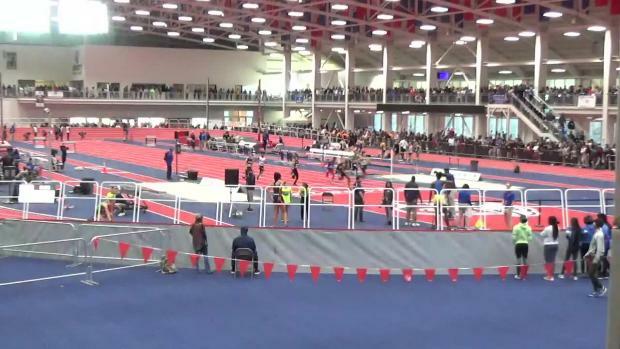 Watch all of the archived race videos from the 2019 VA Showcase. 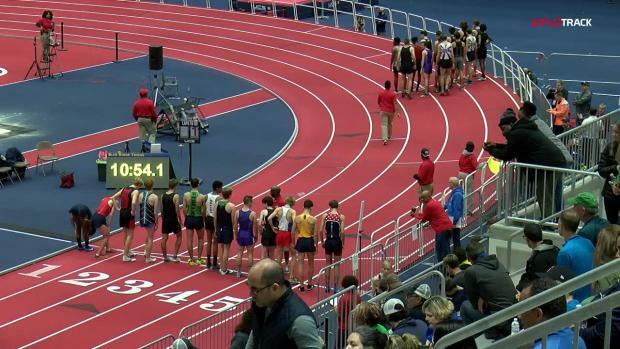 Thousands and thousands of photos by Lisa McArthur and Mary Ann Magnant. 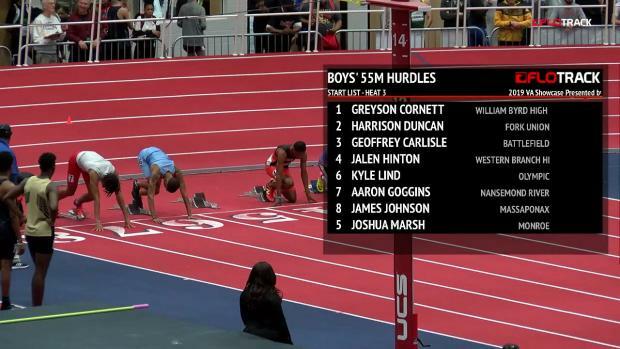 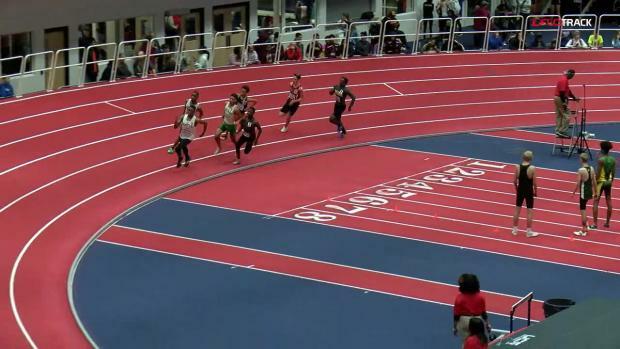 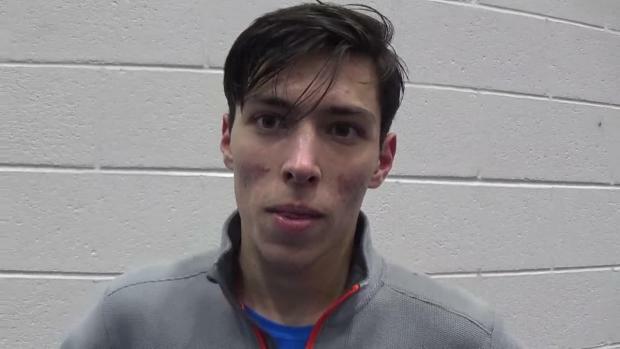 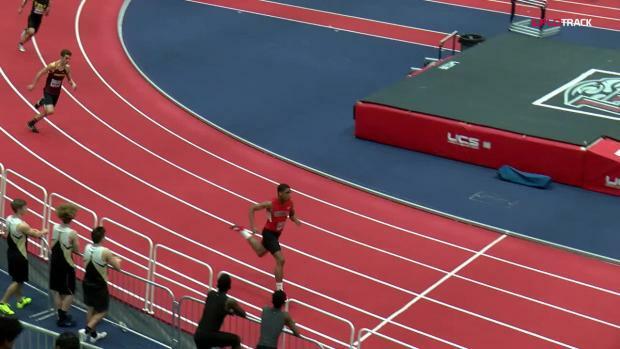 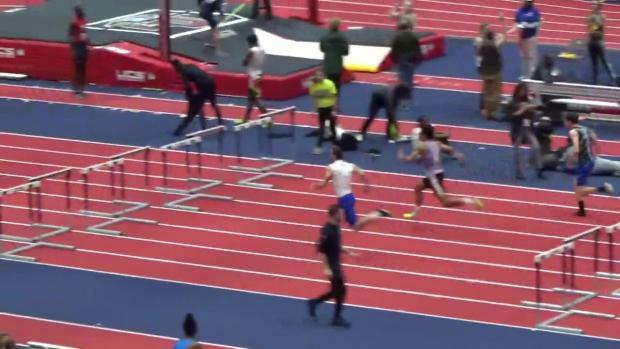 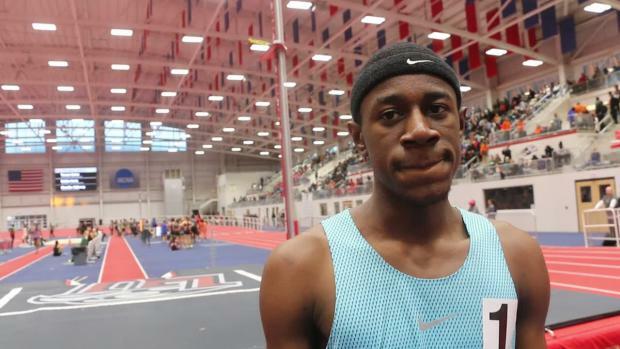 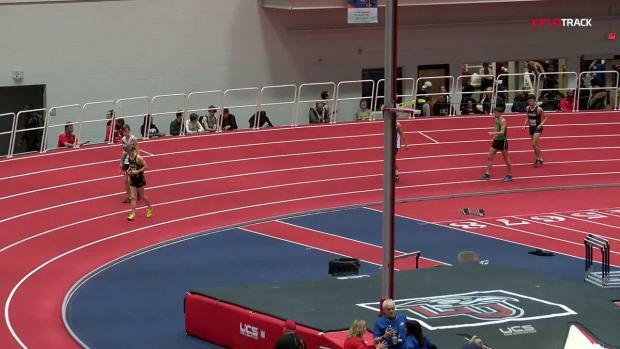 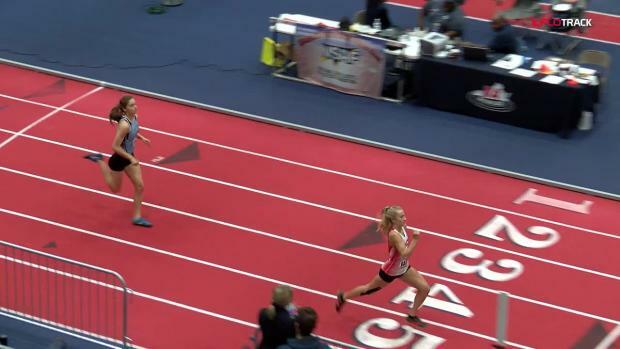 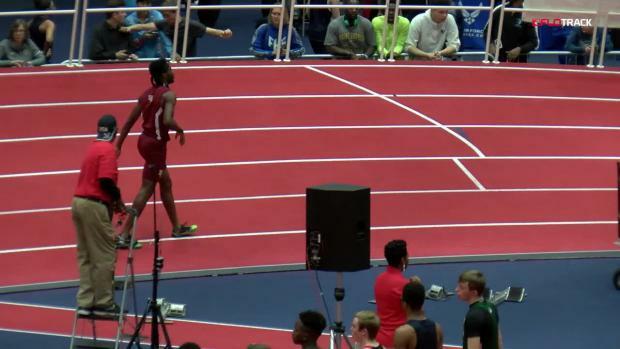 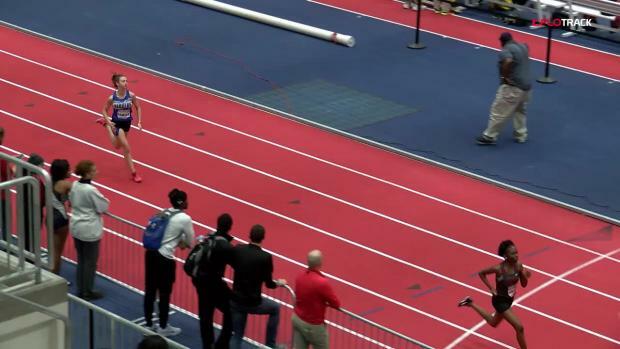 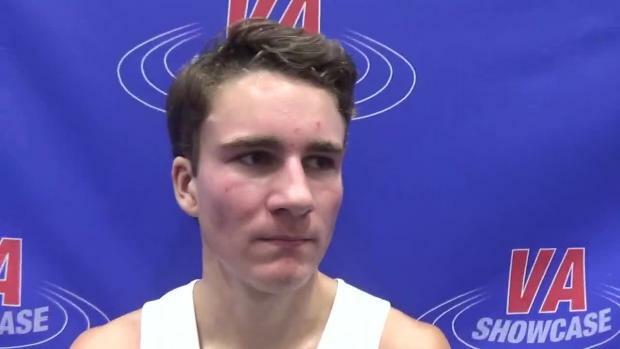 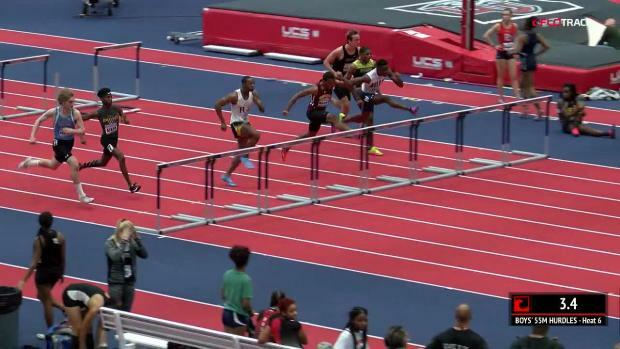 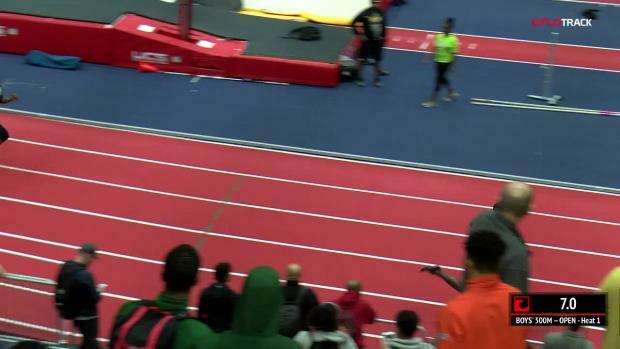 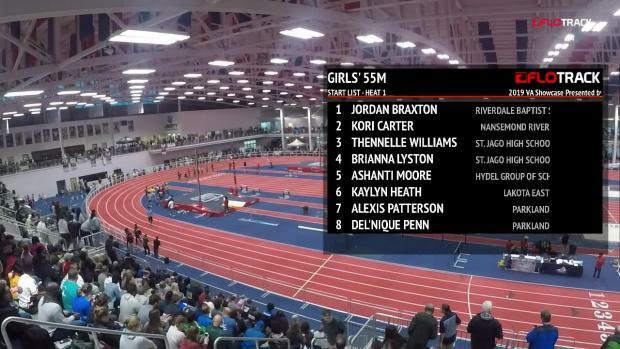 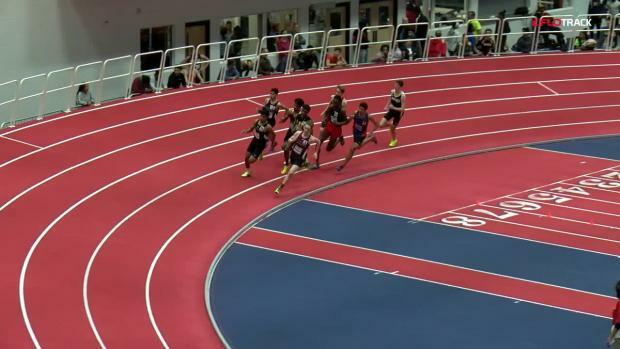 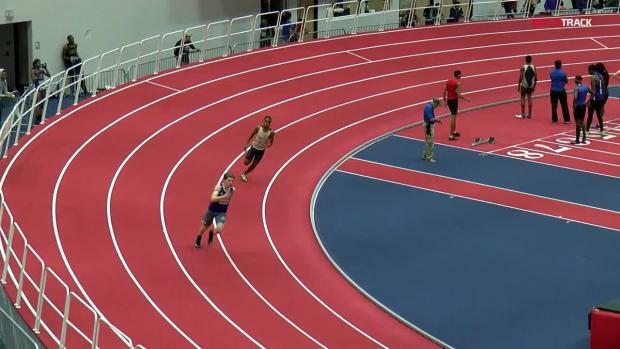 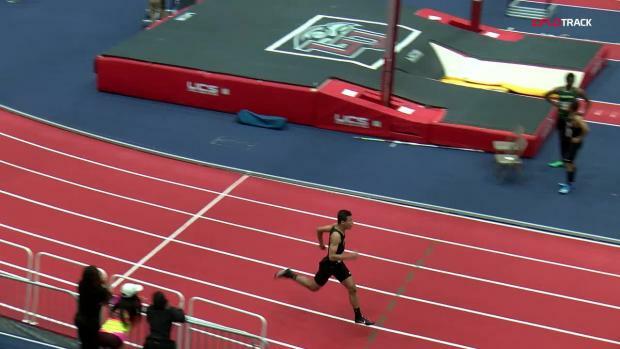 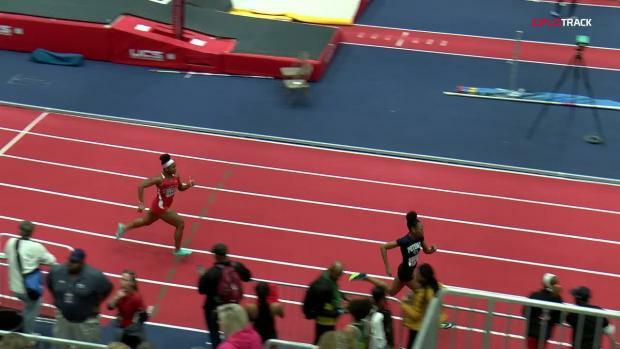 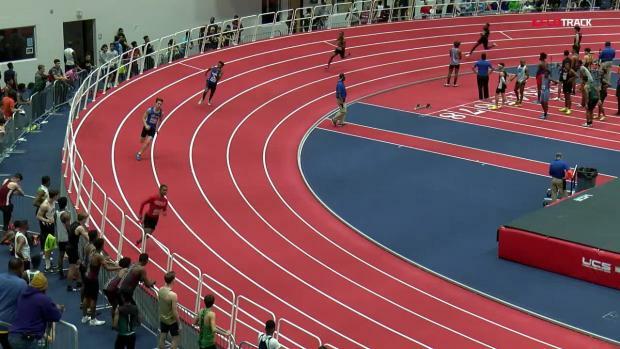 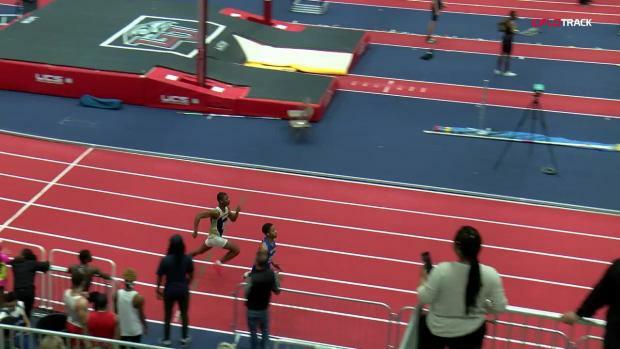 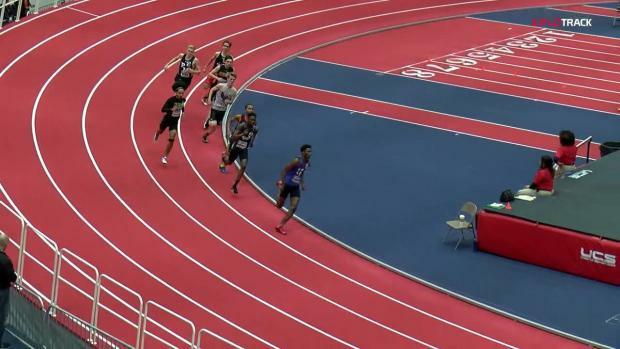 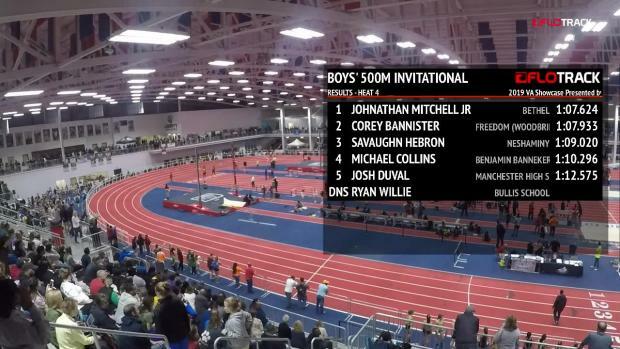 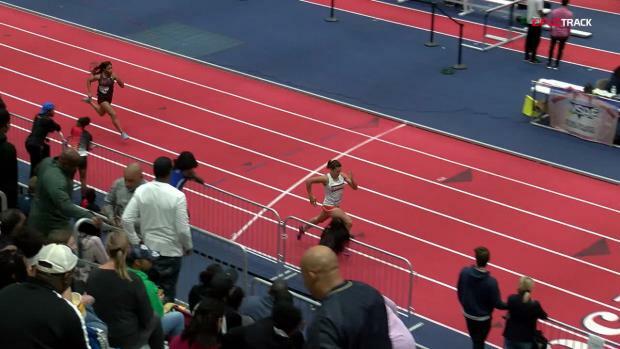 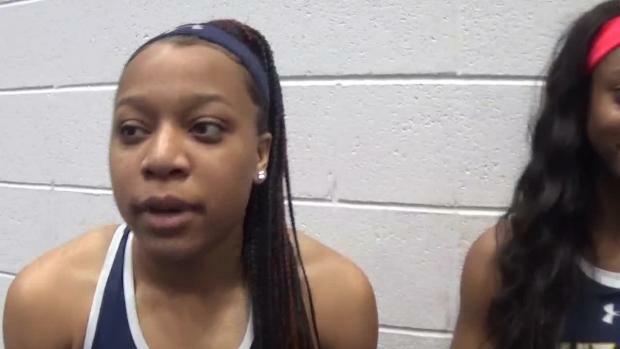 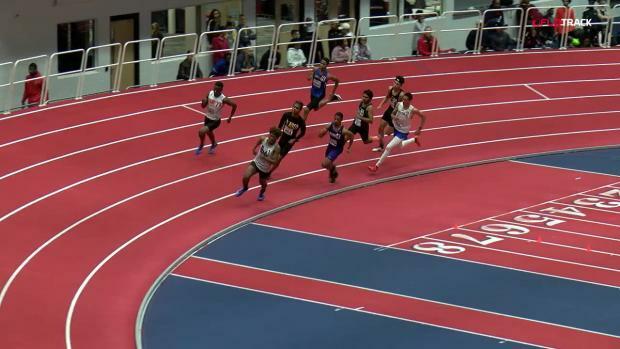 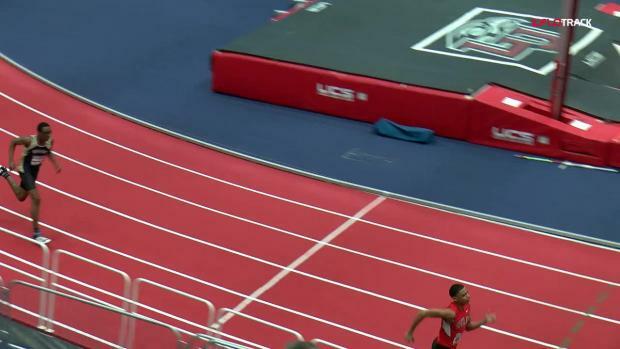 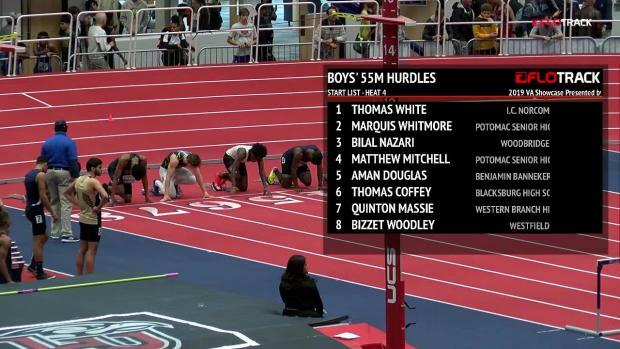 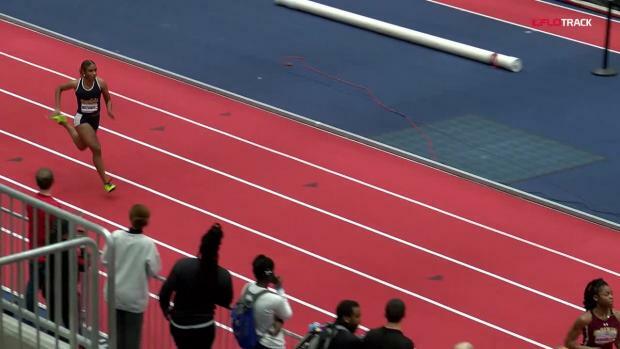 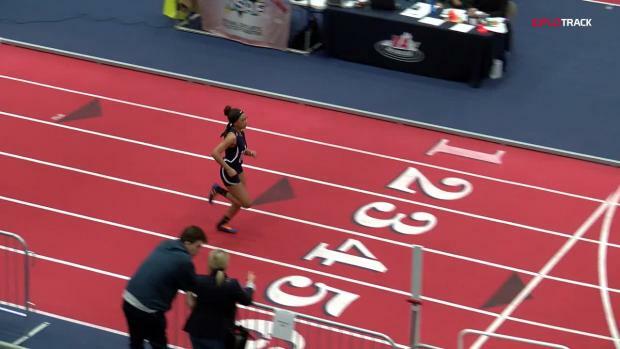 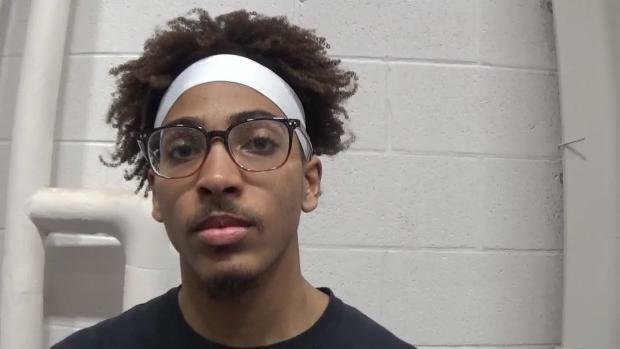 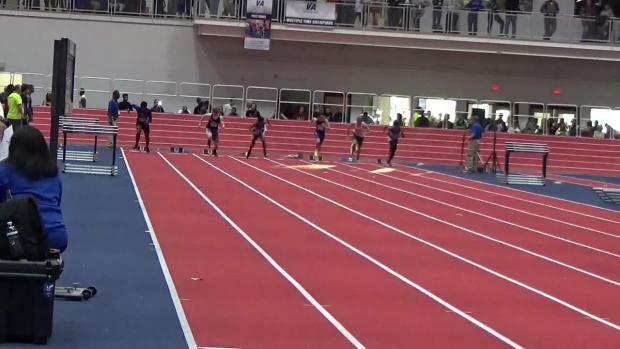 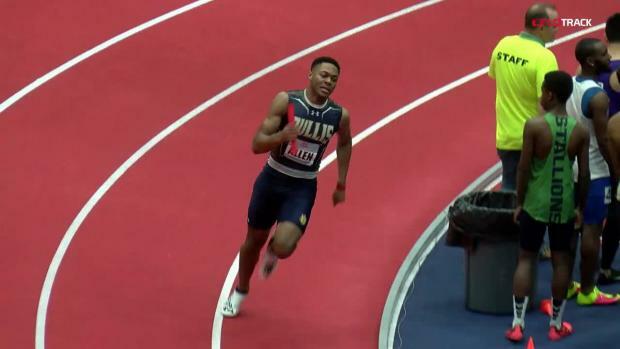 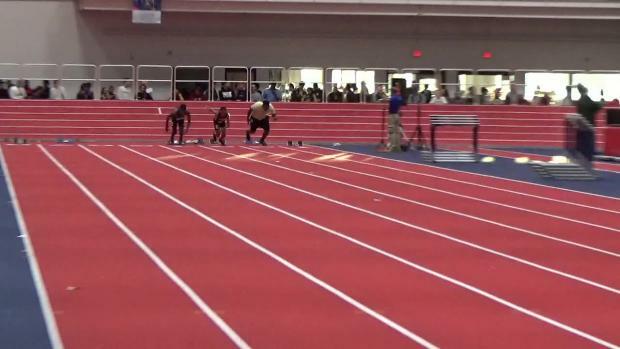 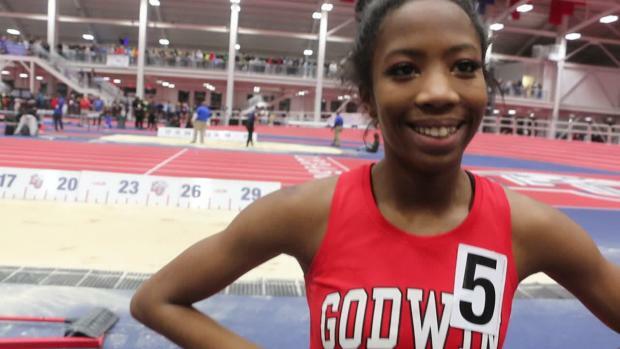 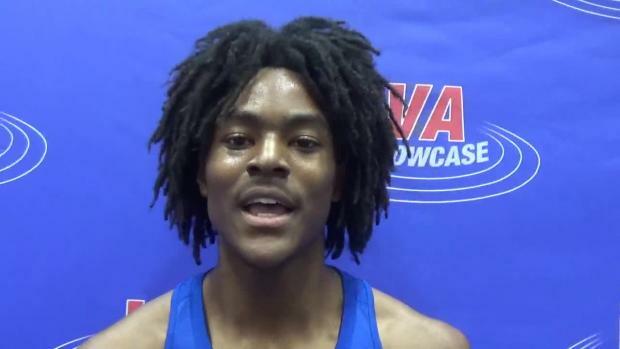 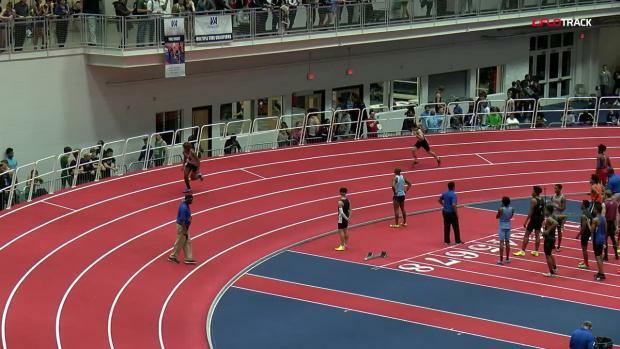 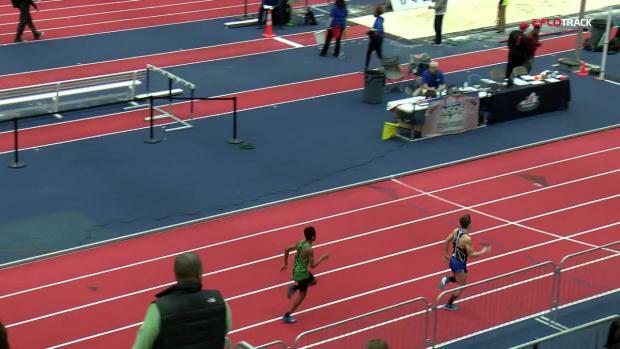 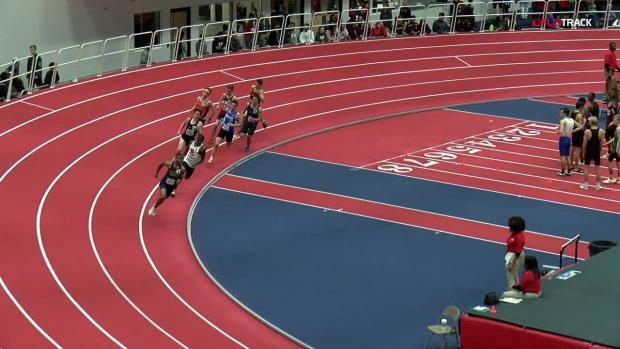 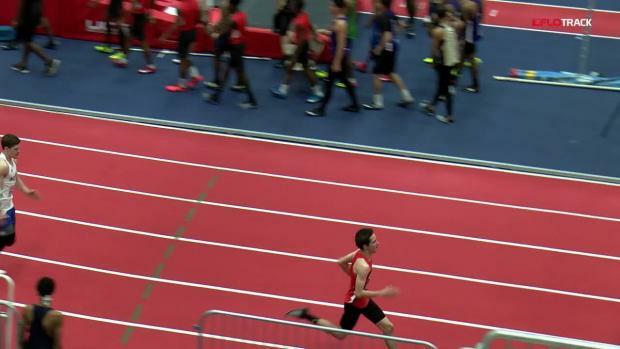 Mills Godwin's Britton Wilson ran US #2 all-time with 1:10.82 performance!